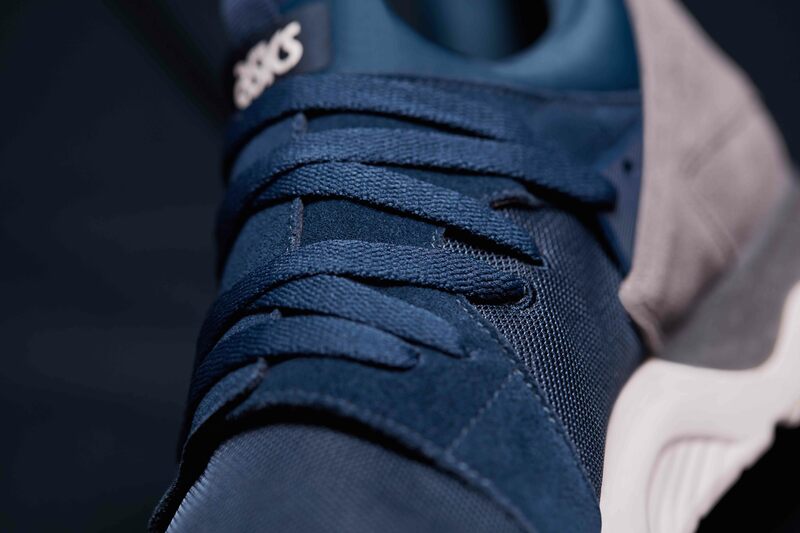 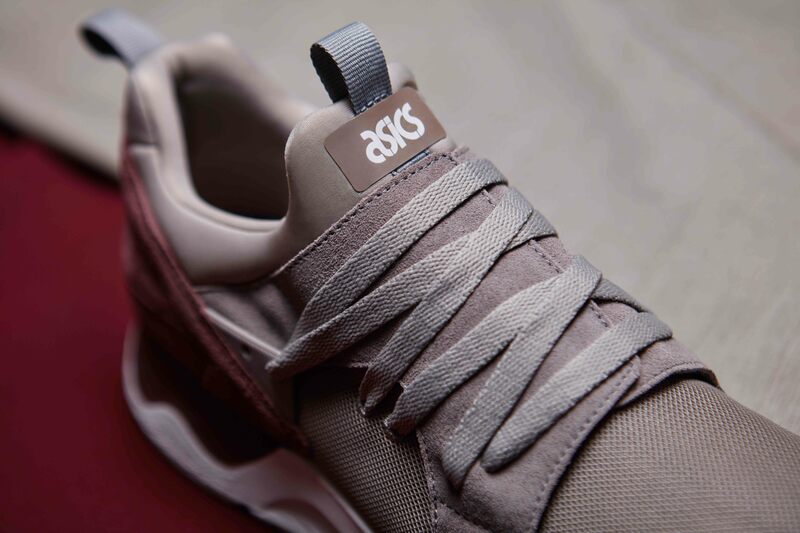 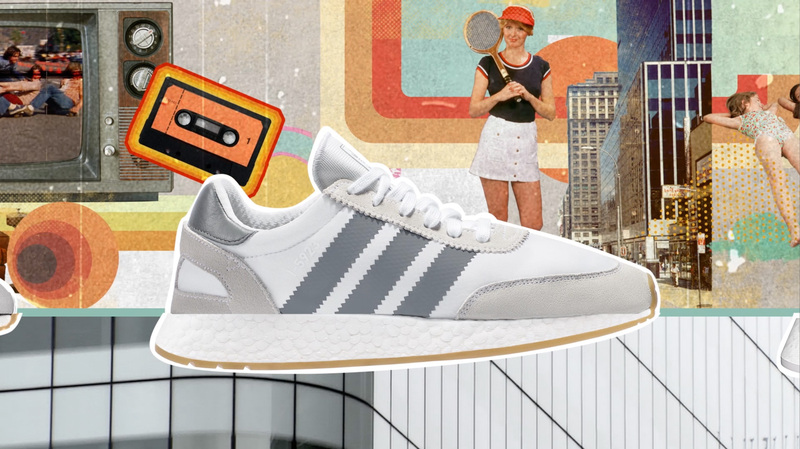 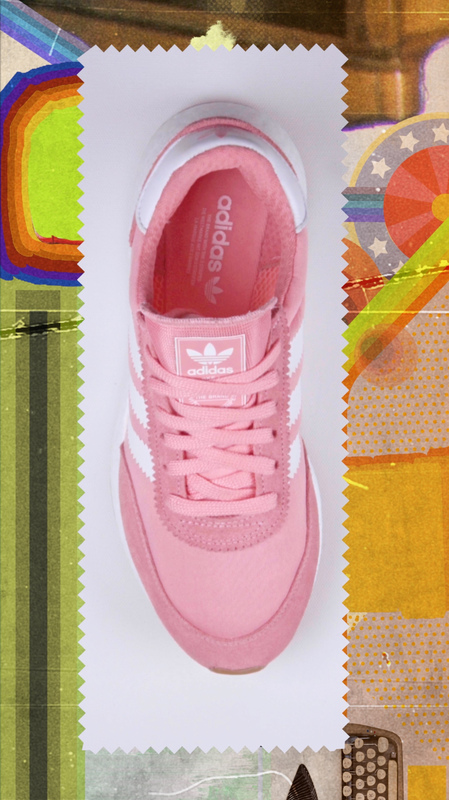 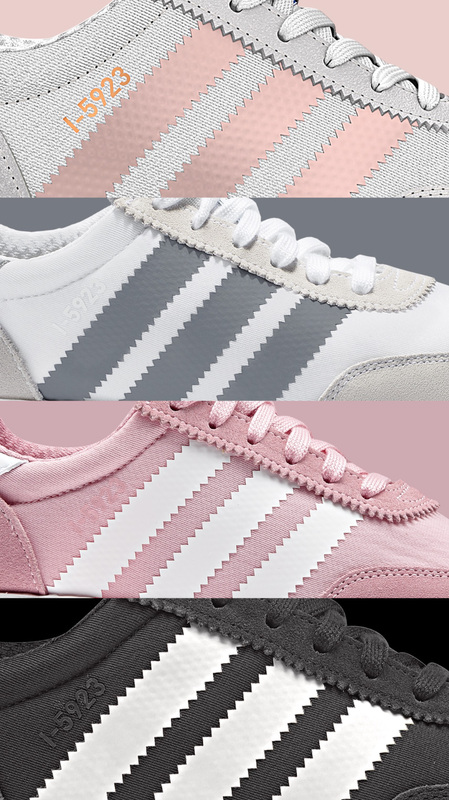 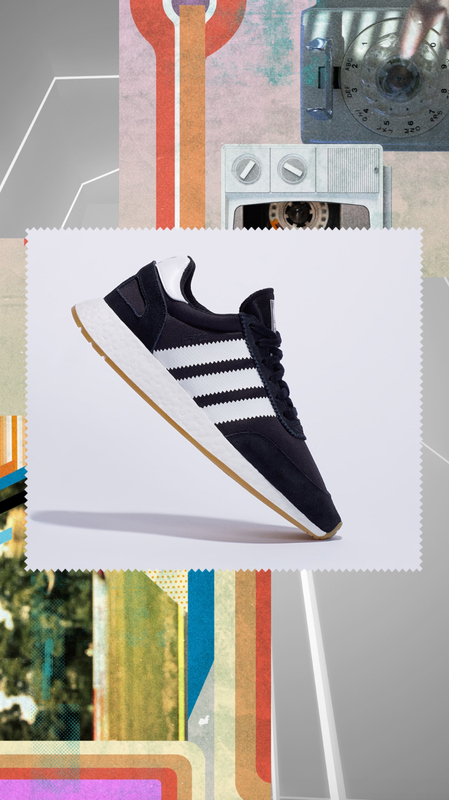 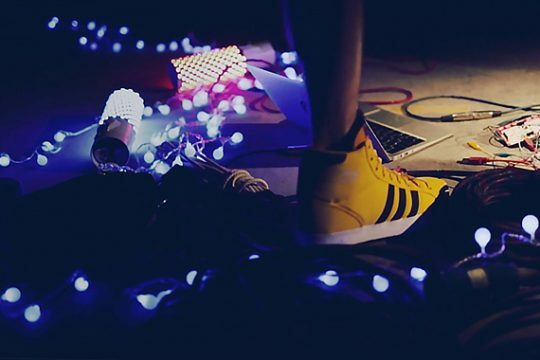 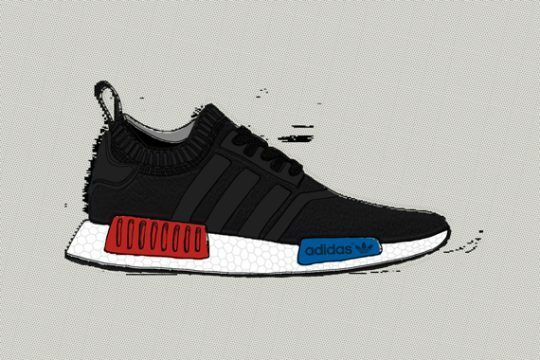 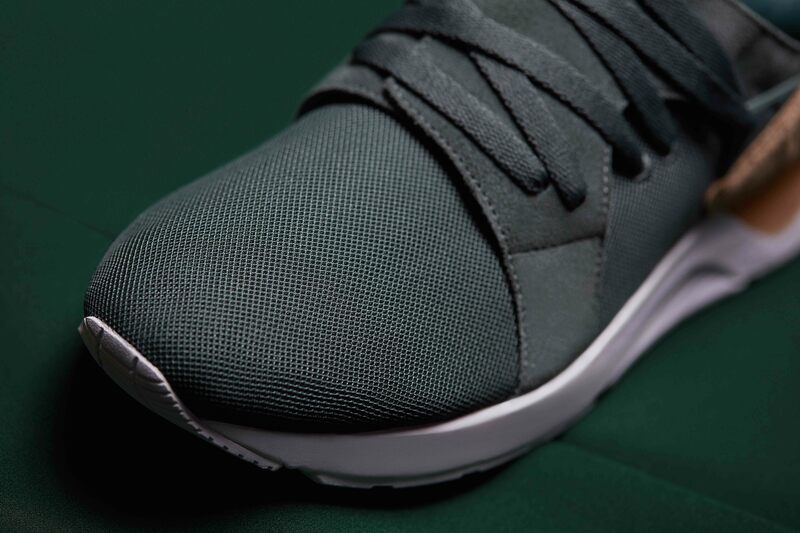 We created a spot for adidas Originals’ I_5923 (previously known as Iniki) sneaker line. 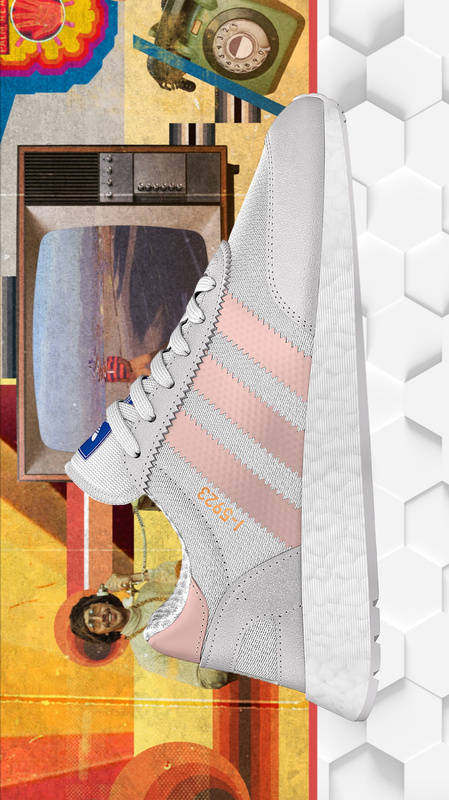 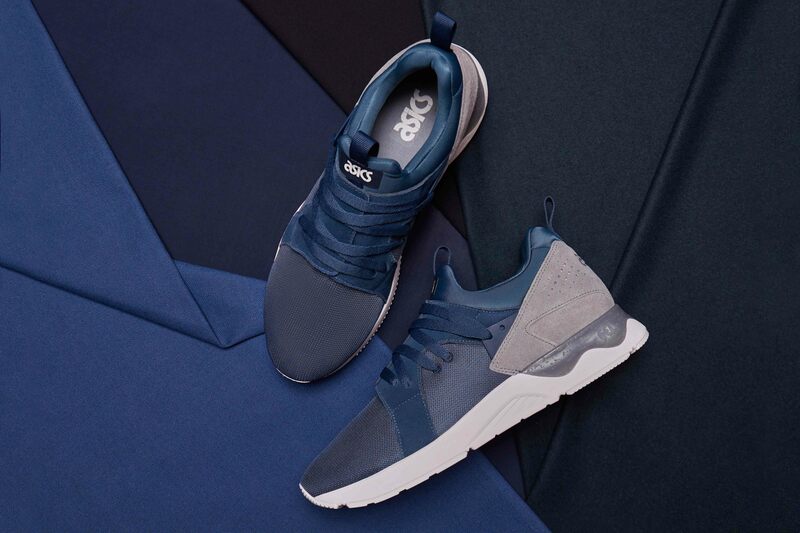 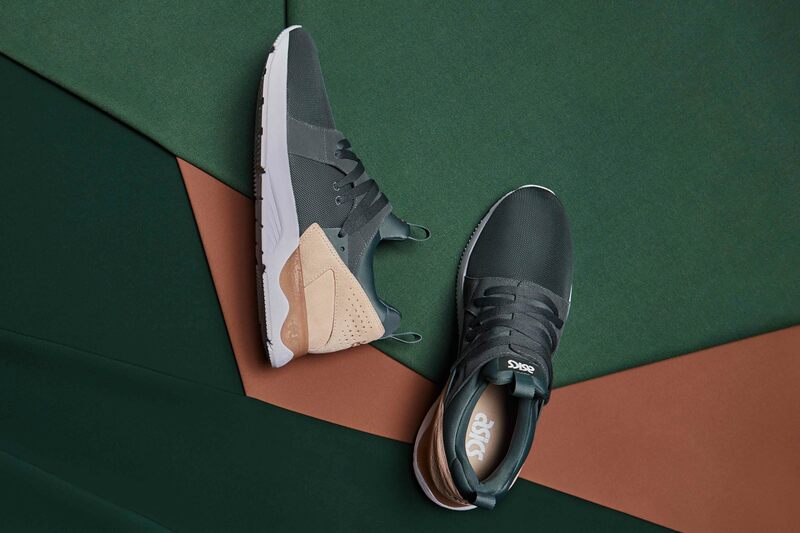 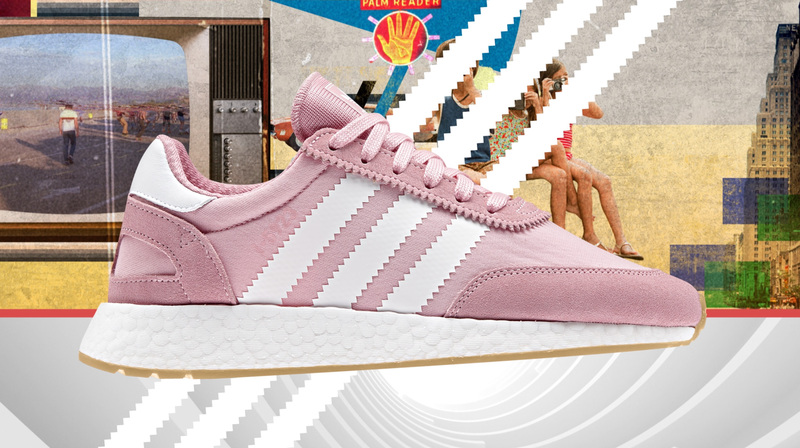 The piece celebrates Iniki’s hybrid of past and present DNA by boldly presenting a visual clash between retro 70s styling and modern footwear technology (Boost). 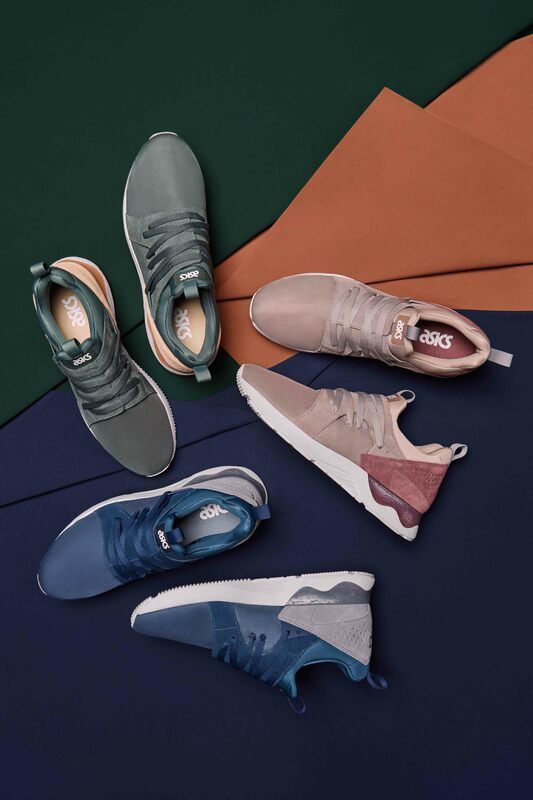 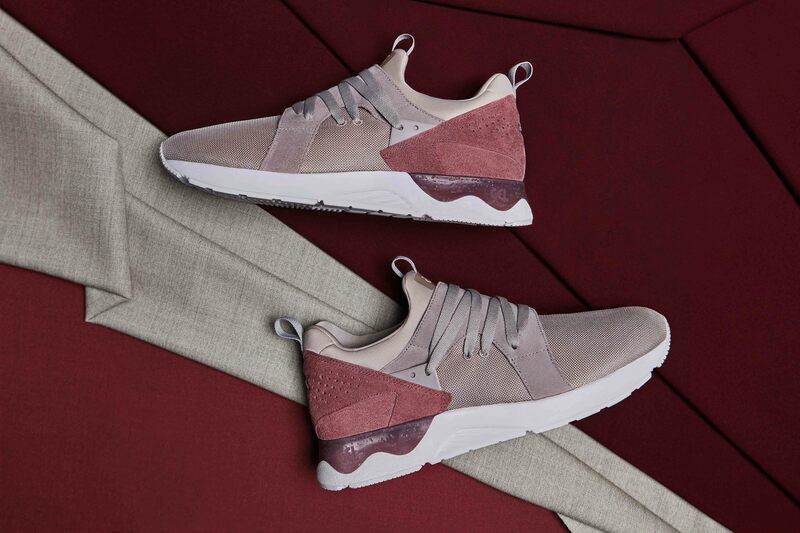 The piece positions Iniki at the intersection of culture and style, highlighting a pure symbiosis of authentic form and modern functionality. 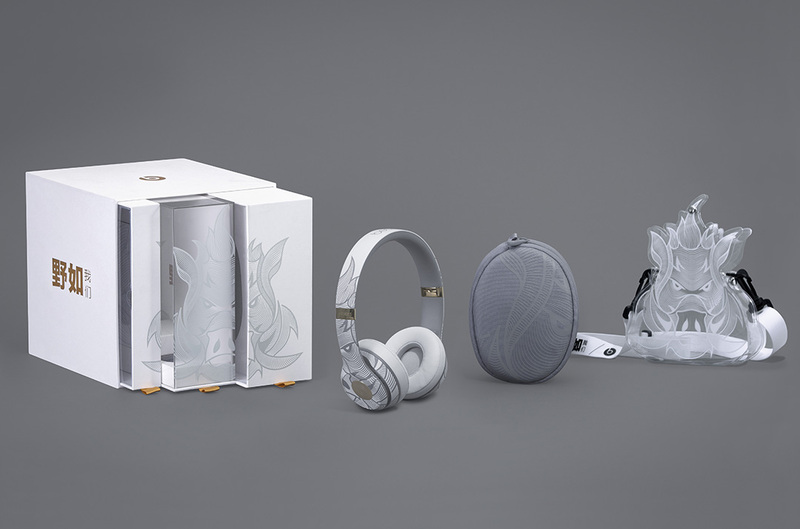 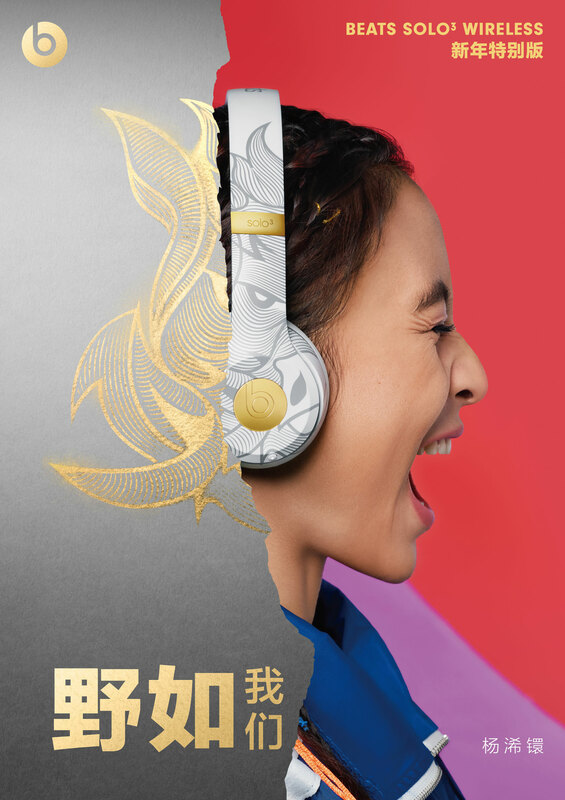 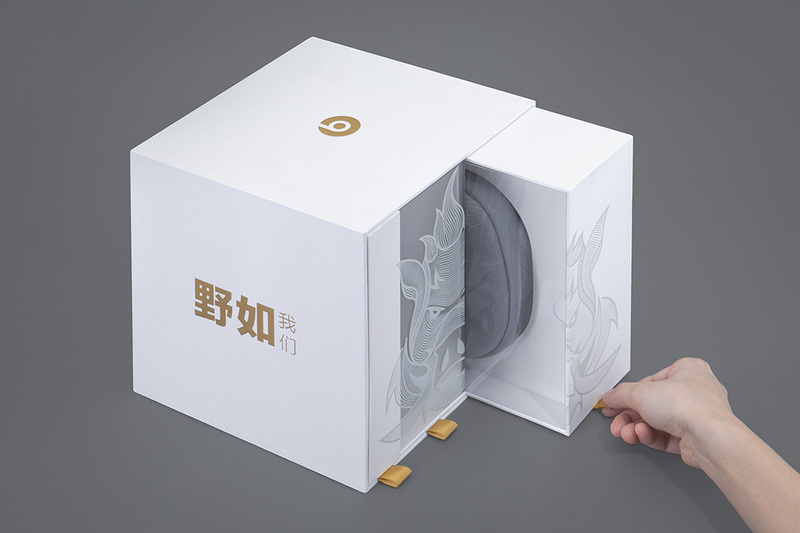 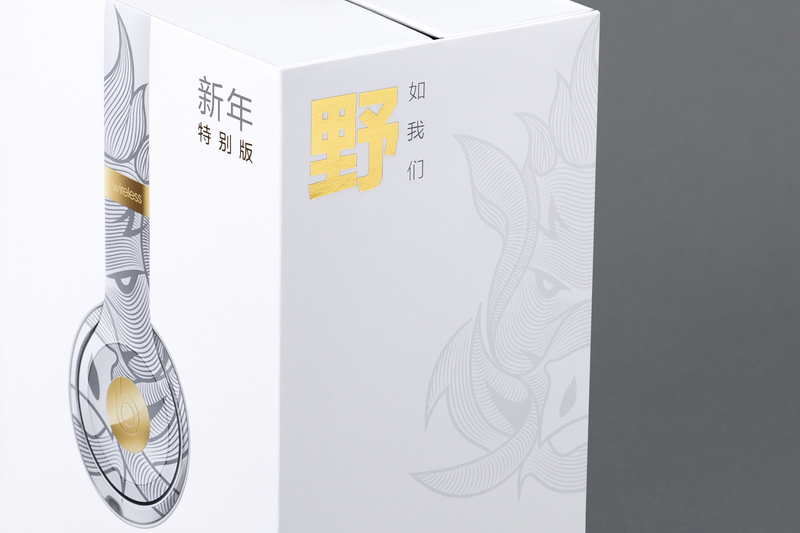 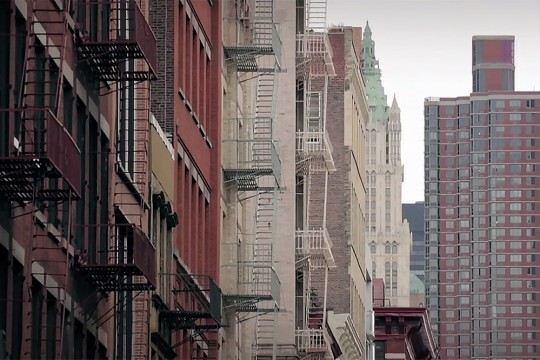 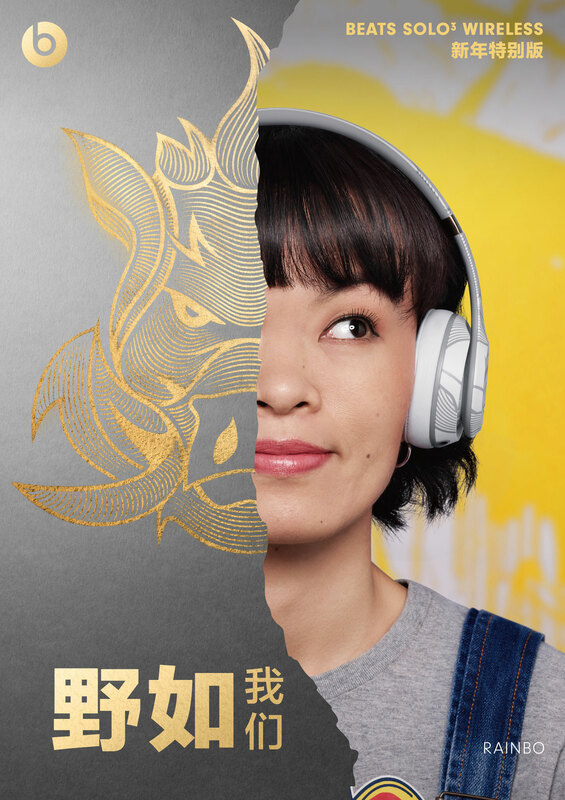 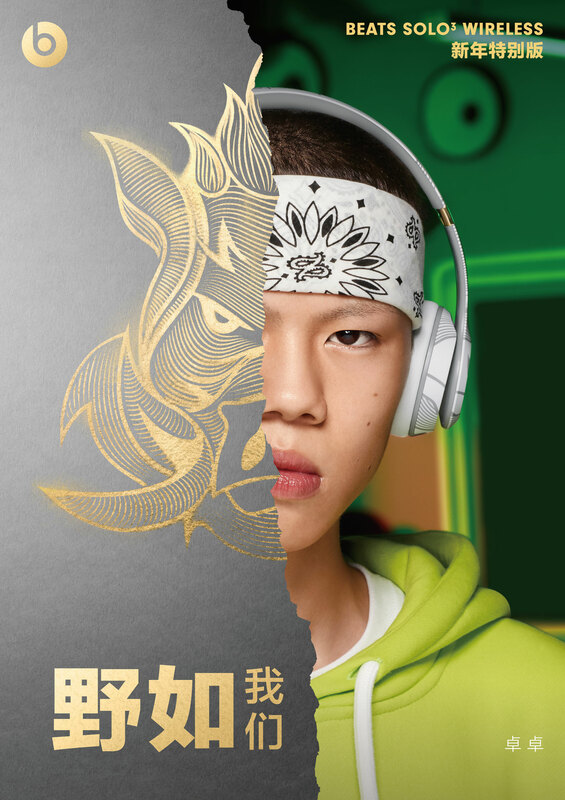 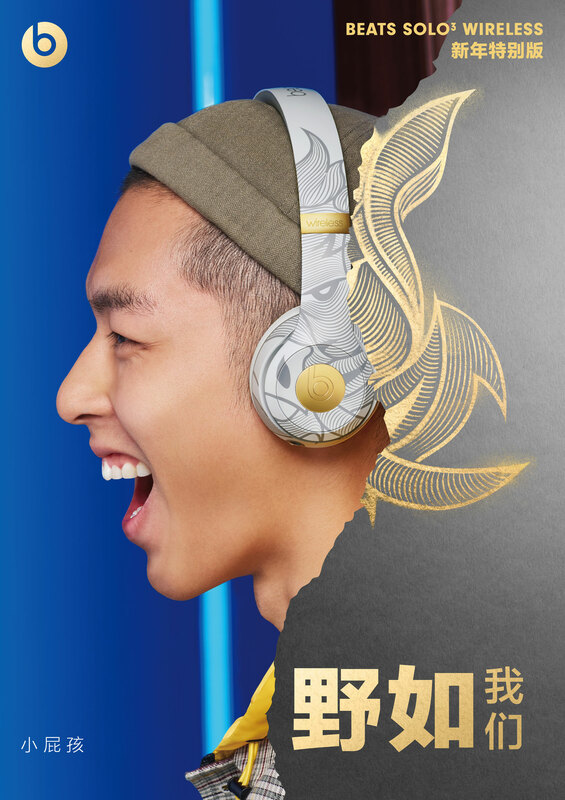 We created the Chinese New Year campaign for Beats By Dre to celebrate the Year of the Pig. 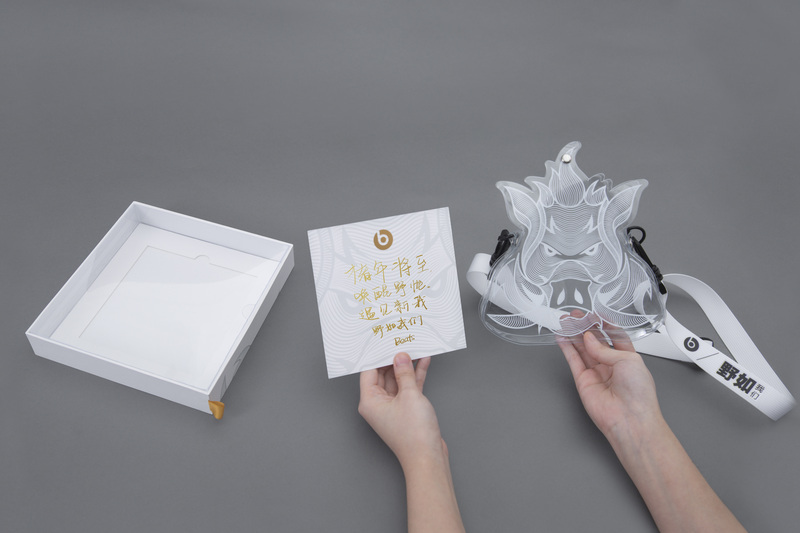 The traditional zodiac characterization of the pig stands in stark contrast to the youth of China today. 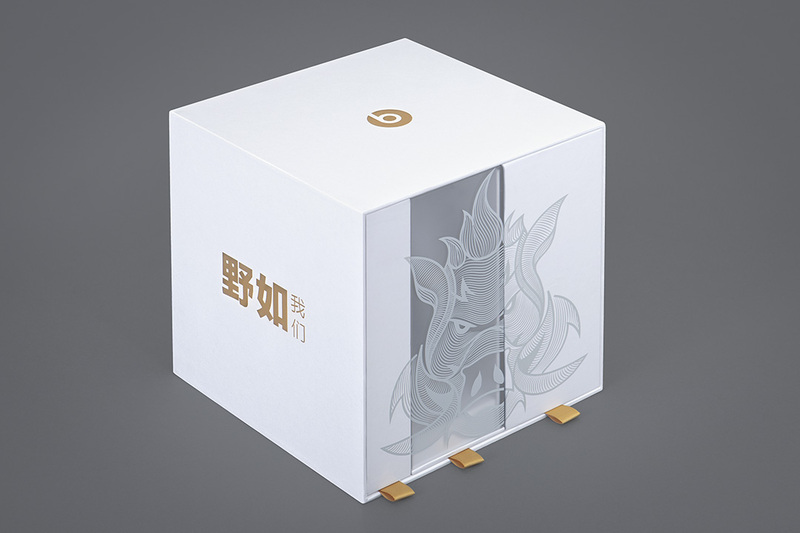 A pig is cute, lazy, kept in a pen, simple, docile…it is prey. 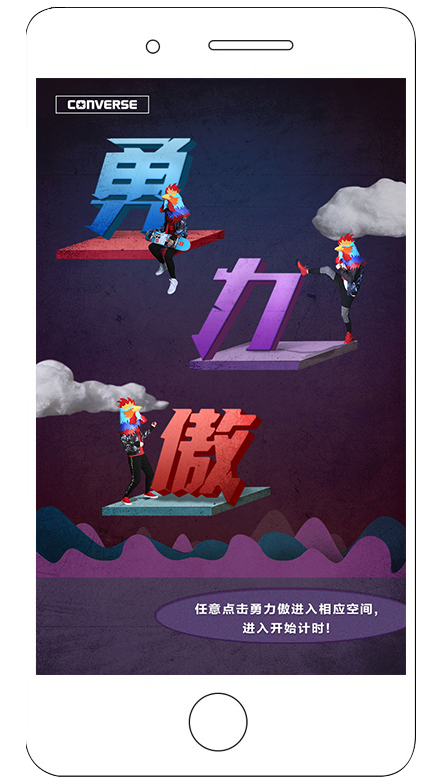 China’s youth certainly aren’t pigs. 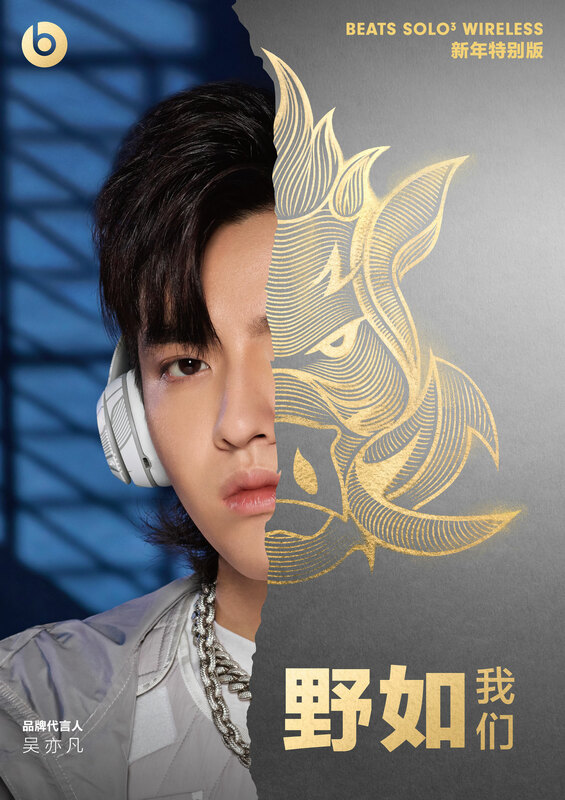 For this campaign, we told the story of this bold generation not via the pig, but rather via the boar…the pig’s renegade cousin. 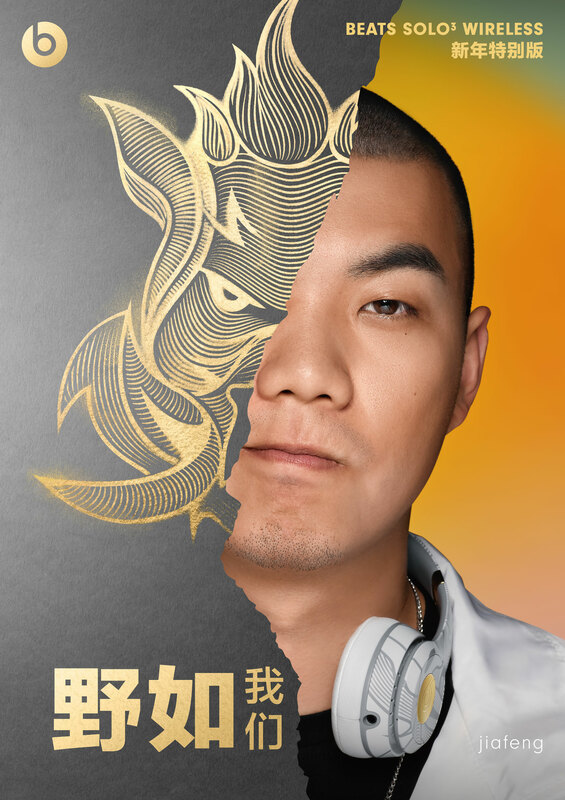 A boar is full of energy, proactive, free, untamed, brave, fierce, ambitious. 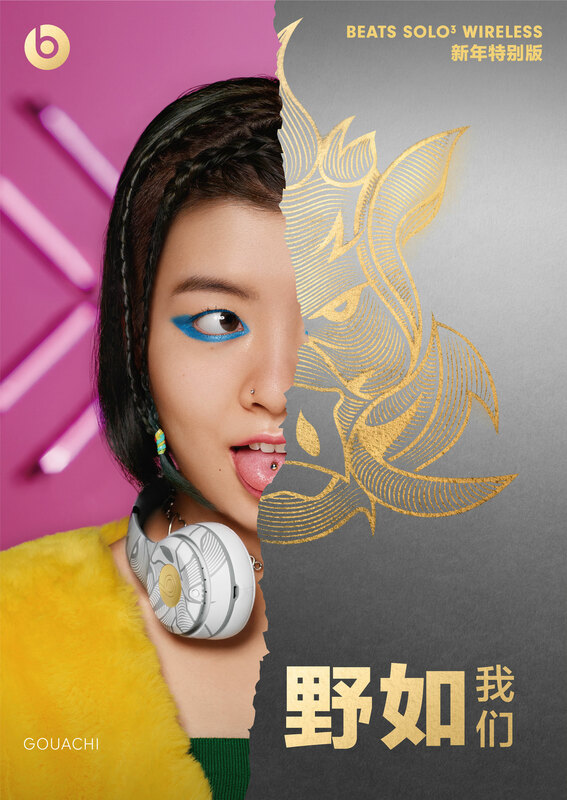 It is a predator; it is wild! 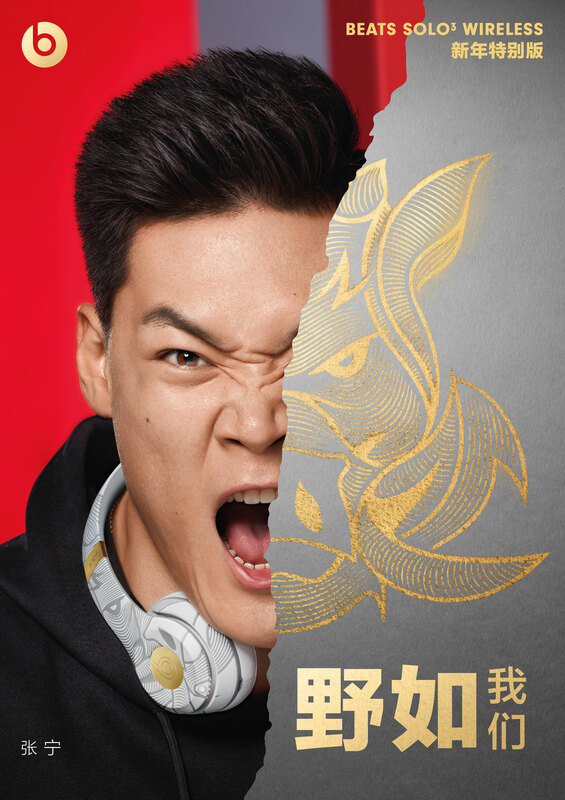 The 野如我们 (WILD LIKE US) tagline we developed for the campaign riffs on the 野 character (which means “wild”) in the Chinese word for boar (“野猪”) which literally translates to “wild pig”. 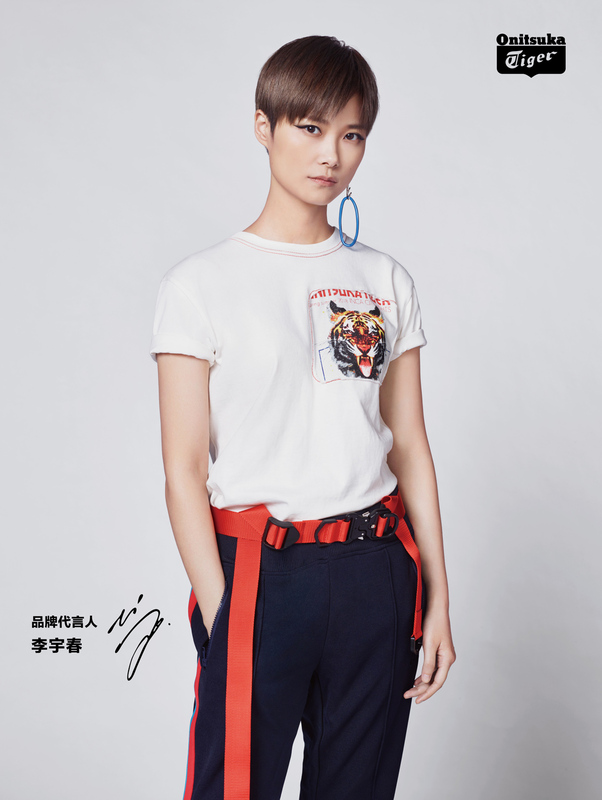 野如我们 “WILD LIKE US” celebrates China’s young generation; a generation bravely moving creative culture forward, fearlessly expressing itself, and, simply put, hell bent on living a wild, carefree lifestyle. 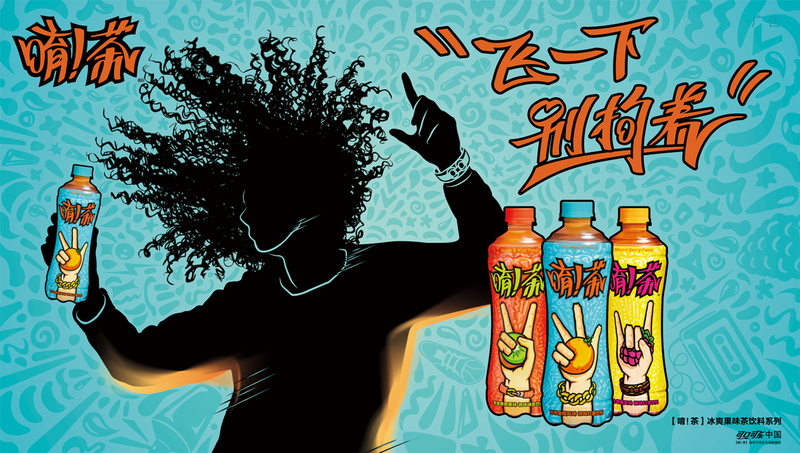 For those who aren’t already on board, the campaign was a call to action to join the movement. 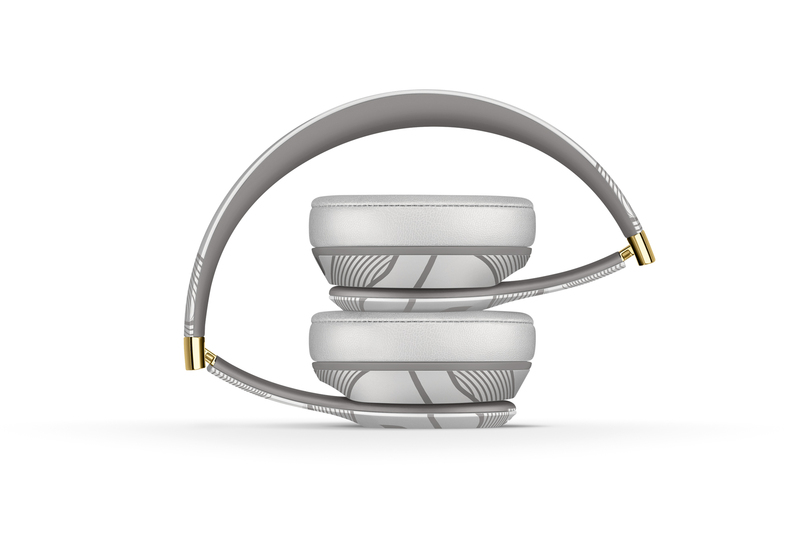 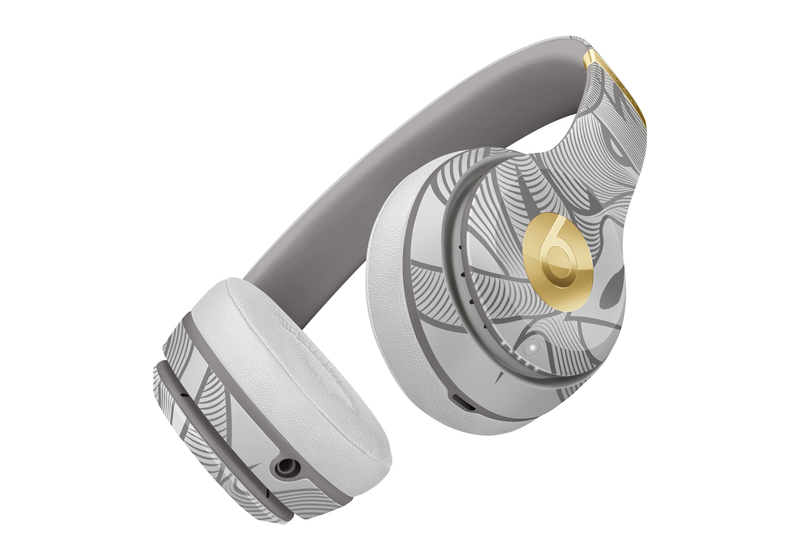 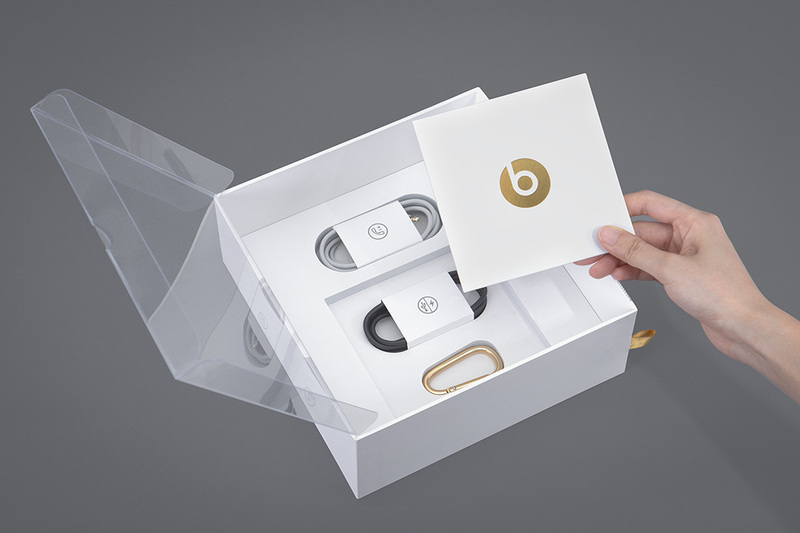 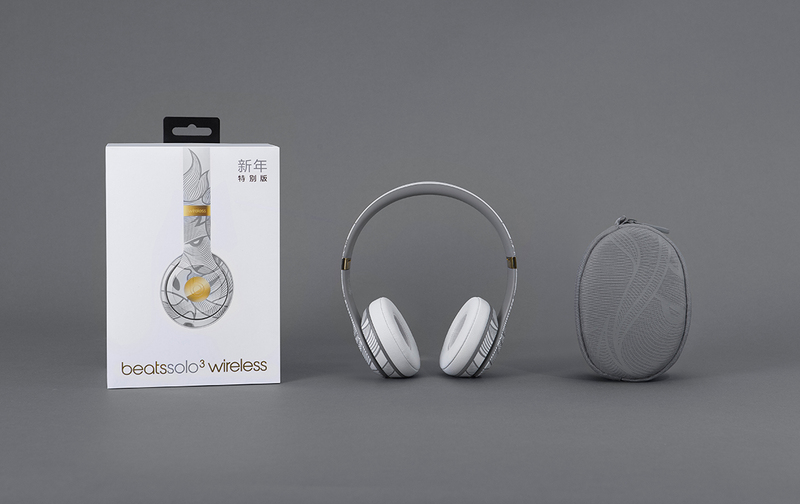 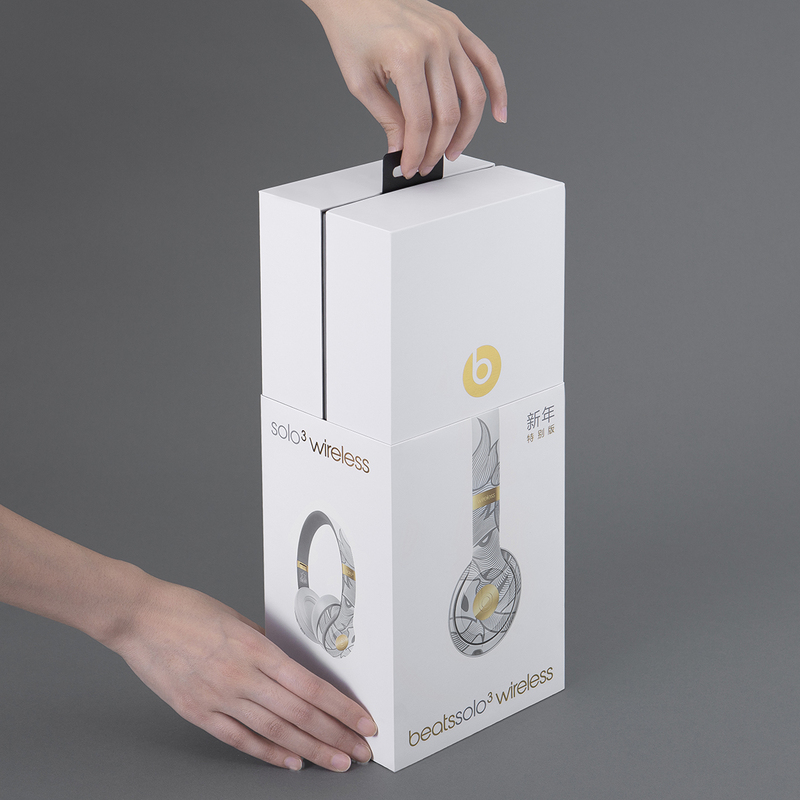 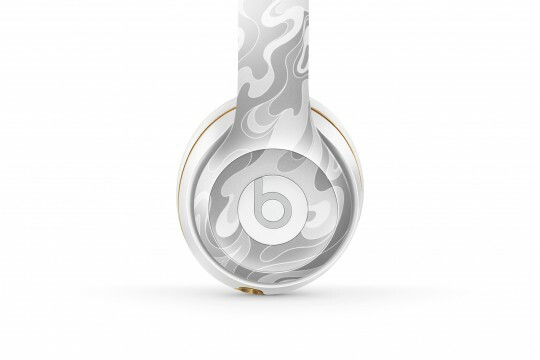 To support the campaign, we designed a Special Edition Beats Solo3 Wireless product. 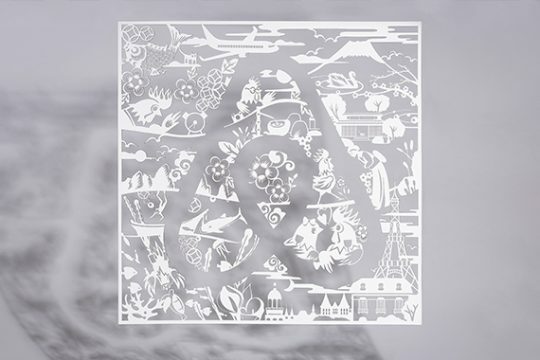 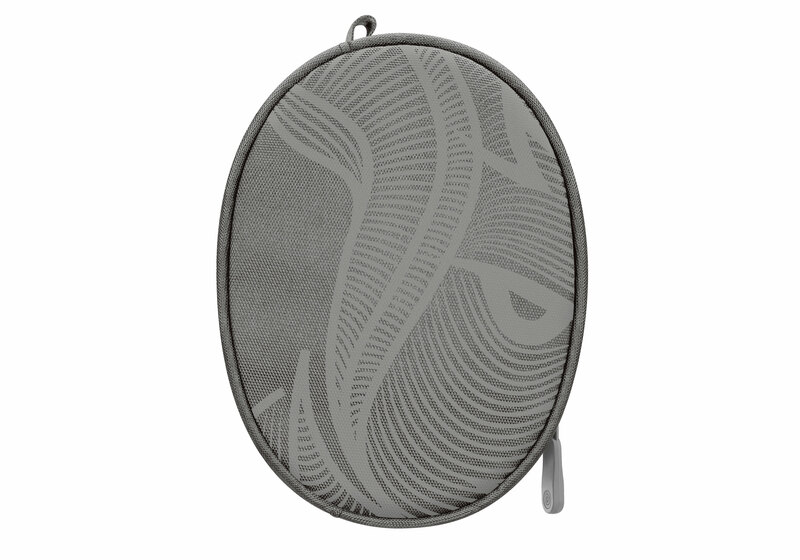 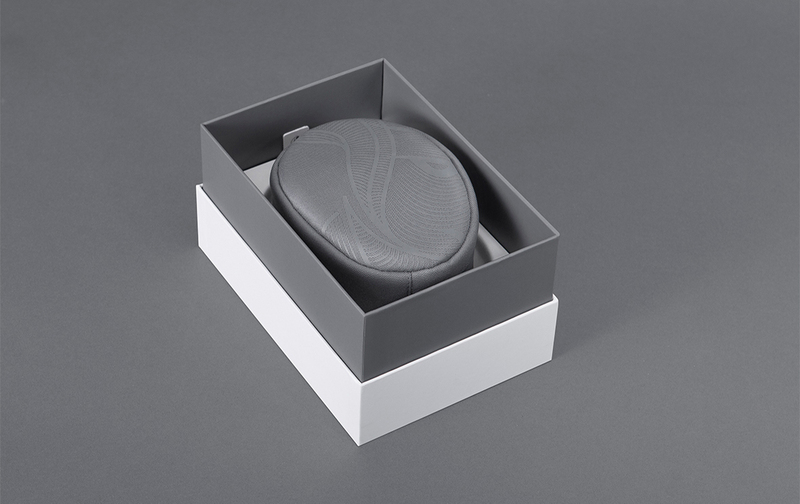 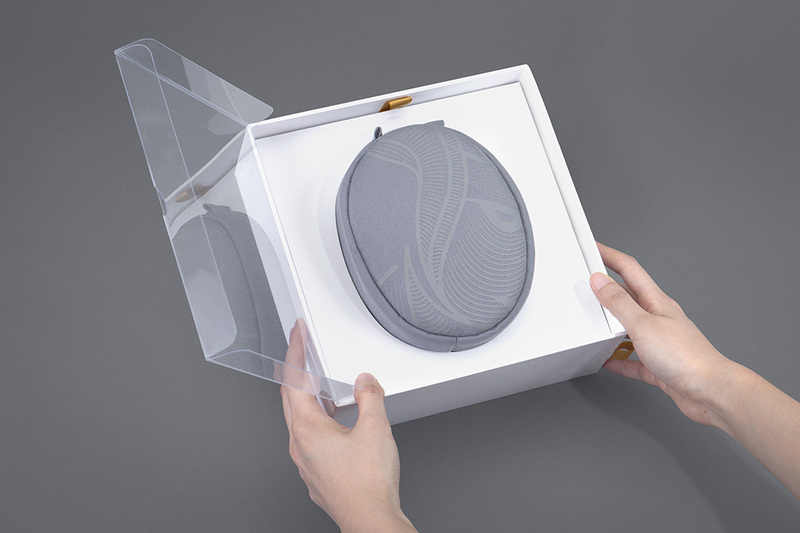 The product features an obscured boar head created with clean, abstract, modern line-art. 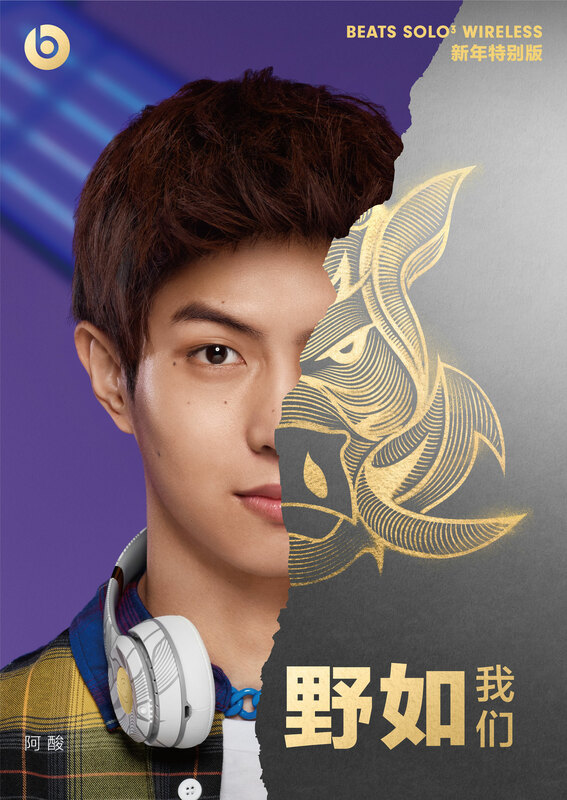 The boar head presents a fierce, brave expression that captures the attitude and outlook of today’s young generation. 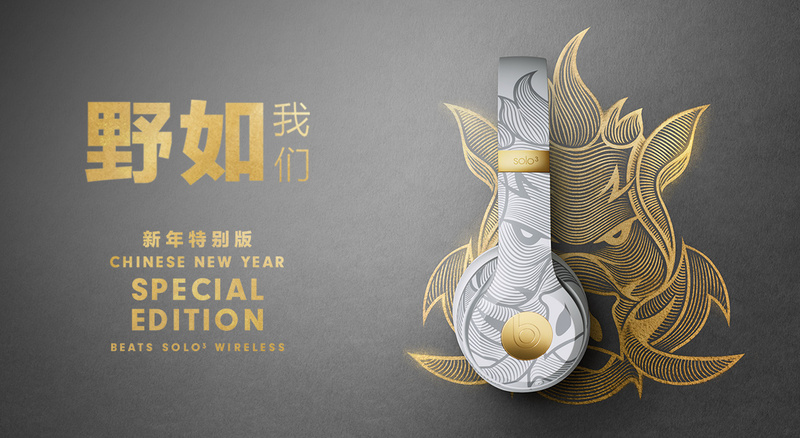 The white and grey colorway was chosen to be anything but the expected reds associated with Chinese New Year. 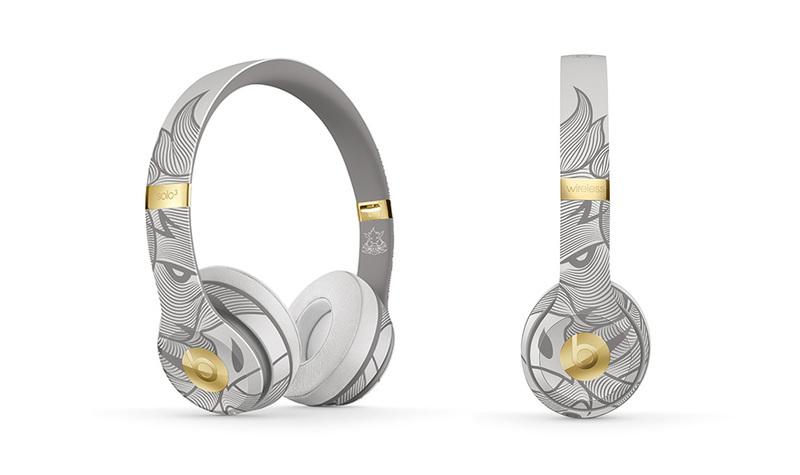 The gold hits are a nod to holiday wishes of good fortune and prosperity. 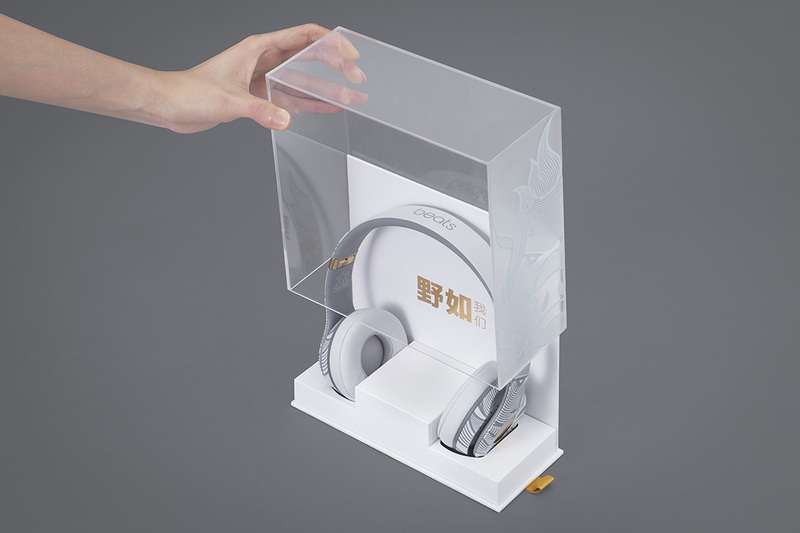 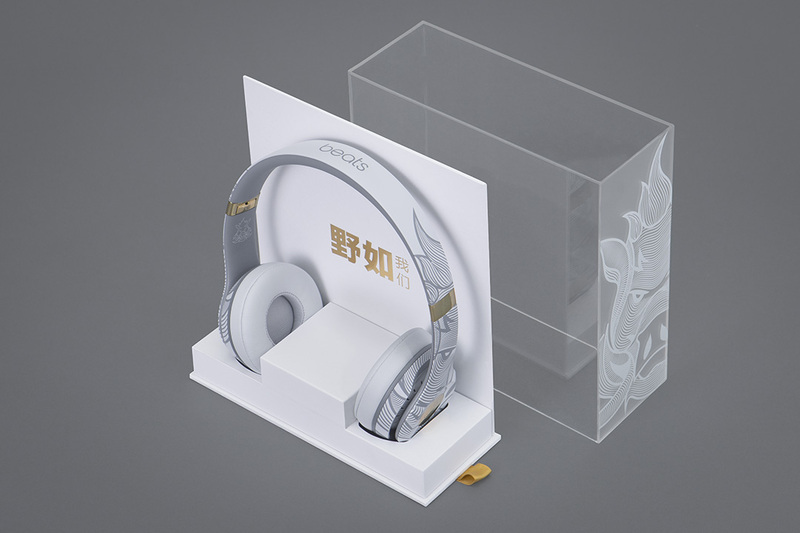 We also designed the retail packaging for the product, as well as a special, limited-edition VIP packaging set. 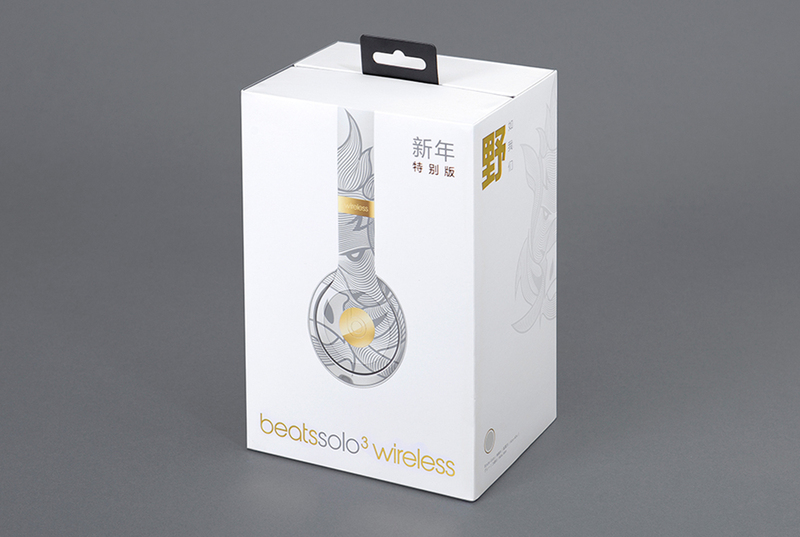 The product is available online and in-store throughout Asia. 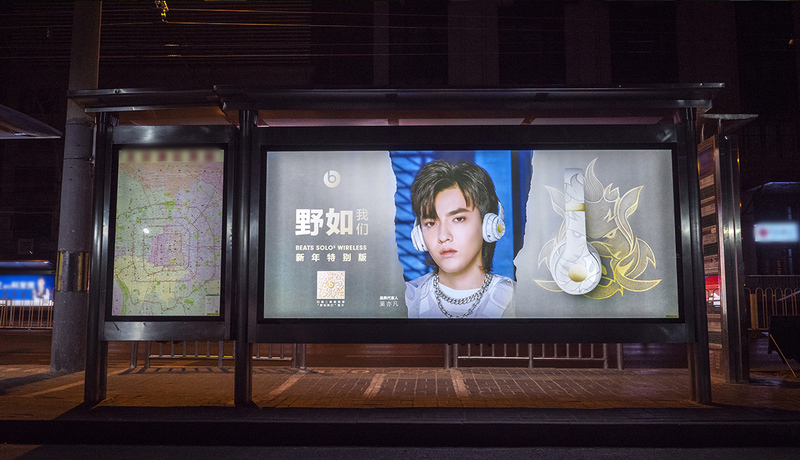 To bring the campaign alive, we developed video and photo storytelling assets featuring A-list celebrity / Chinese rapper / brand ambassador Kris Wu, and a cast of emerging creatives, athletes, and cultural influencers, such as musicians Gao Jiafeng, Gouachi (a.k.a. 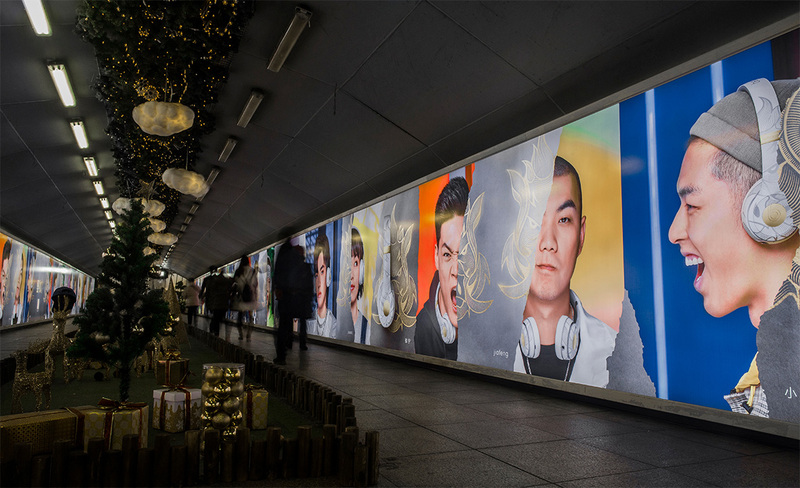 DJ Tina), rapper Zhuo Zhuo; fashion designer and vlogger Xiao Pihai; skateboarder Yang Xihuan; basketball star Zhang Ning; b-boy A Suan; and visual artist Rainbo. 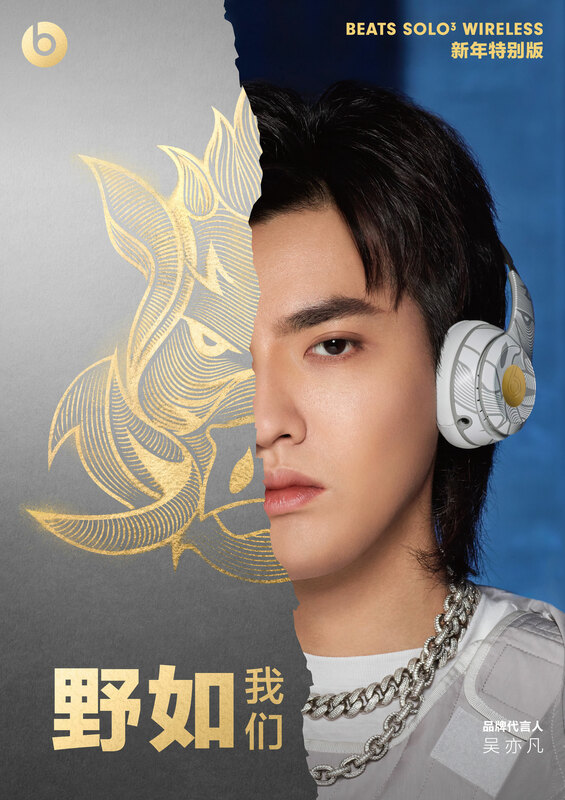 The videos were directed by breakout talents BRTHR, with support from production partners Serial Pictures and Gungho Films. 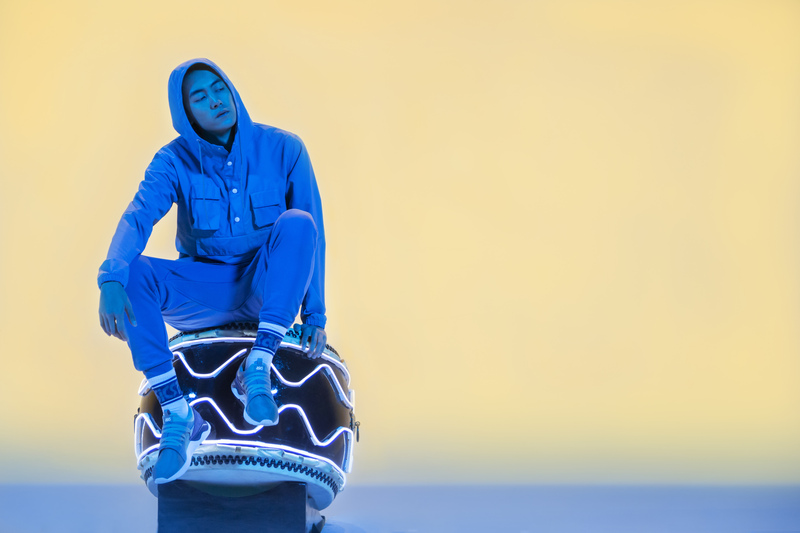 The key visuals were shot by internationally renowned photographer Jeremy Deputat. 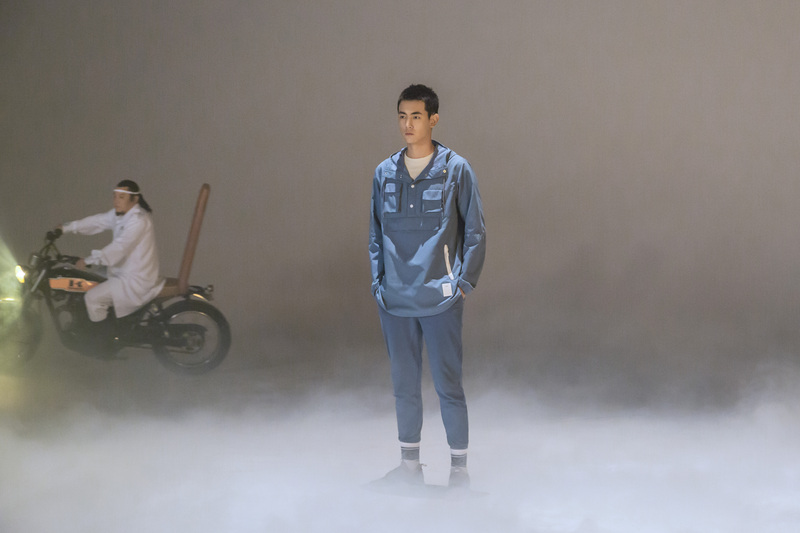 On-set photography was captured by David Yan. 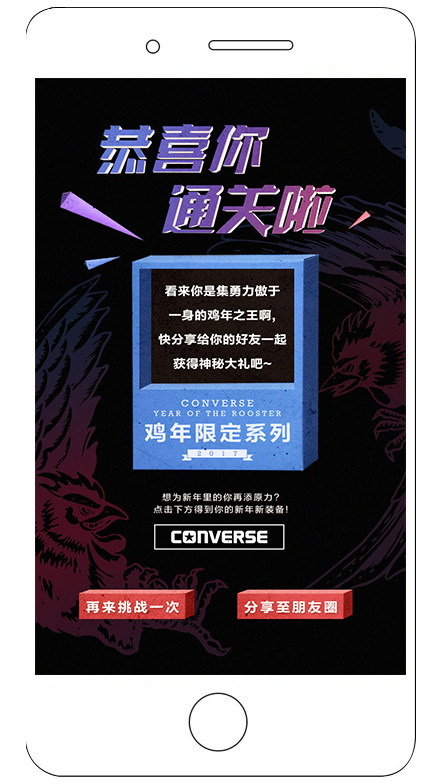 The campaign ran in all media throughout greater China. 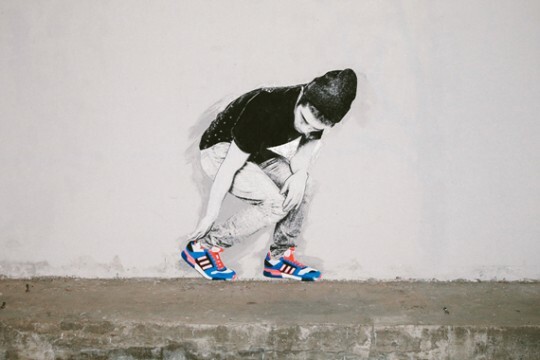 Jeremy Deputat to create a series of key visuals. 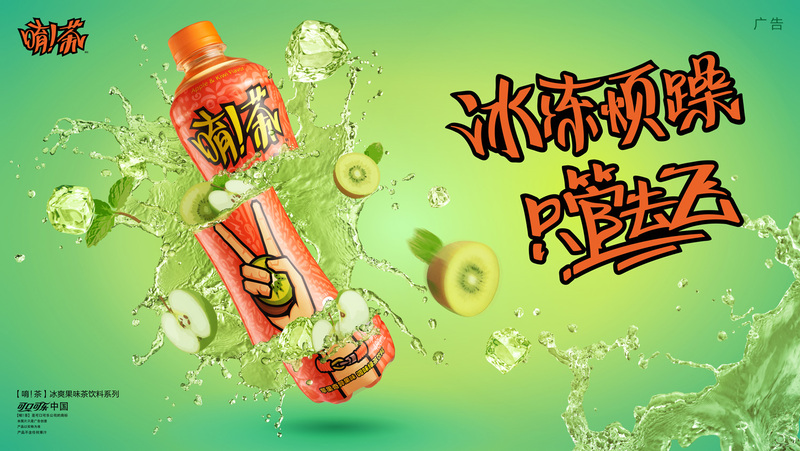 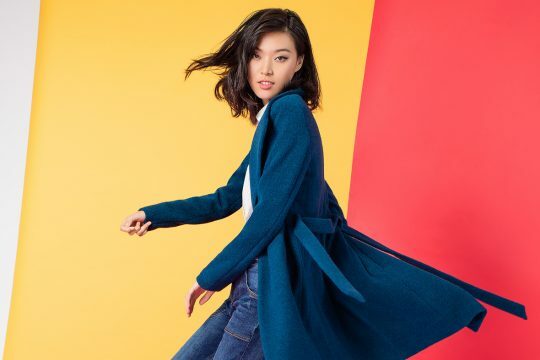 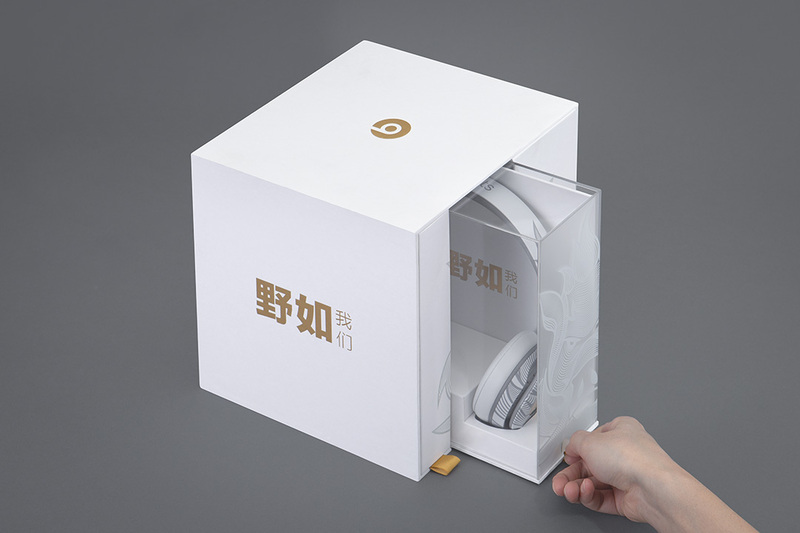 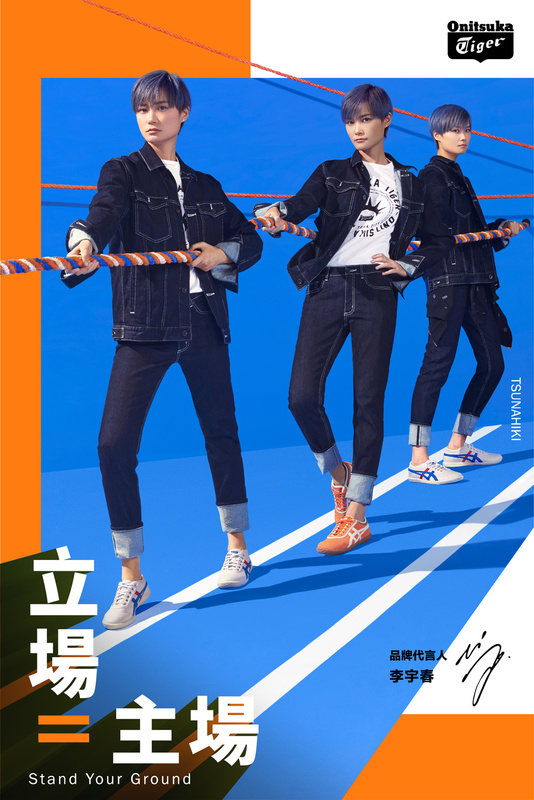 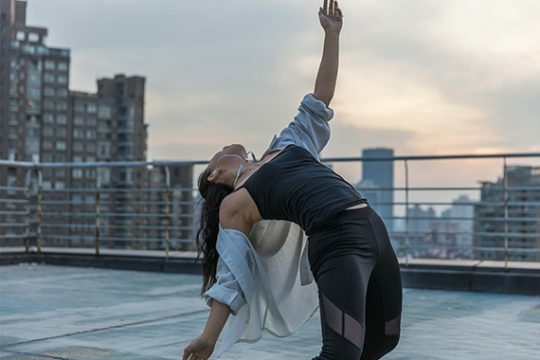 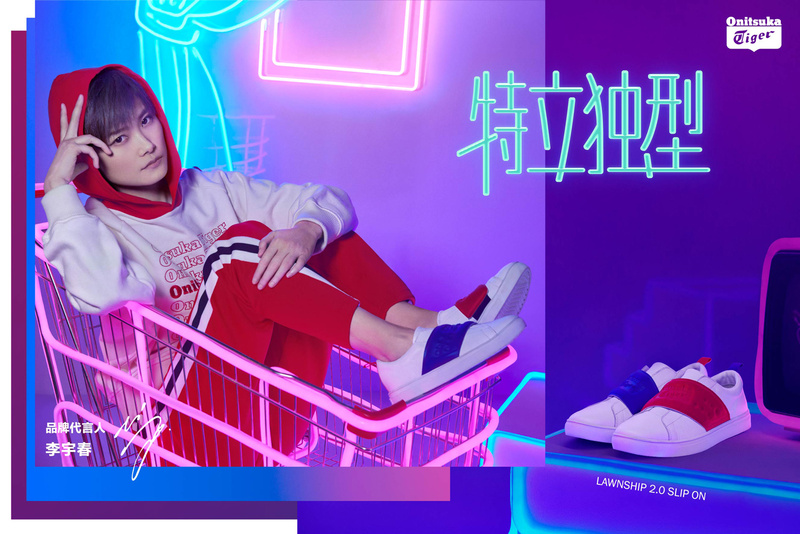 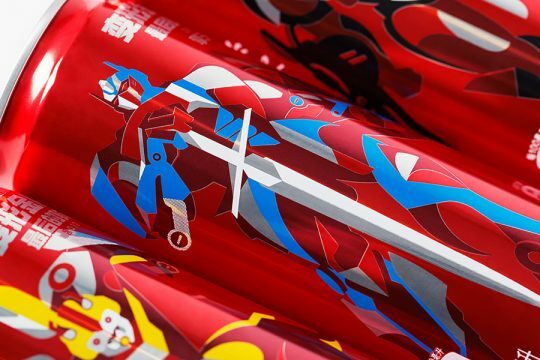 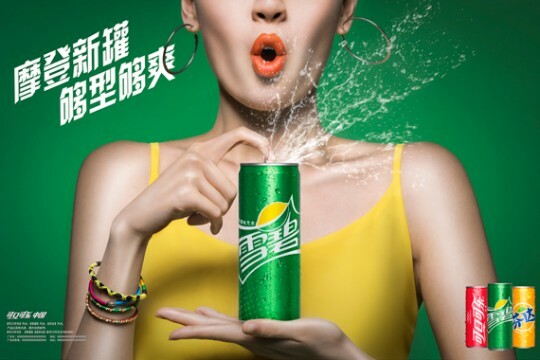 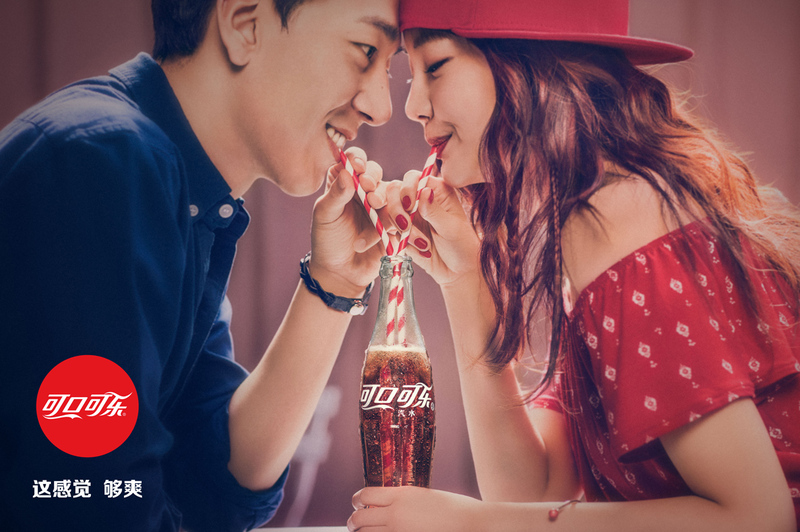 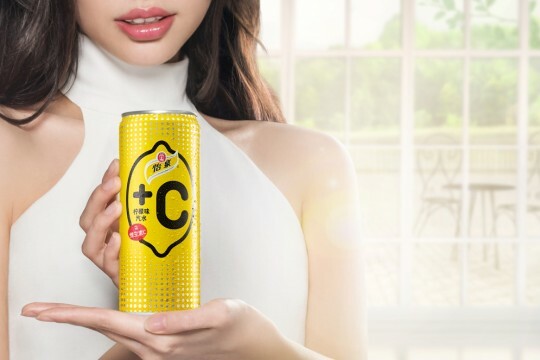 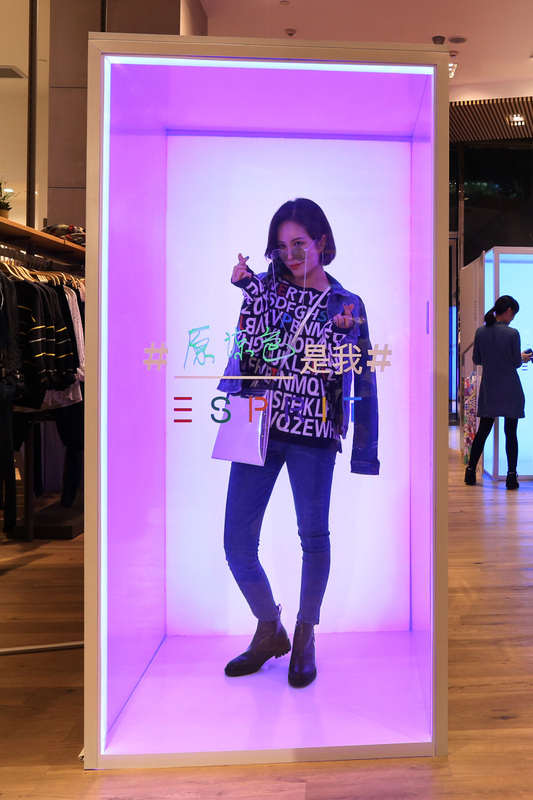 The print campaign was released in the brand’s digital channels, brand stores, and high traffic out-of-home locations in major Chinese cities. 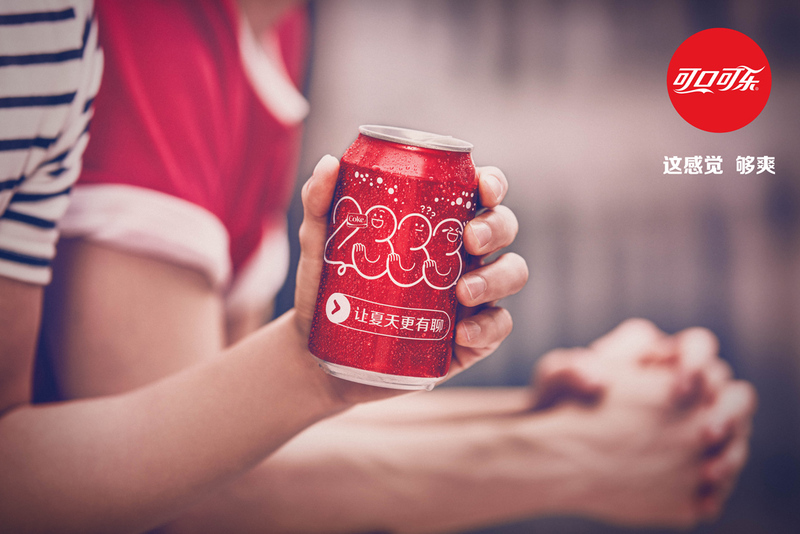 We launched a new experimental brand for Coca Cola called Yo! 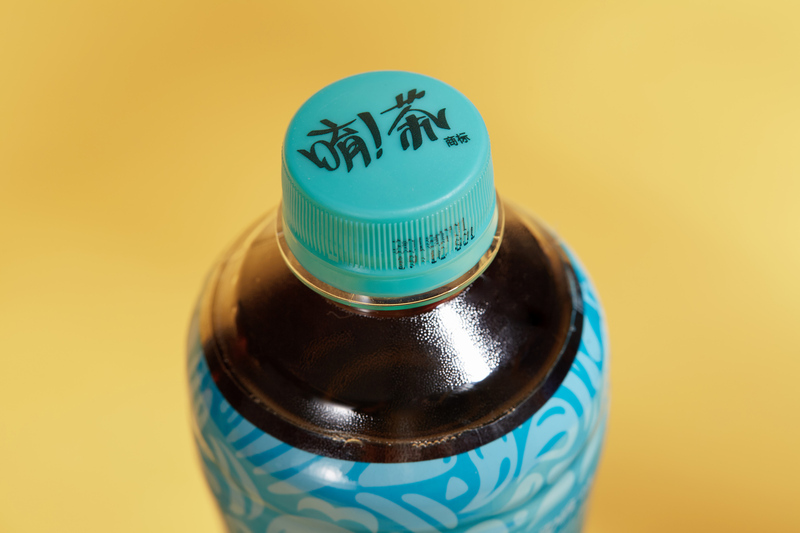 Tea (唷! 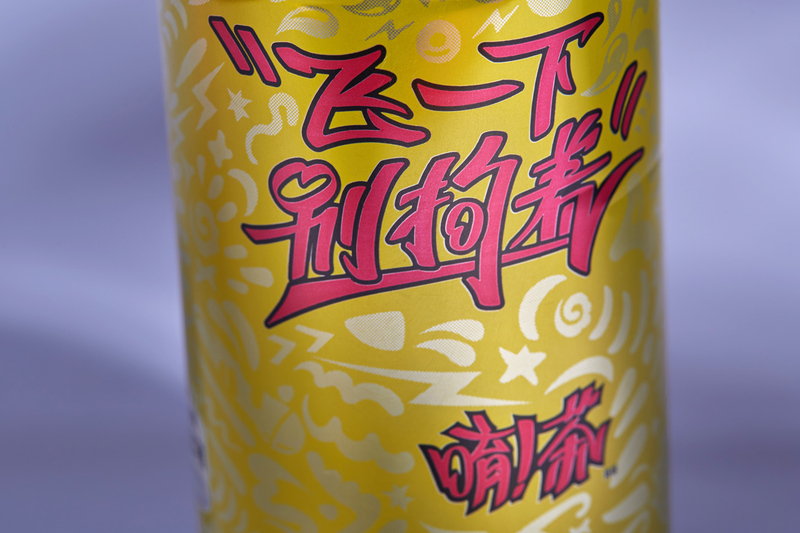 茶). 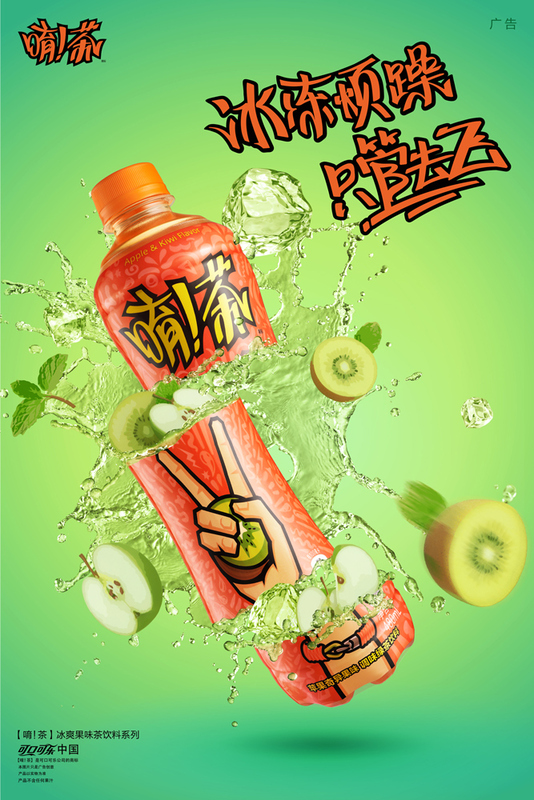 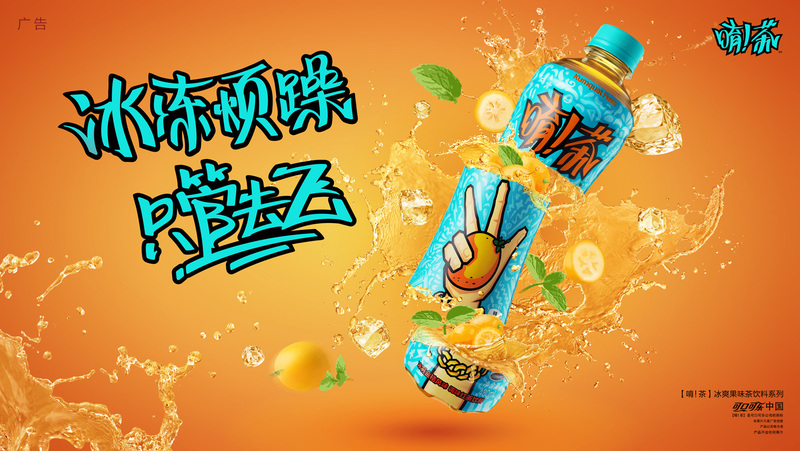 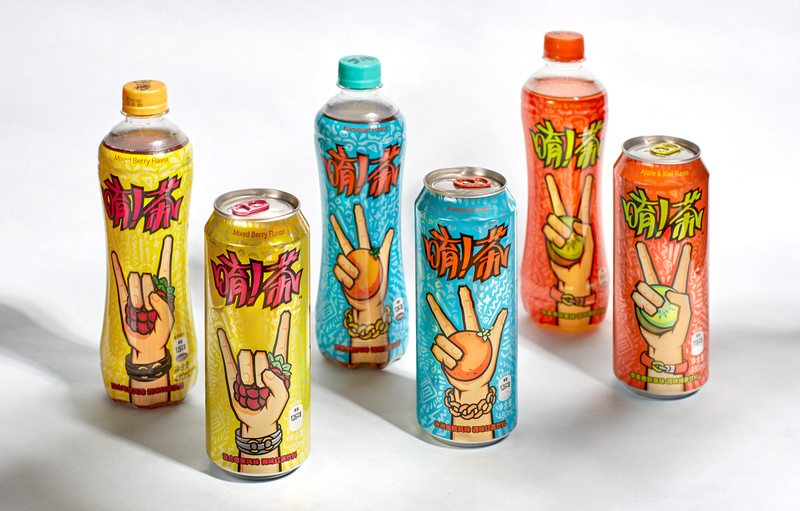 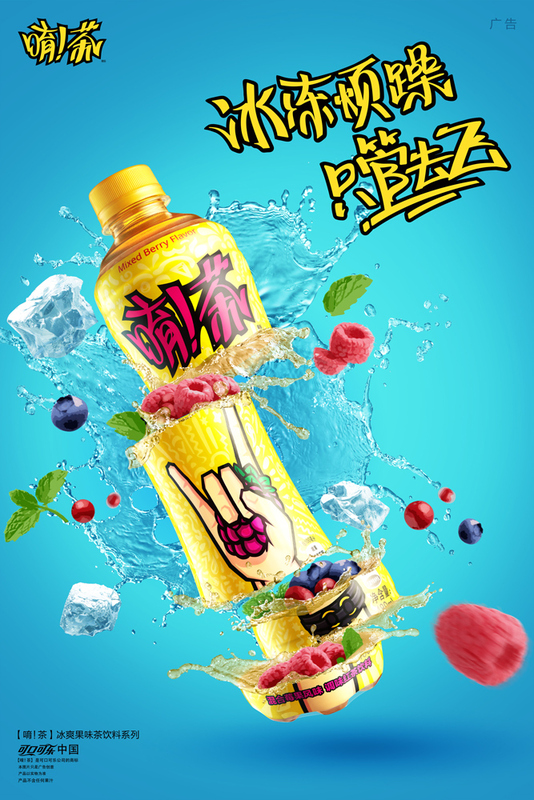 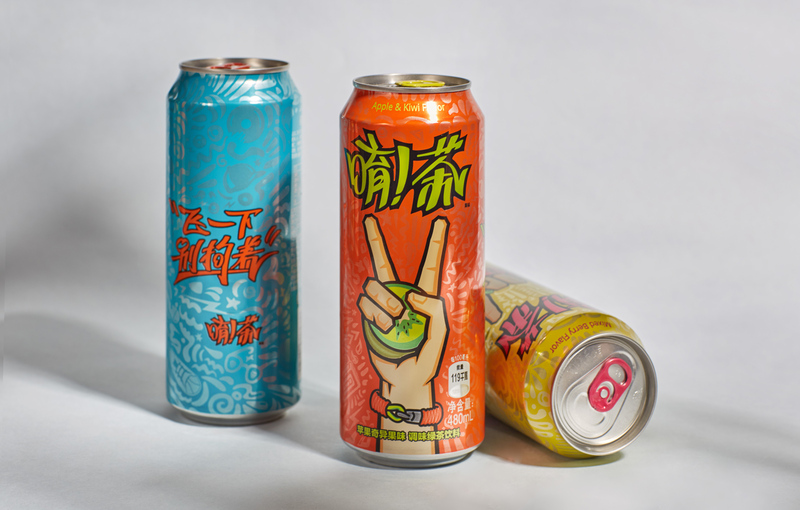 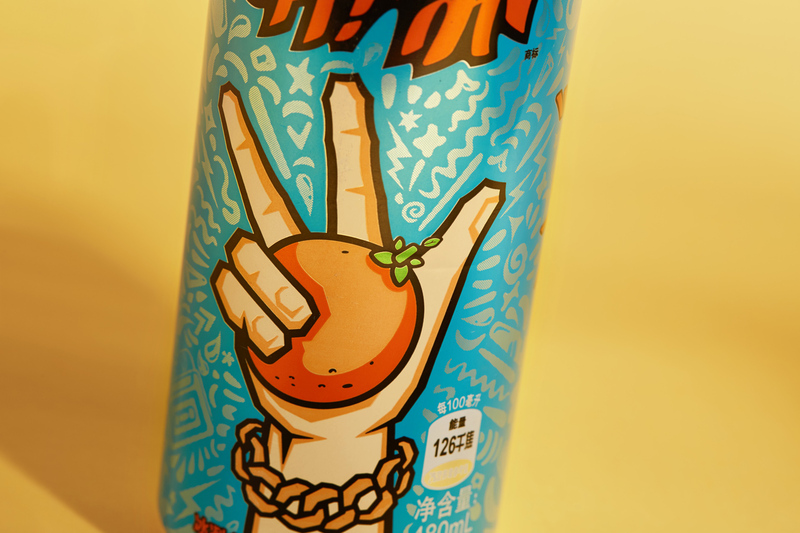 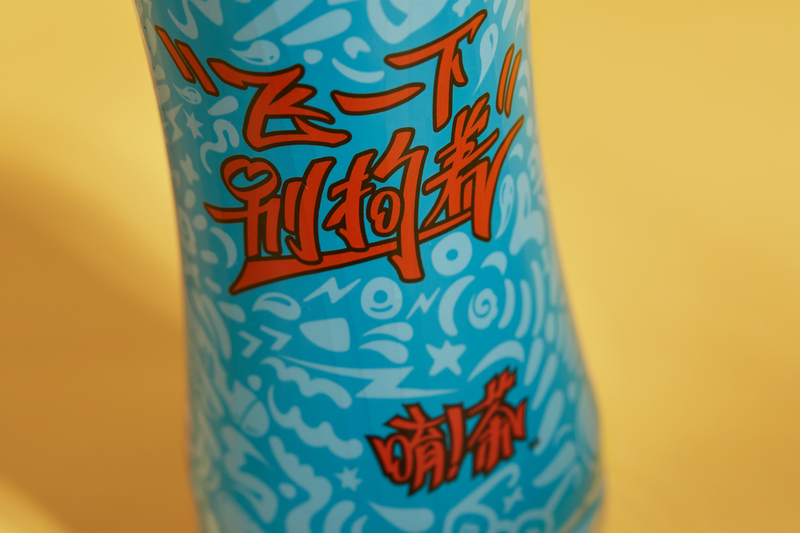 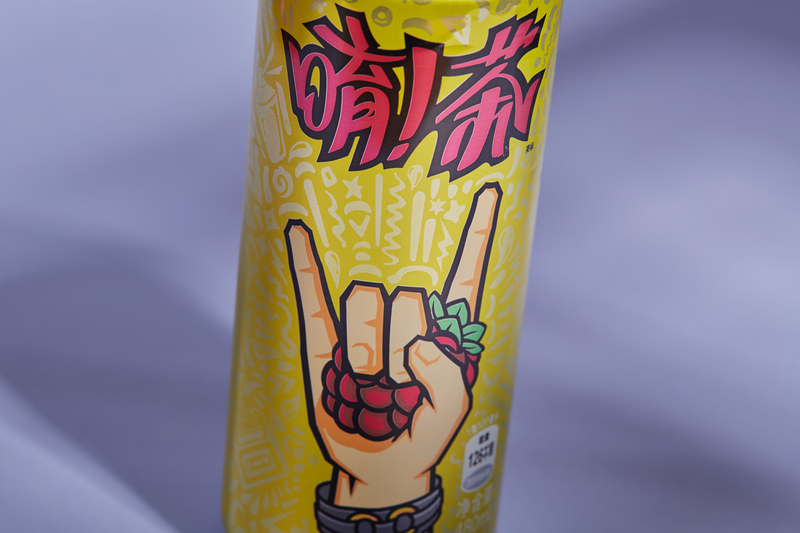 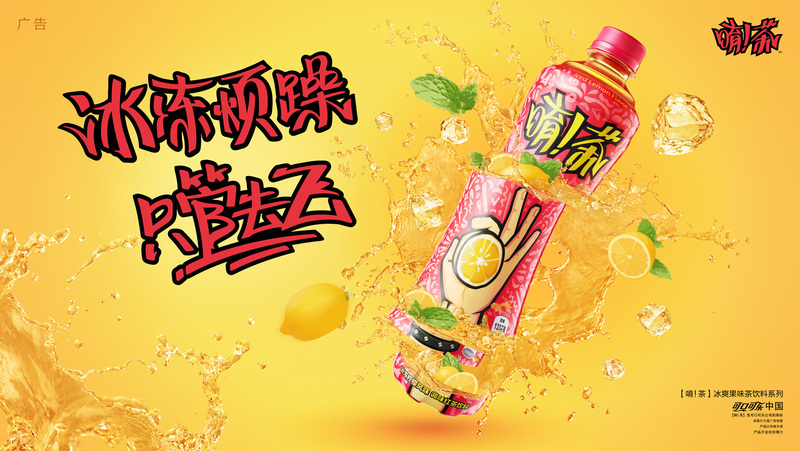 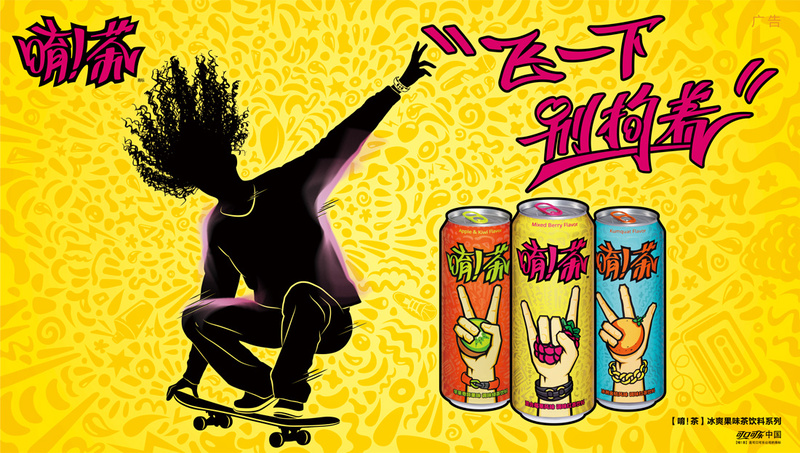 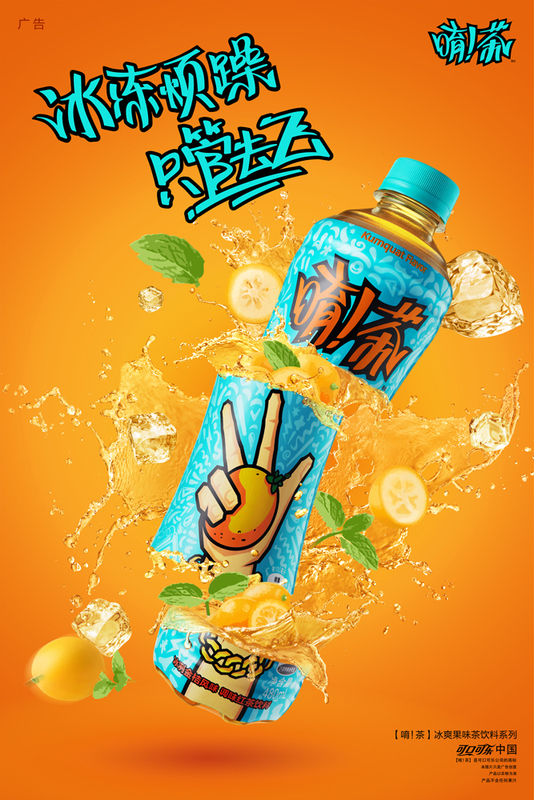 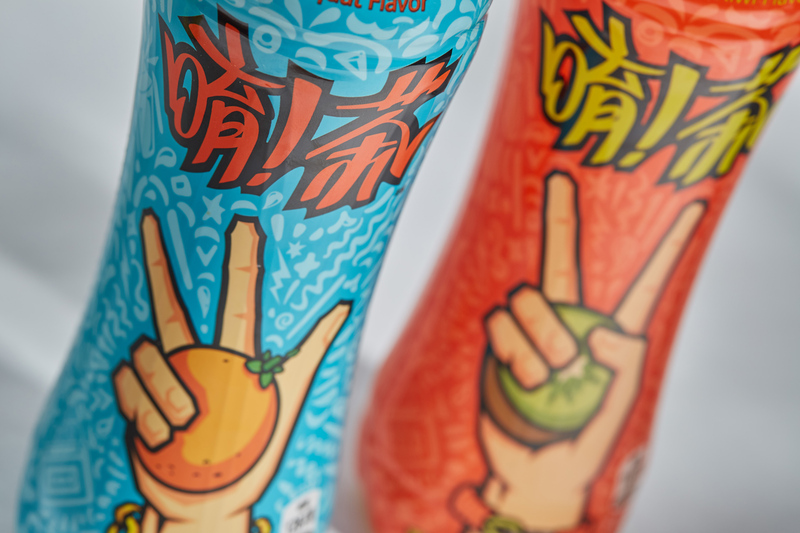 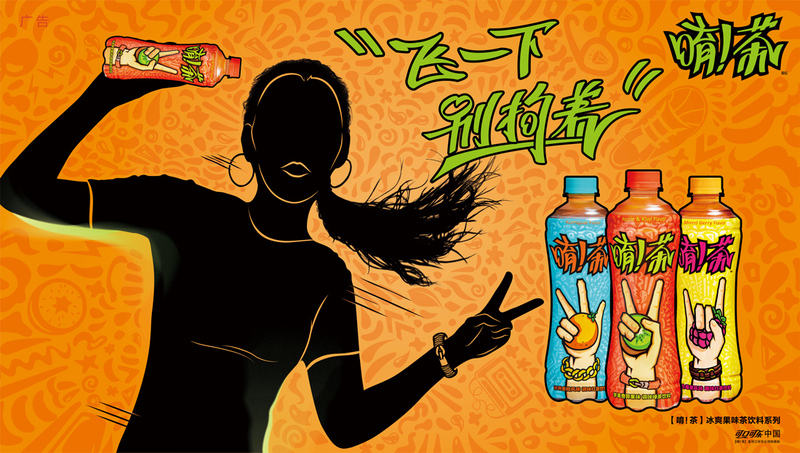 The flavored-tea brand embodies the free spirited attitudes of China’s post-90 & 00’s generation and riffs on the recent explosion of street / hip-hop culture throughout Greater China. 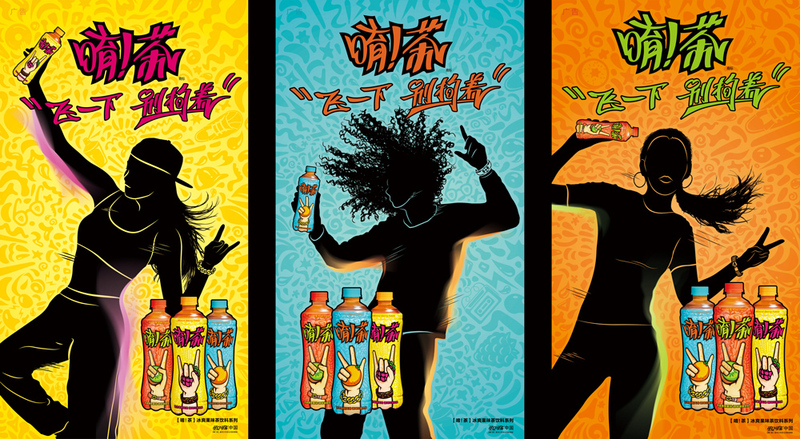 Our work for Yo! 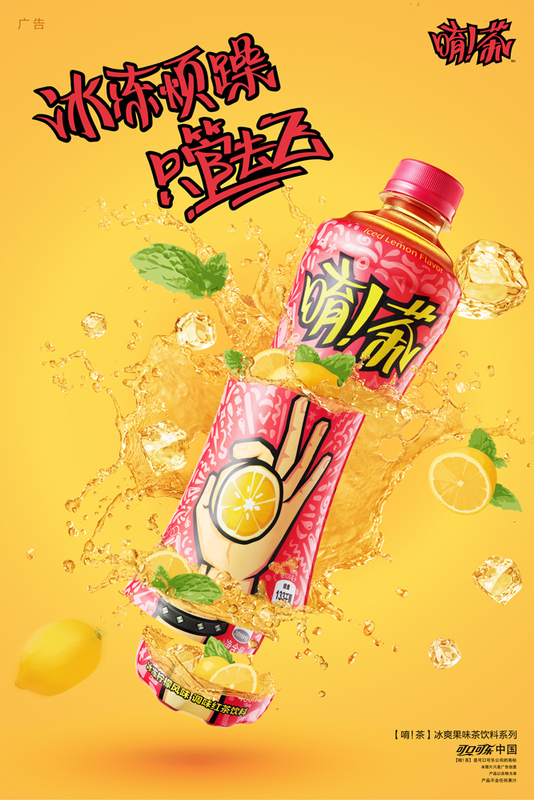 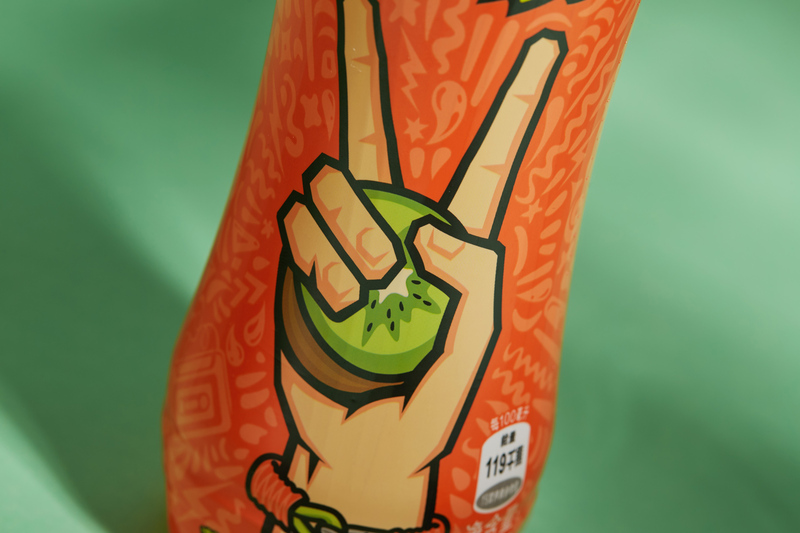 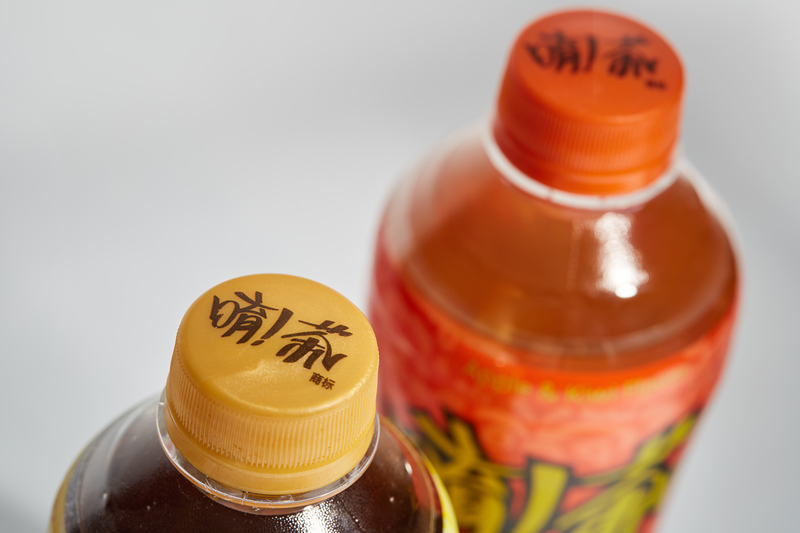 Tea is ongoing as the brand tests the market and continues to grow, but to date, deliverables have focused mainly on packaging design, copywriting, OOH and POS key visual advertisements, as well as a variety of internal strategy and branding efforts. 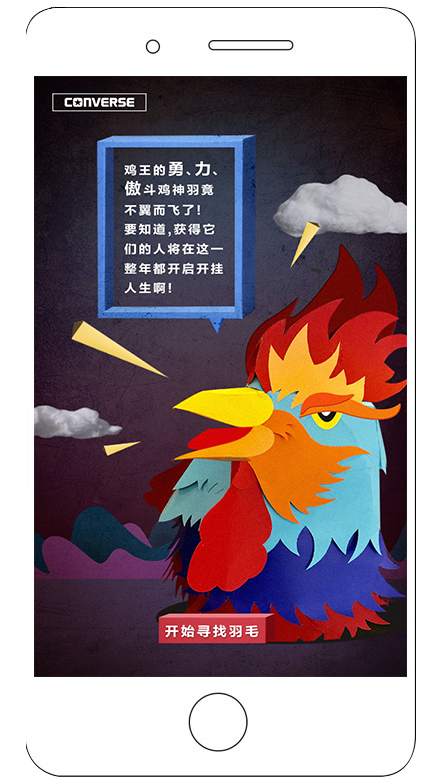 Chinese New Year is a season ripe with possibilities and perspectives. 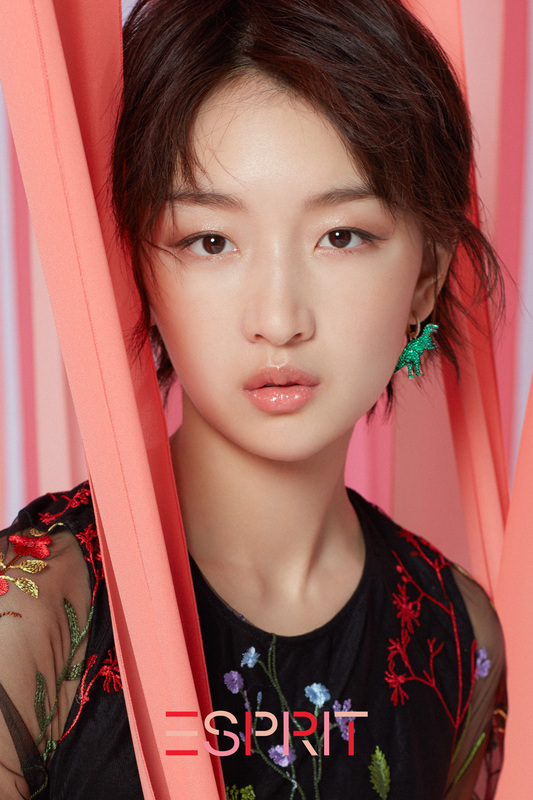 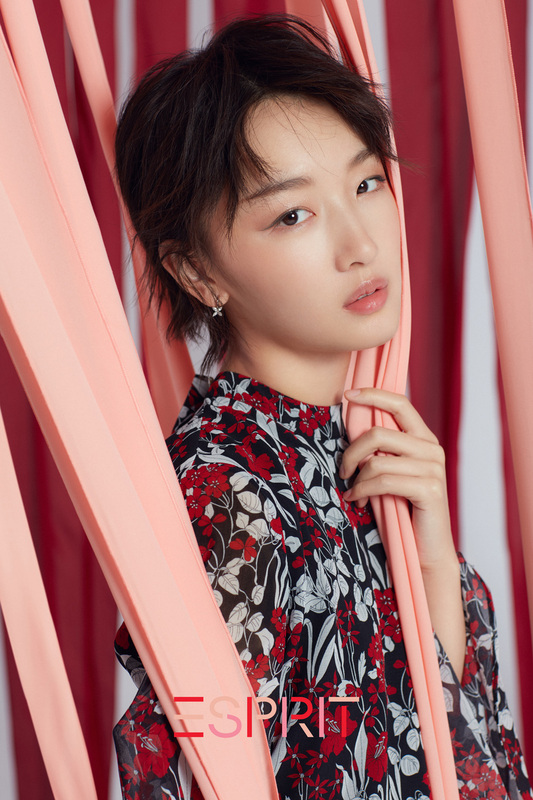 We celebrated these with a campaign for ESPRIT featuring actress Zhou Dongyu that showcases a new generation of women and a new concept of femininity in China (“新“ 女性). 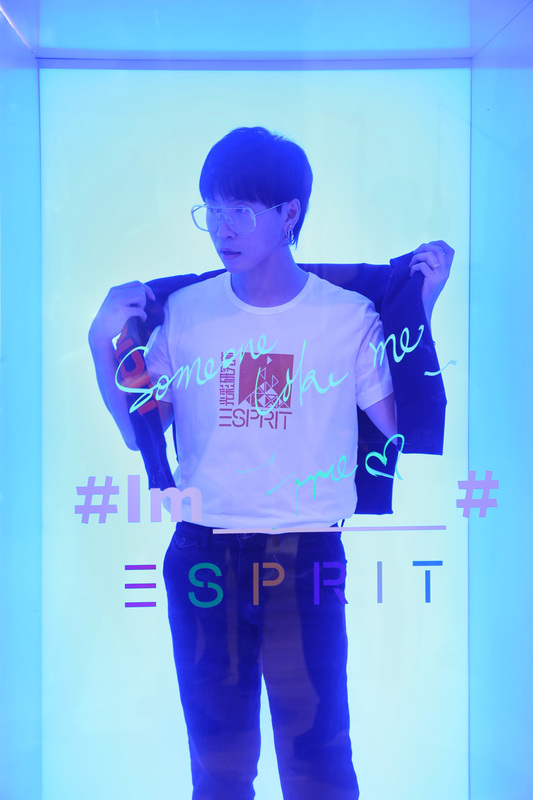 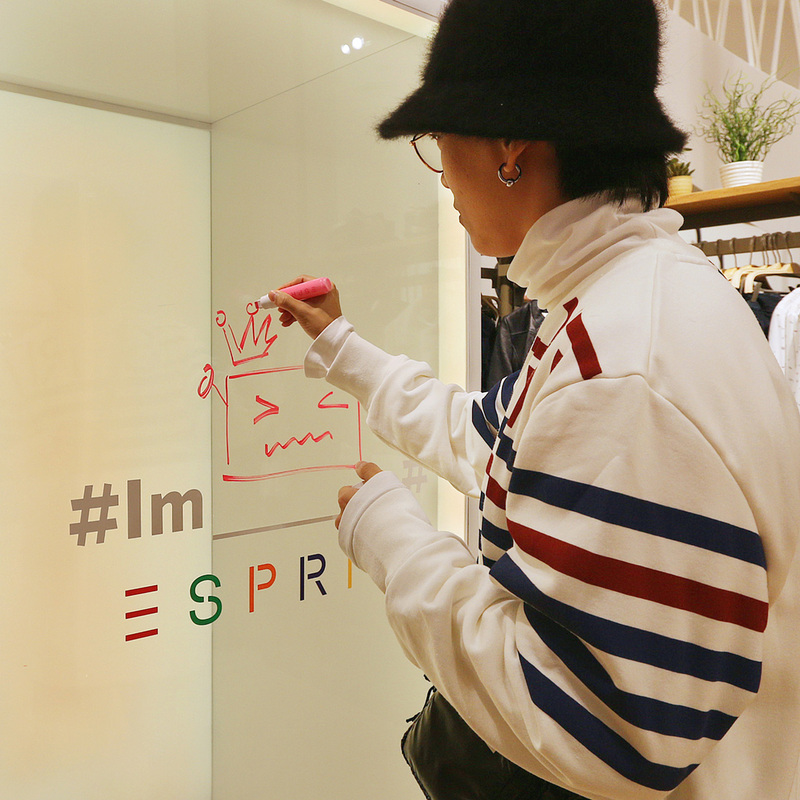 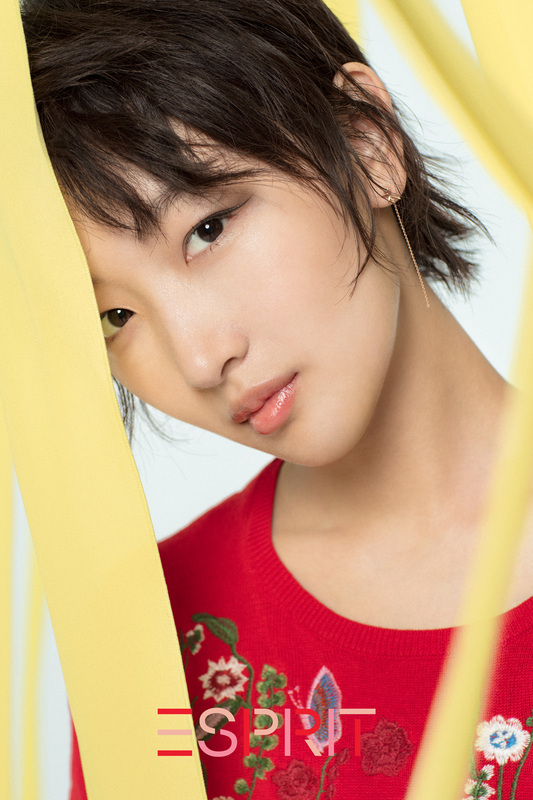 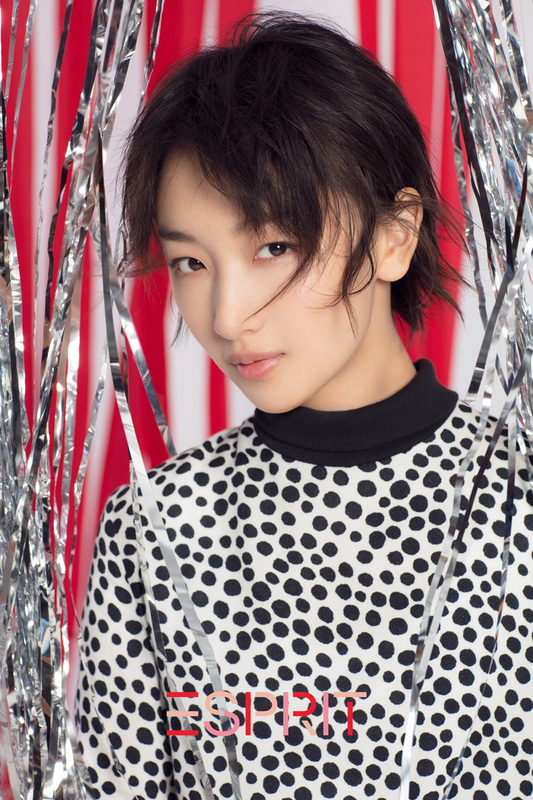 ESPRIT & Zhou Dongyu work together to champion “新“ 女性, a movement inspiring women to pursue their purpose, passion, and lifestyle with confidence, regardless of what’s expected of them. 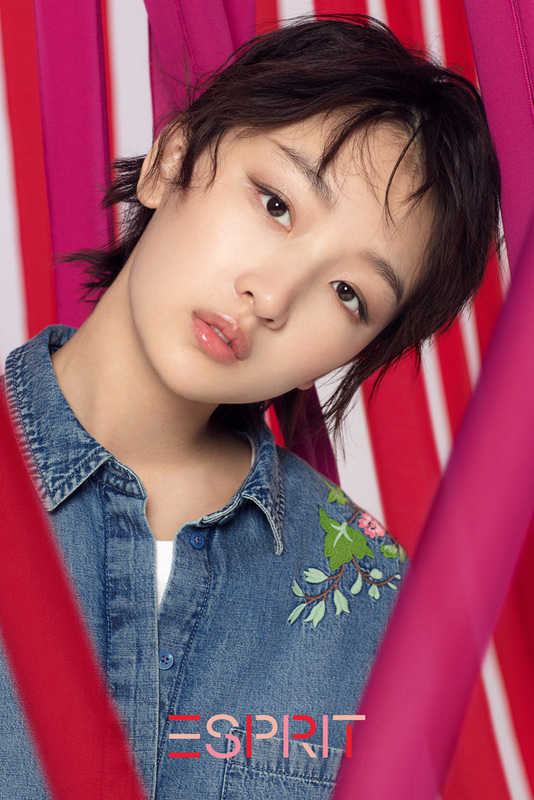 We also created a print campaign of seasonal looks with Zhou Dongyu. 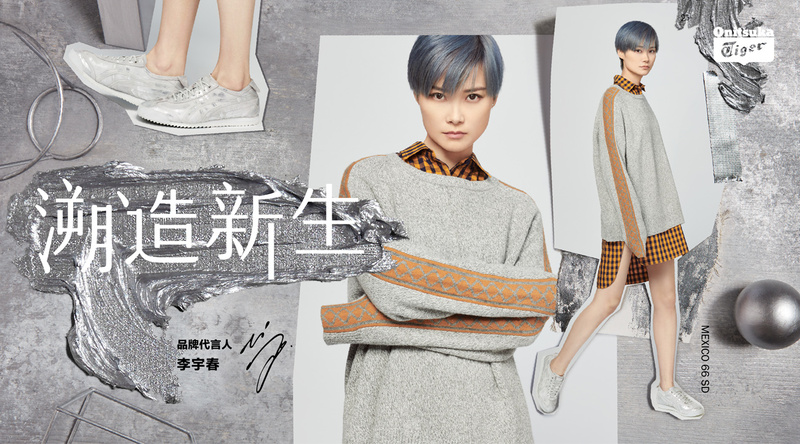 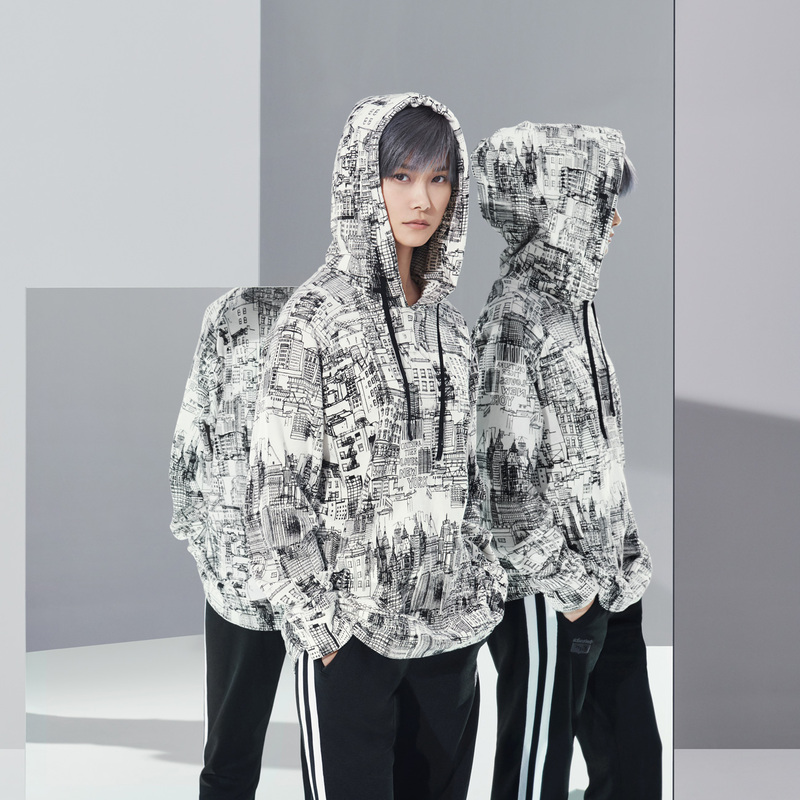 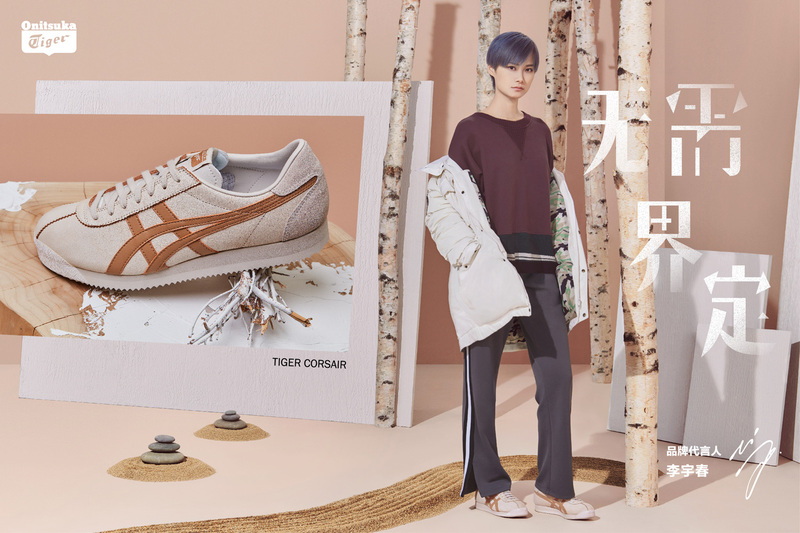 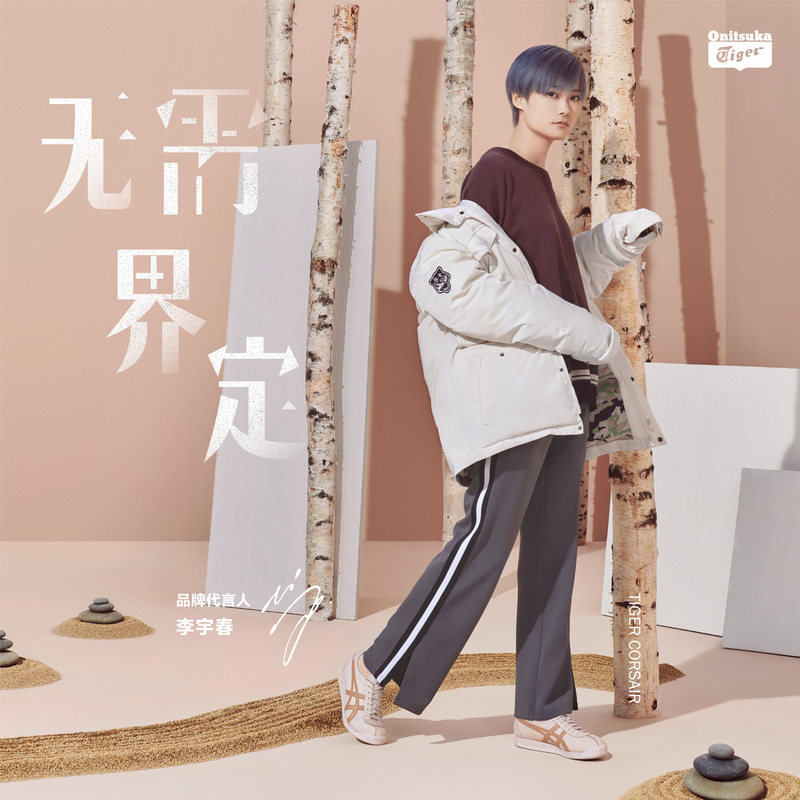 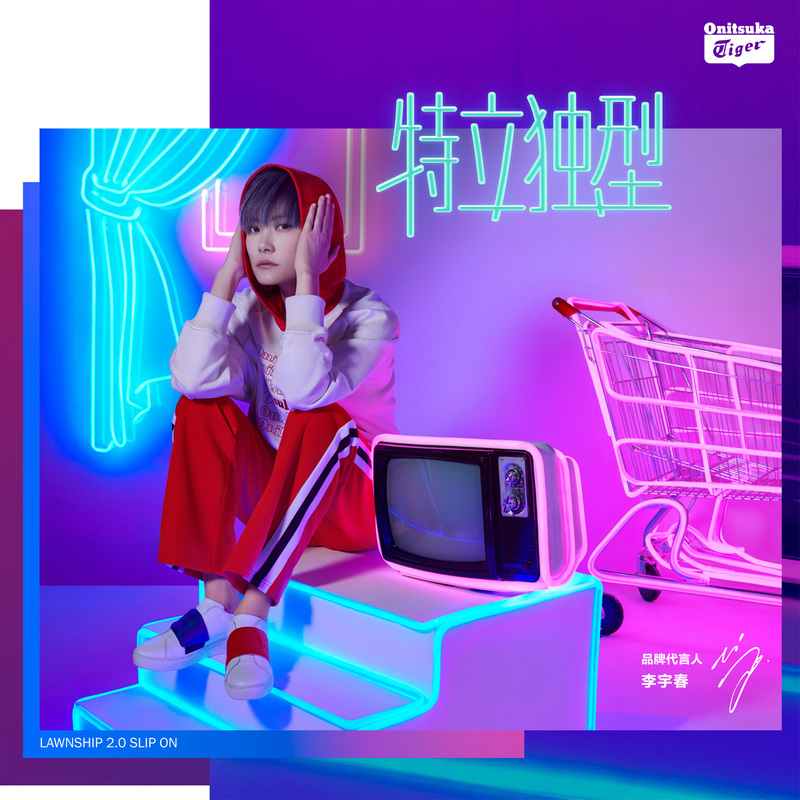 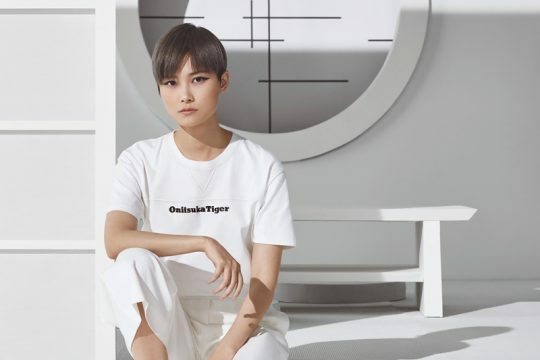 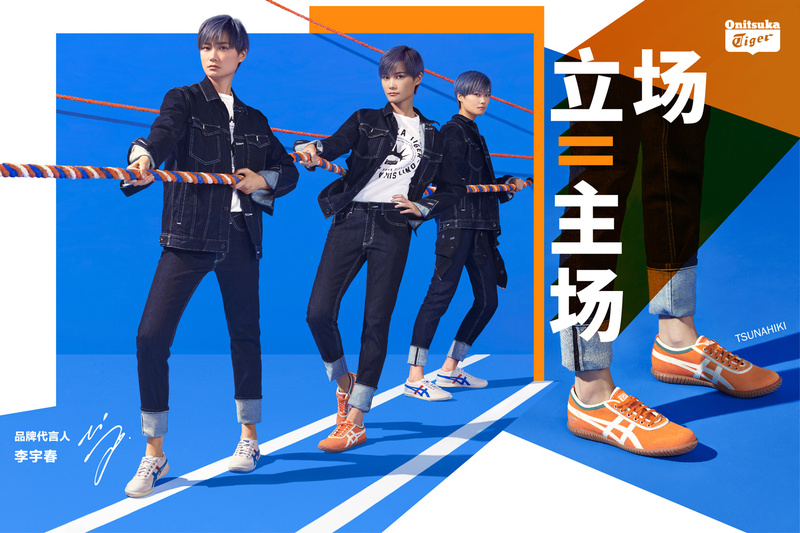 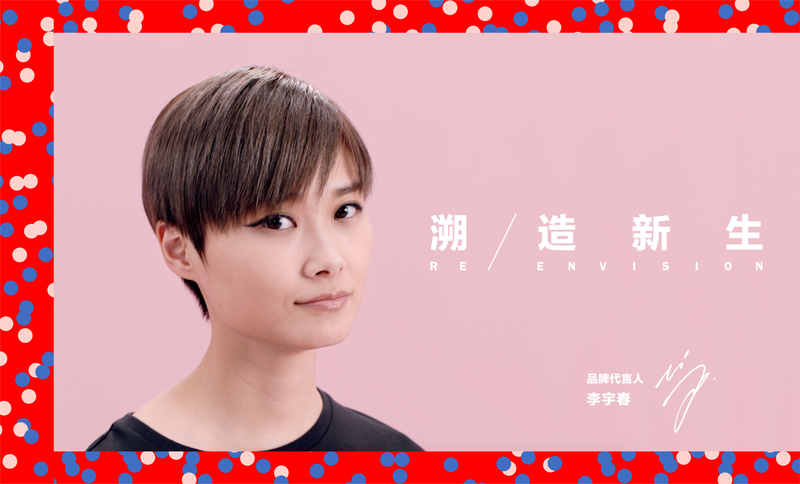 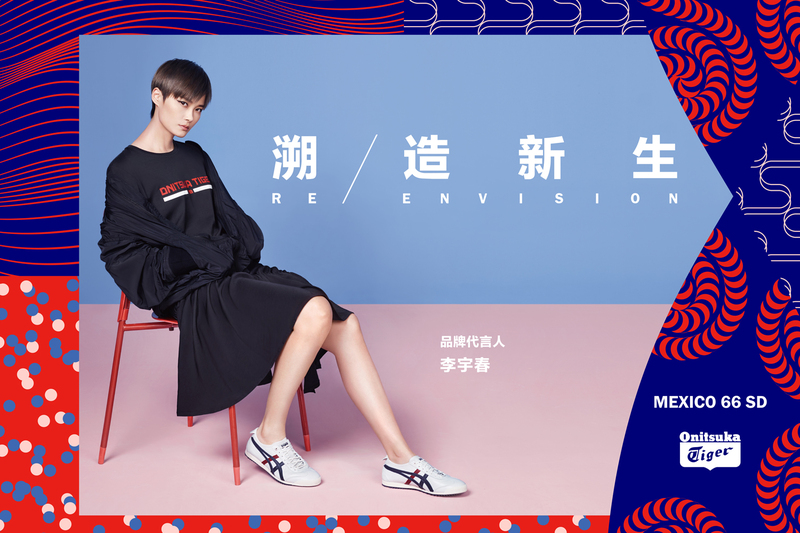 CAMPAIGN OVERVIEW: We created a seasonal campaign for Onitsuka Tiger featuring popstar and actress Chris Lee (Li Yuchun). 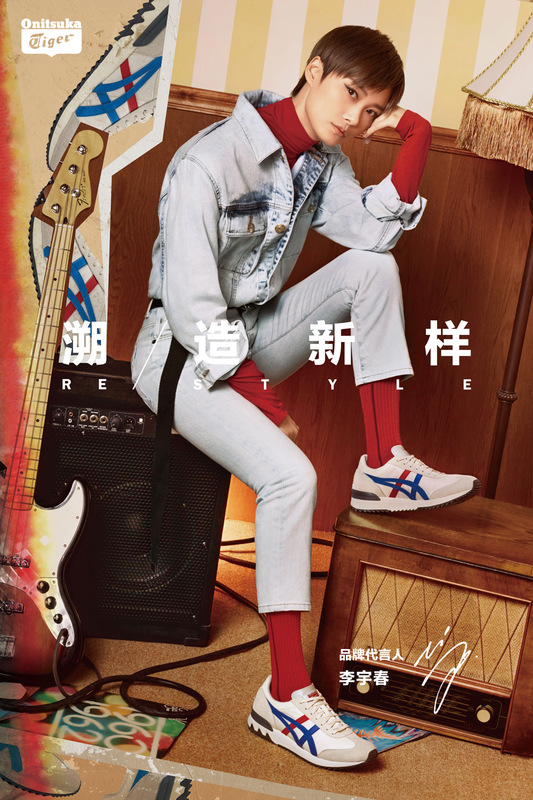 The campaign concept, 溯 · 造新生, storytells around the brand’s iconic, retro heritage and stresses the inherent virtue of progress and innovation: how the past informs the future. 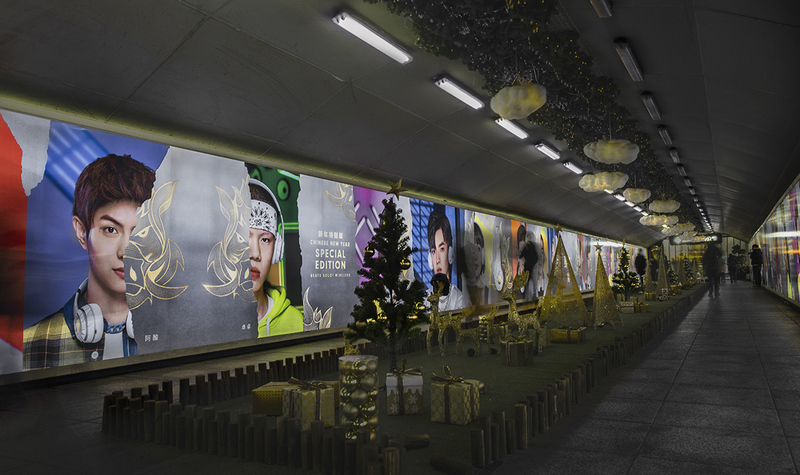 Each month of the campaign builds on the “溯 · 造“ storyline with different interpretations of creating “new from the old”; how tradition and legacy pave the way for what lies ahead. 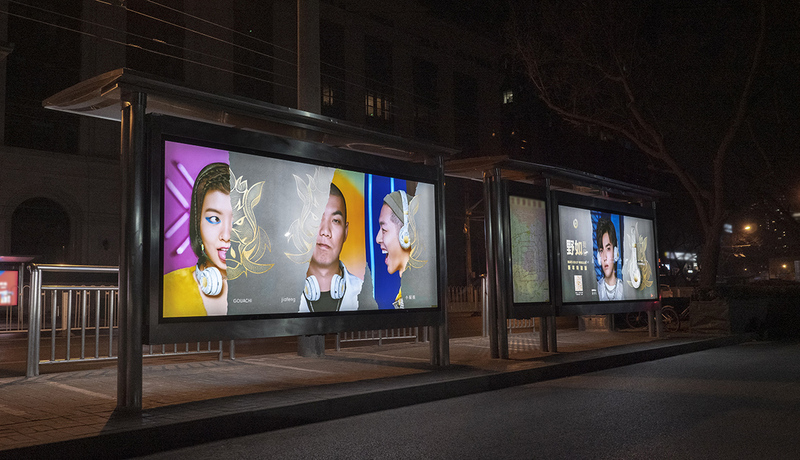 The campaign ran throughout Greater China across all media. 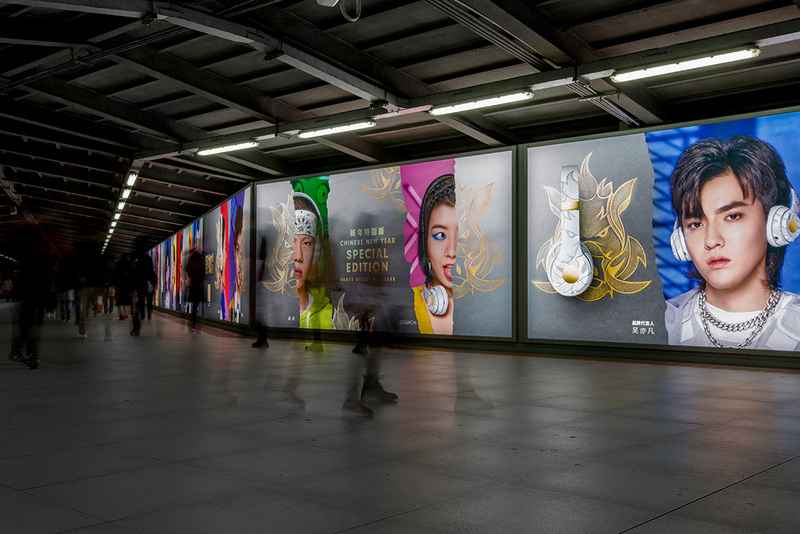 The January campaign visually re-interprets the classic Opening Ceremony country flags from the most iconic Olympic Games of all time – Mexico 1968. 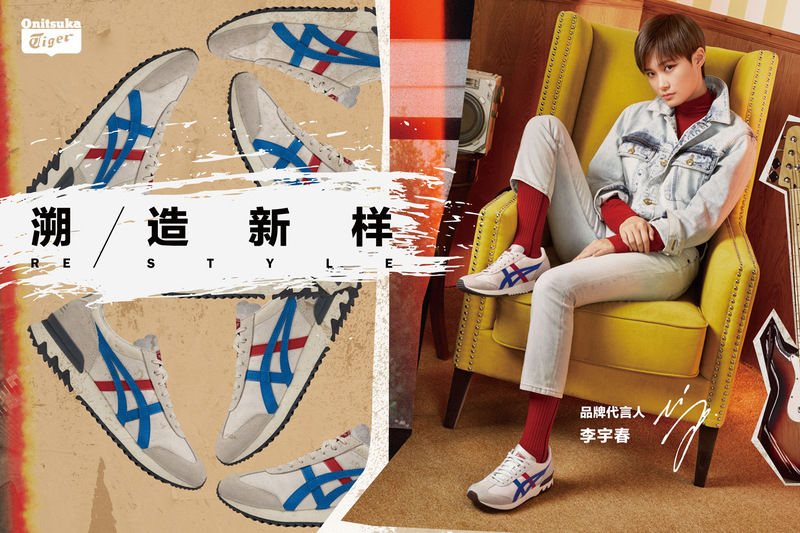 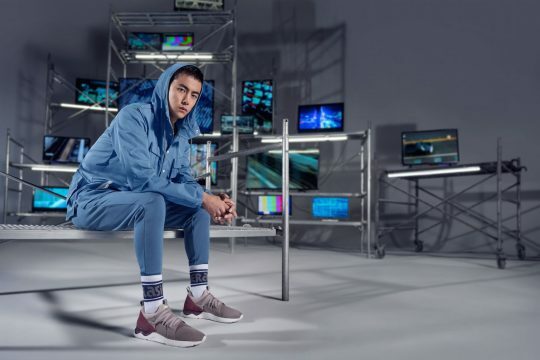 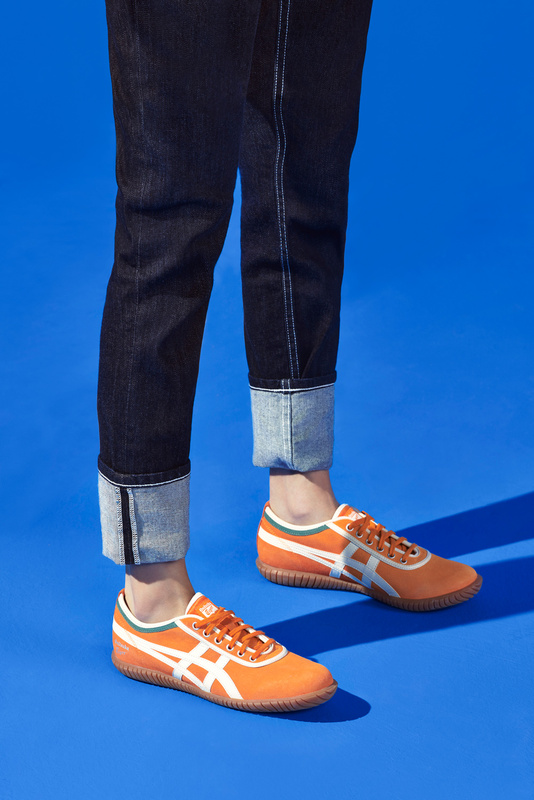 Chris Lee embodies the essence of the Onitsuka Tiger brand heritage with a message to consumers to re-envision the classics in order to find the best in themselves. 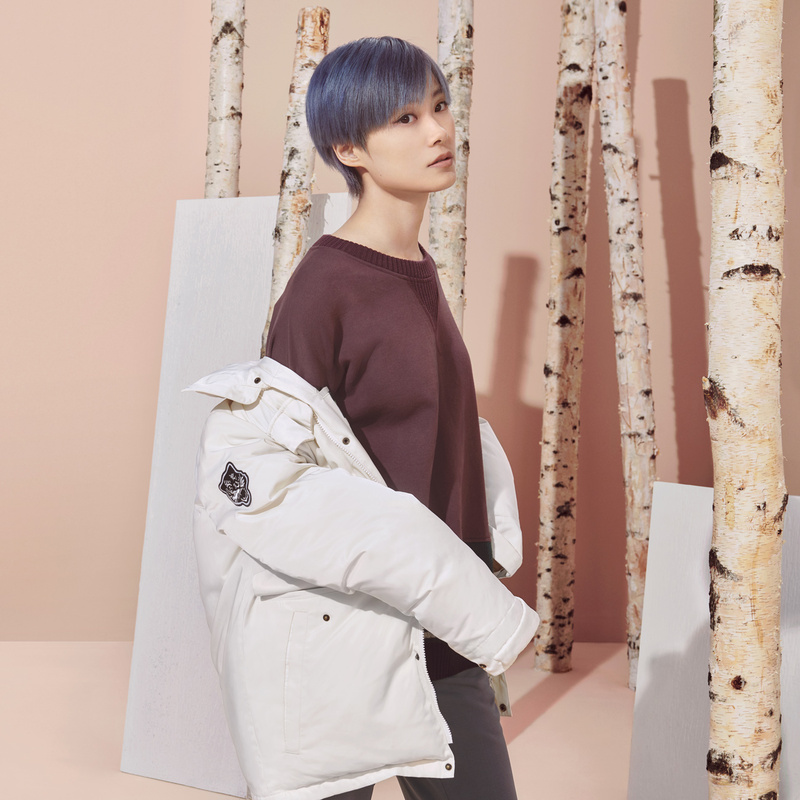 The February campaign redefines style with ultra-modern visuals and high fashion sensibilities. 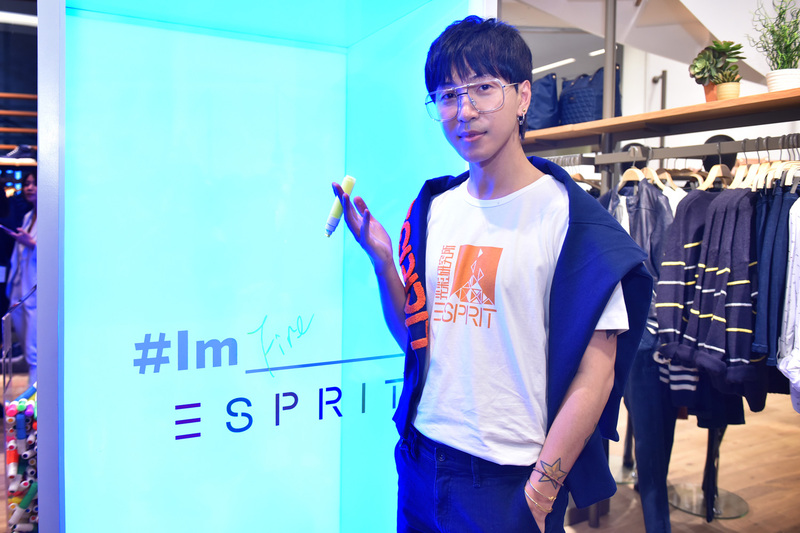 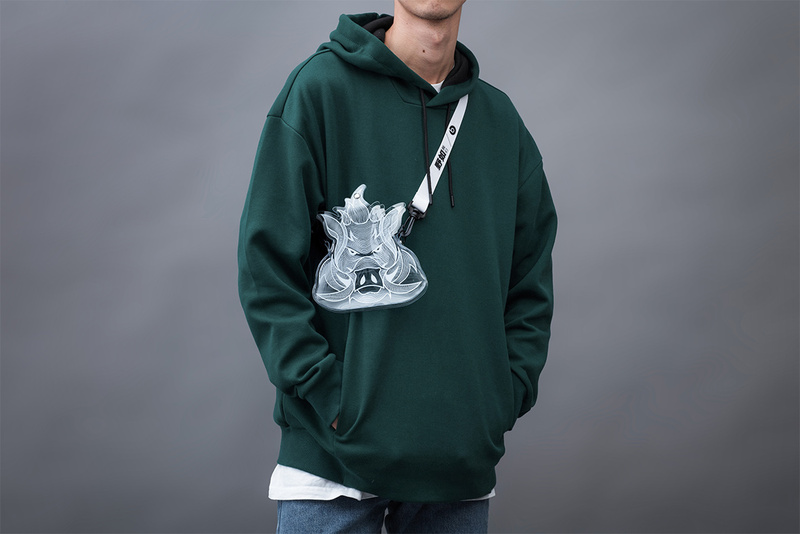 Chris Lee inspires consumers to discover the true meaning of fashion – to not be a slave toward trends, and to constantly re-invent themselves with confidence, attitude, and freedom of expression. 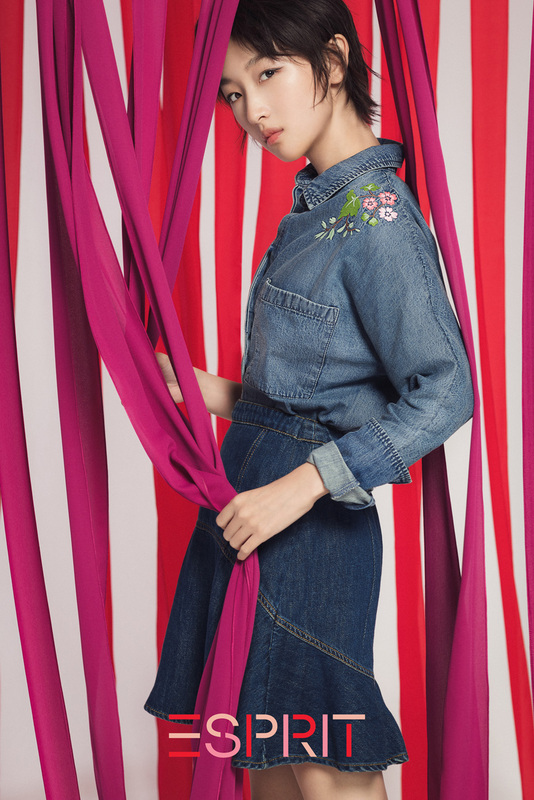 The April campaign is inspired by endless poolside vibes under sun-drenched skies. 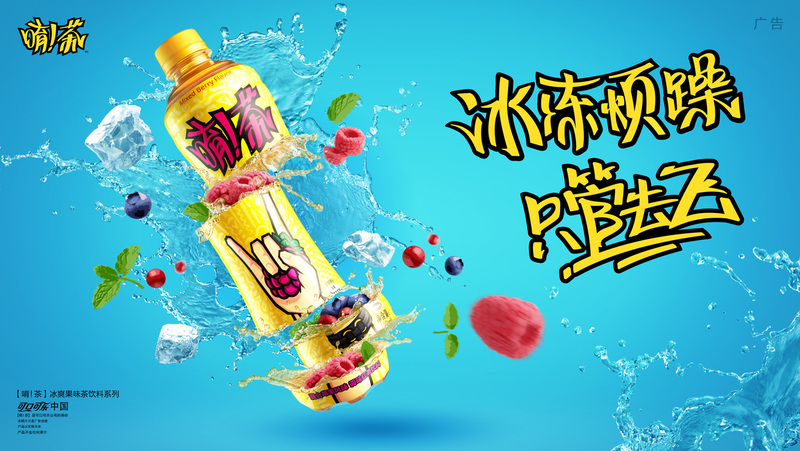 Chris Lee delivers a message to consumers to shake off the dust of winter by reinventing themselves with unforgettable fun times as summer approaches. 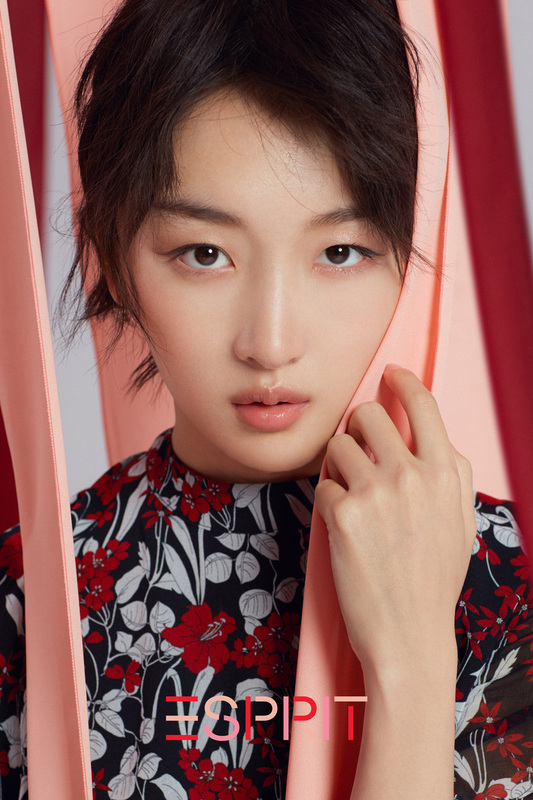 The May campaign is inspired by modern minimalist Japanese design. 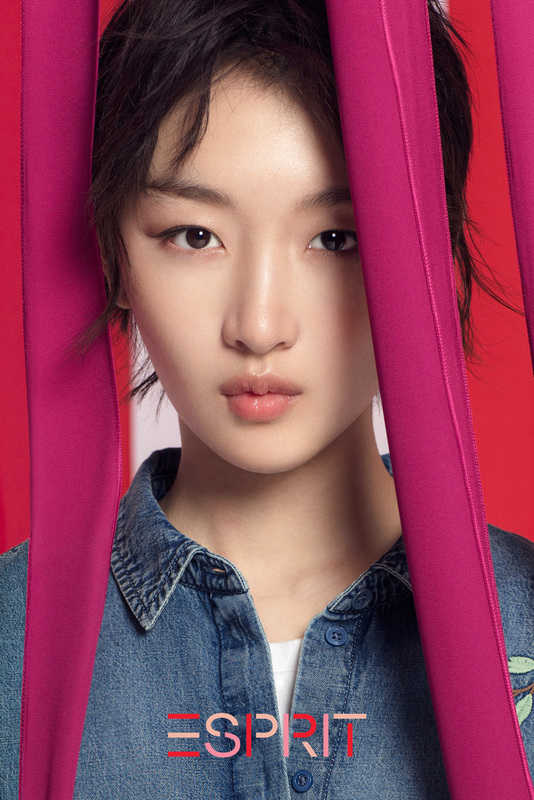 Chris Lee reminds consumers to embrace “less is more” ethos and that simplicity is the key to discovering extraordinary within the ordinary. 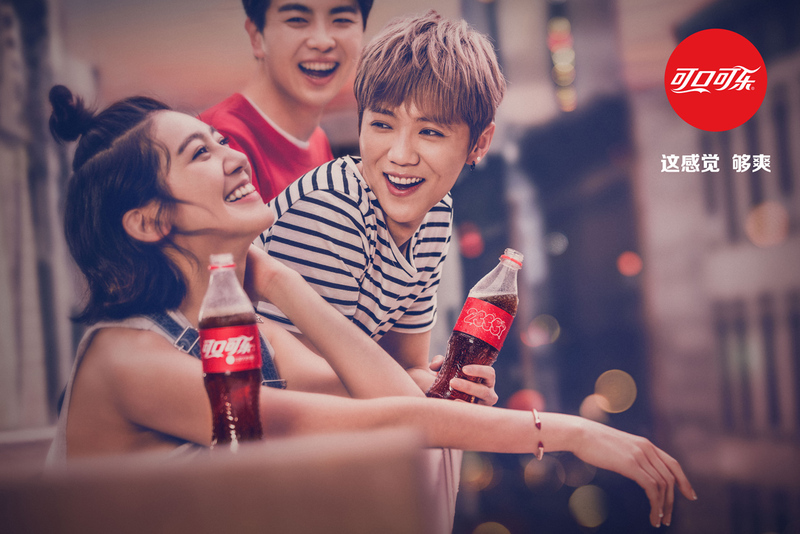 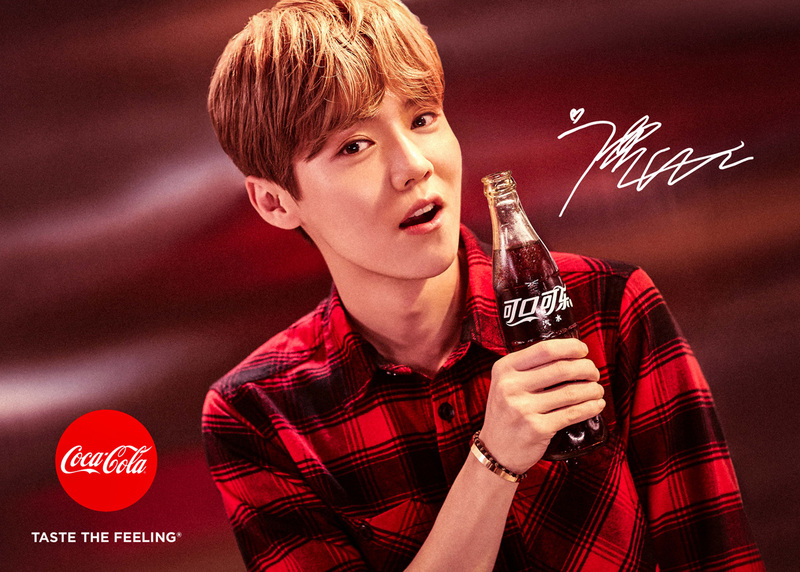 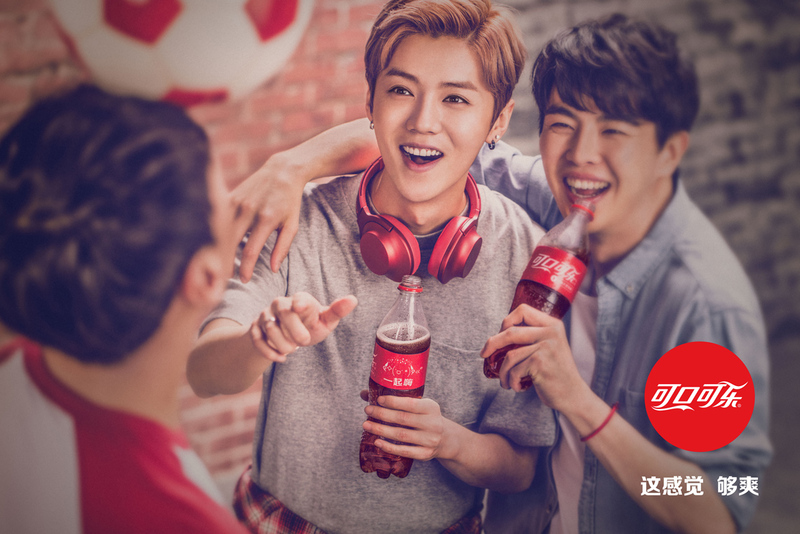 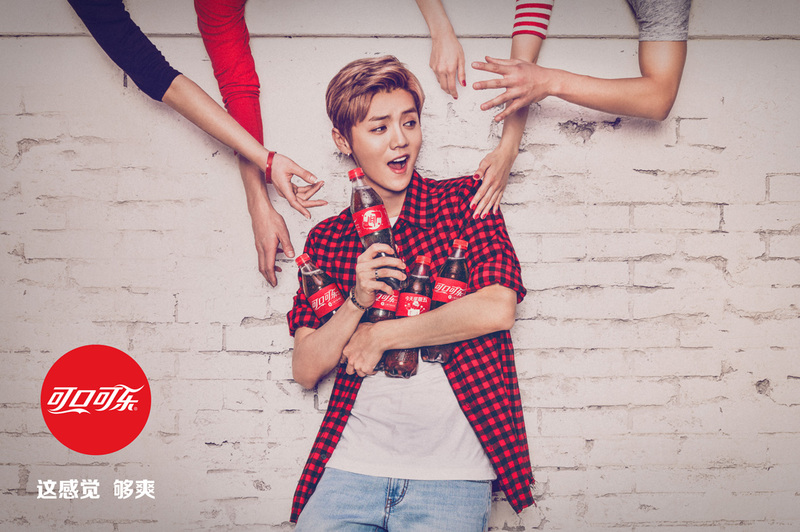 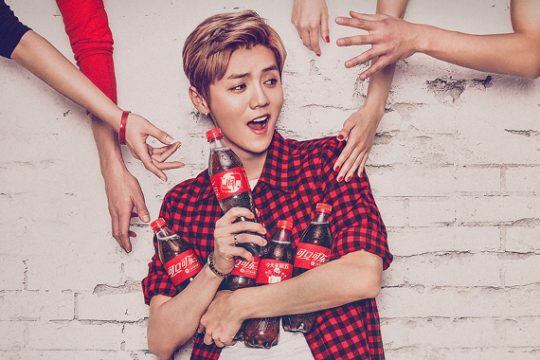 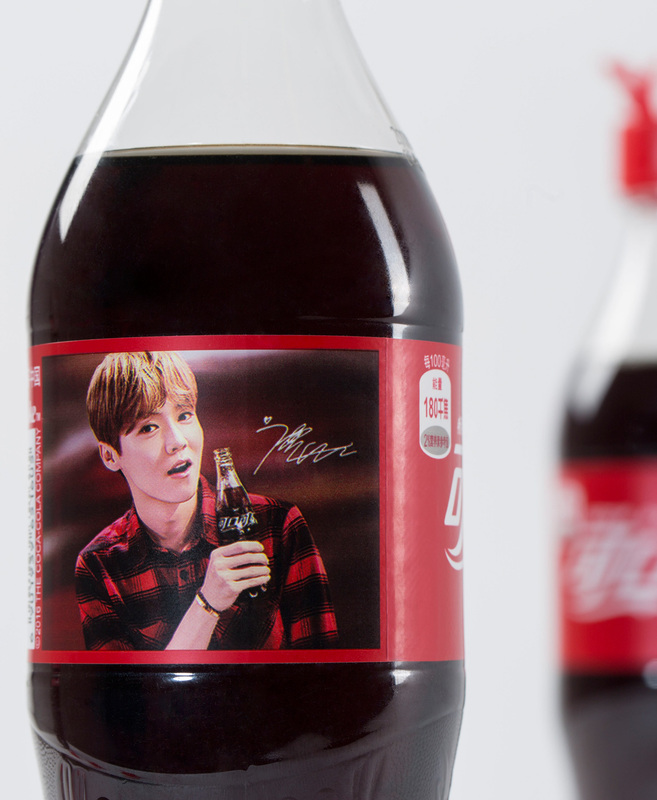 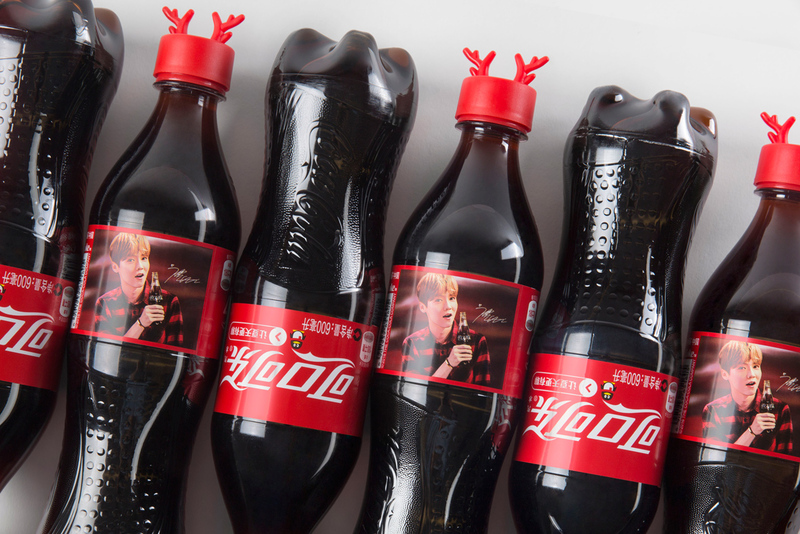 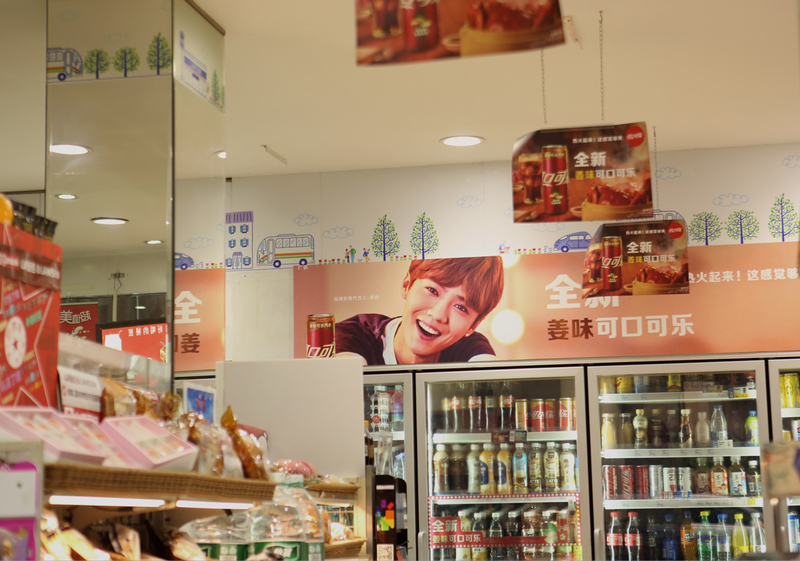 We recently created a variety of print campaigns for Coca Cola featuring pop-star and actor Luhan. 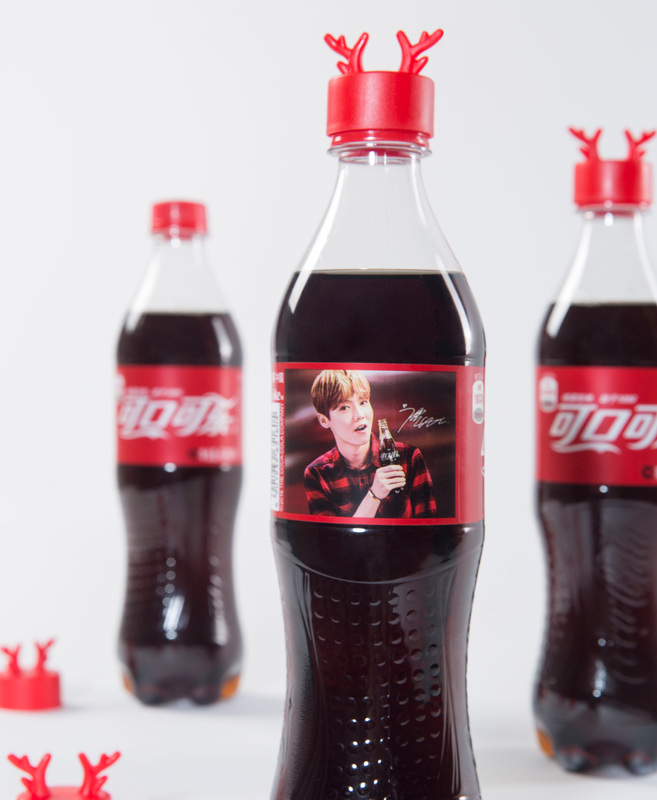 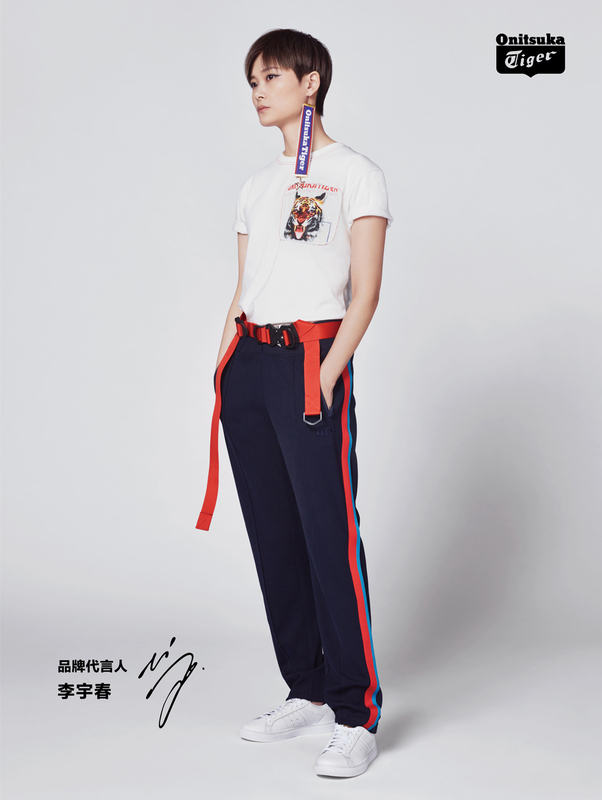 The work showcased here was for the brand’s summer campaign, Ginger-flavored “Bring Out The Heat / 热火起来” promotion, and a limited-edition “Deer Antler” bottle design (a playful pun on Luhan’s surname, which means “deer” in English). 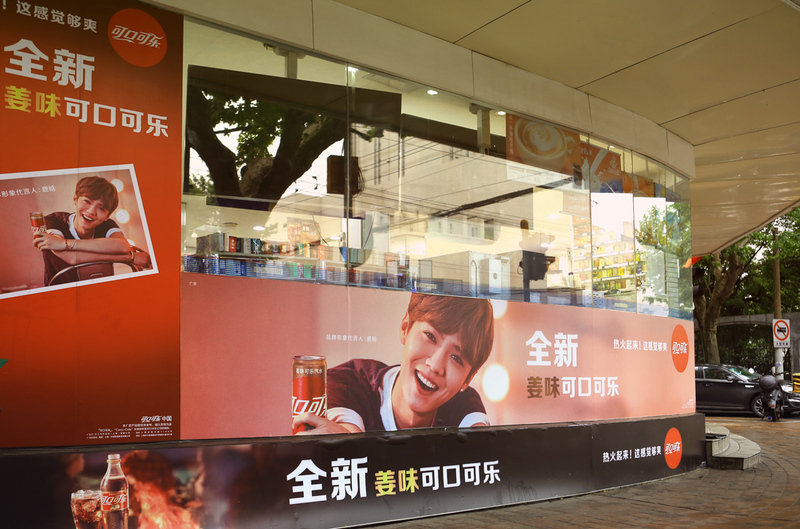 The print campaigns were featured in print media, OOH, and point-of-sale executions throughout Greater China. 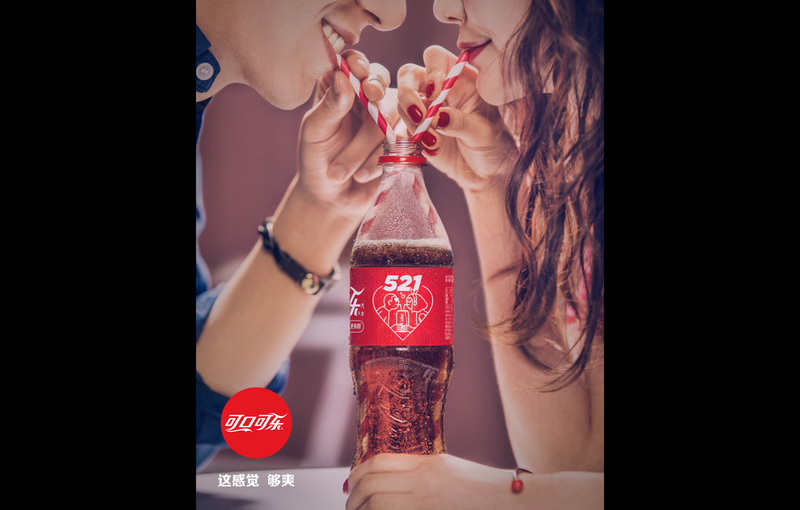 Campaign photographer was agency founder and creative director Adam J. Schokora. 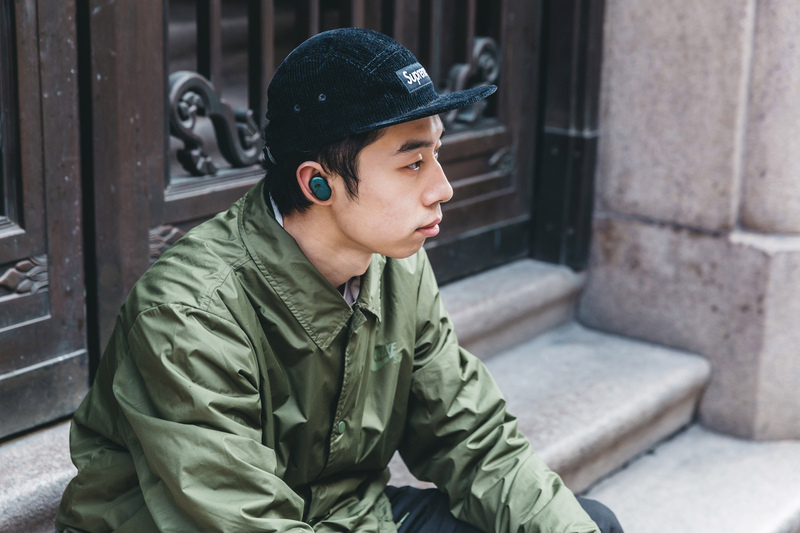 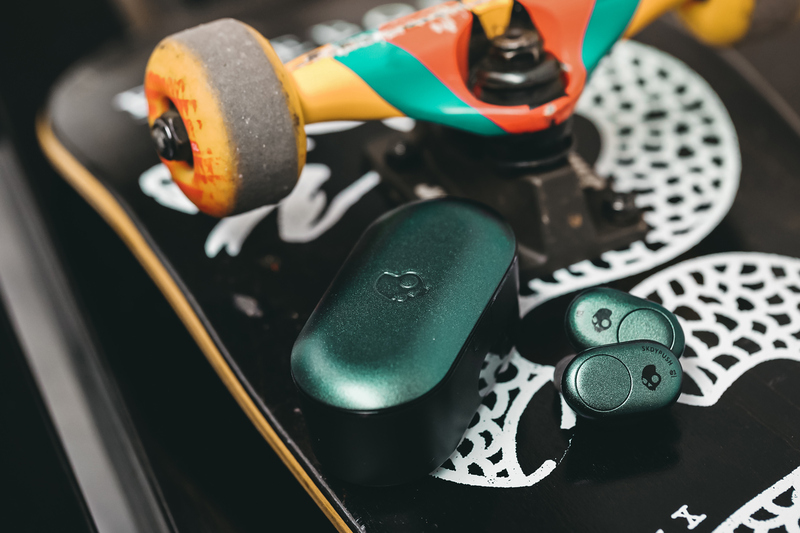 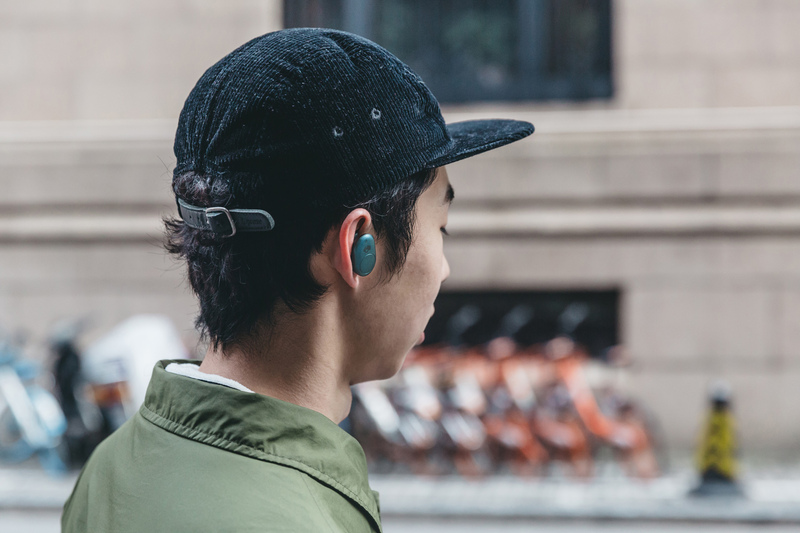 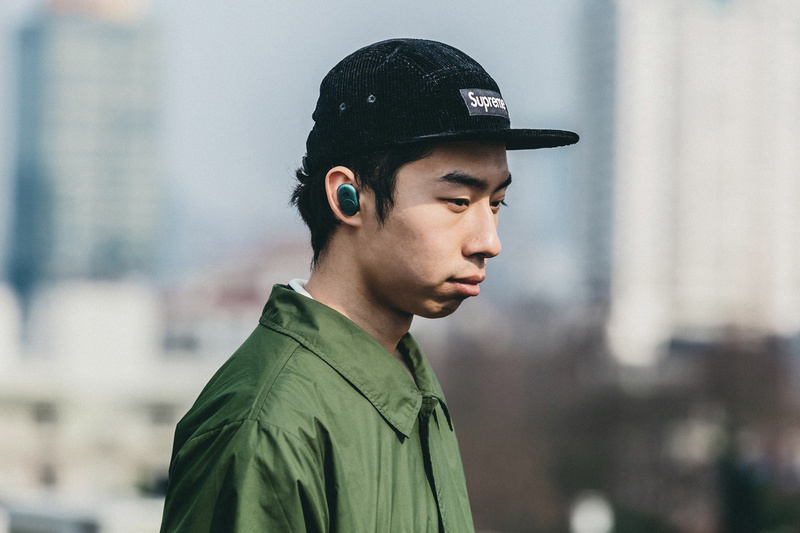 To mark the launch of Skullcandy‘s wireless Push™ earphones, we teamed up with the brand to present a series of stories celebrating those in the creative community who push themselves to the limit and break boundaries. 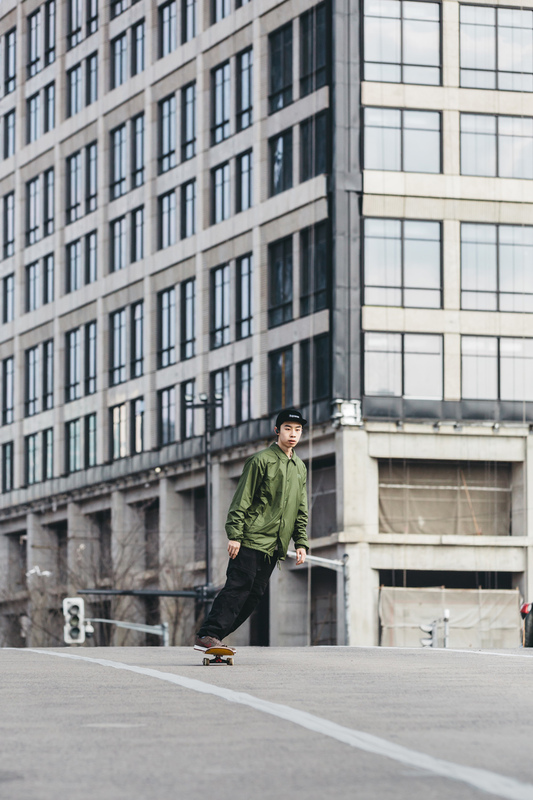 In the first story of the series, we caught up with professional skateboarder Wang Di to chat about skating, perseverance, and the meaning of courage. 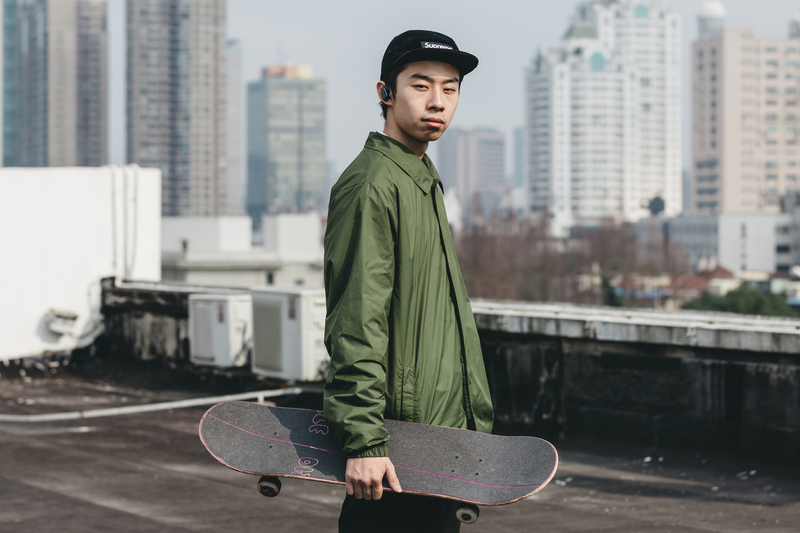 Wang learned perseverance from his father, who gave him his first board at age 12. 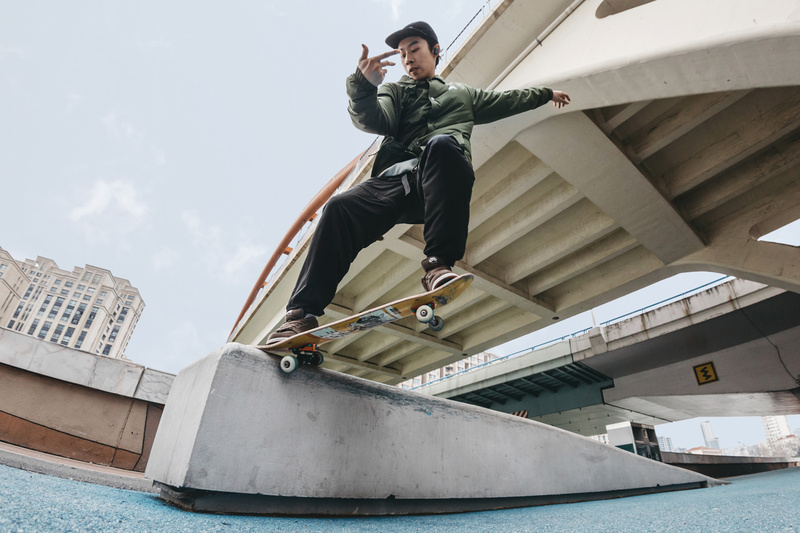 When his son showed a talent for skating, he encouraged him to follow his passion as far as he could—and then keep going. 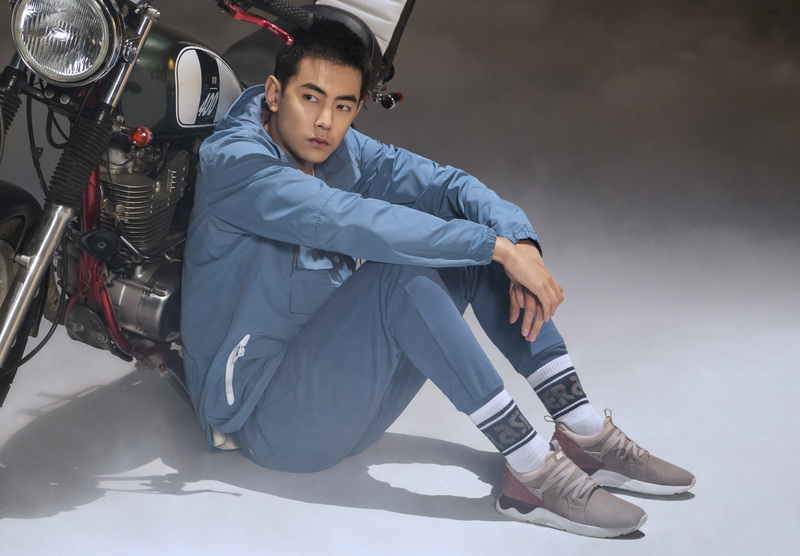 Before long, Wang was taking home prizes at competitions. 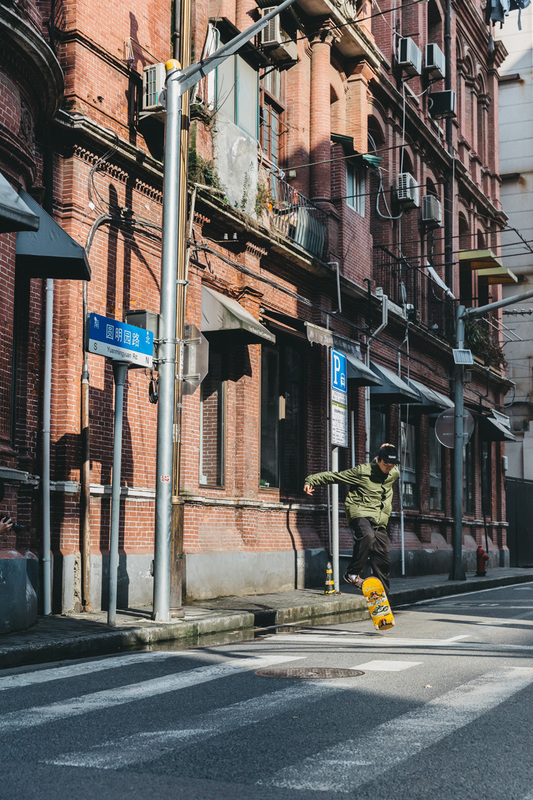 Back in school, whenever a skateboarding event fell on a weekday, his family let him take time off to compete. 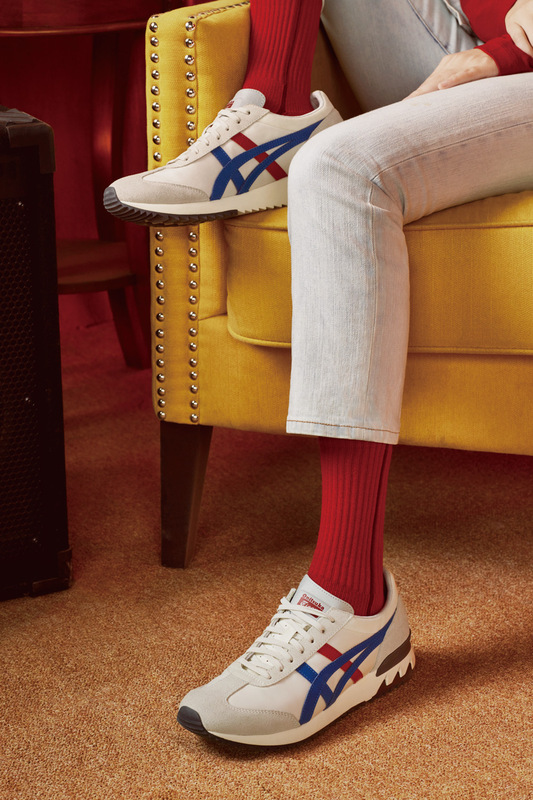 “The longest I ever took off was a week. 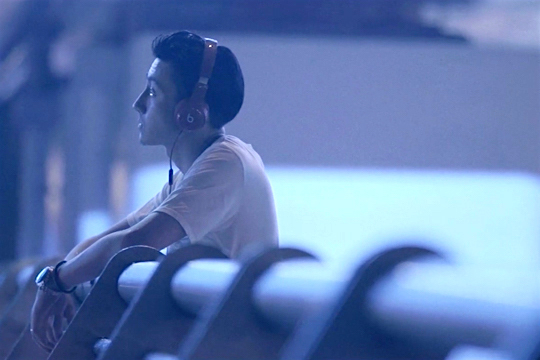 When I look back now, it’s hard to believe,” he says. 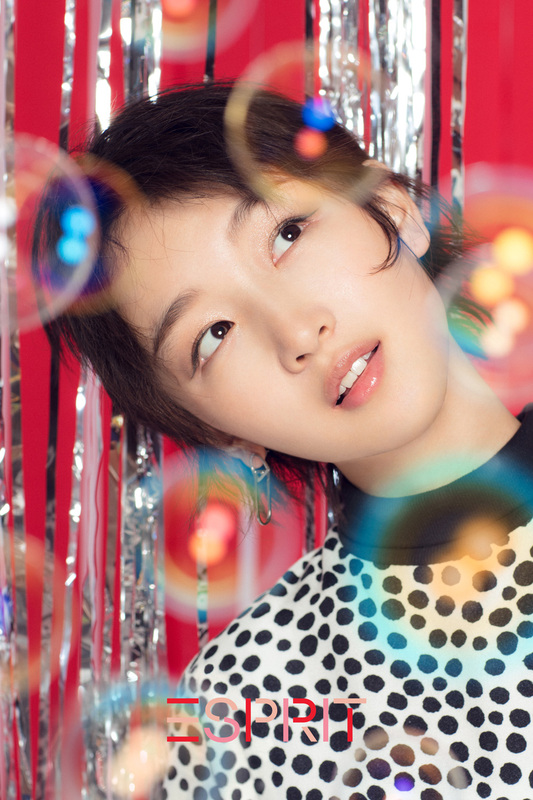 “Compared to other parents of that generation, my dad was really open-minded. 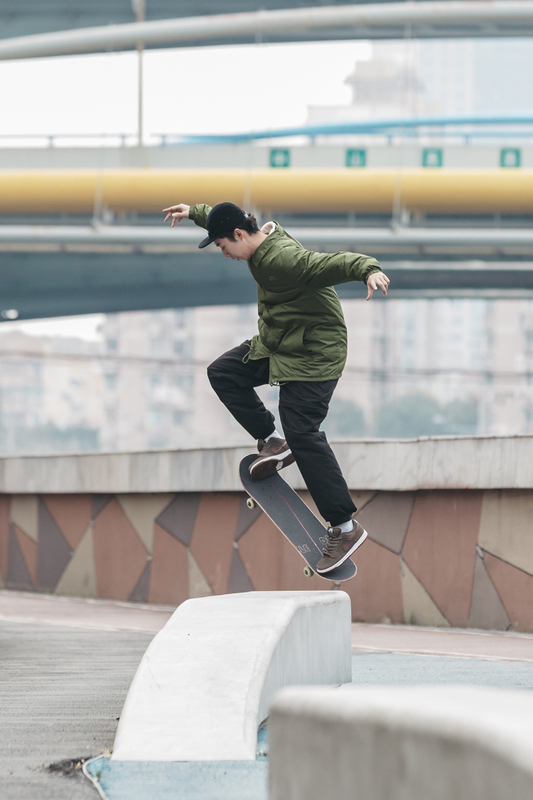 And he knows a lot about skateboarding—he started getting into it at the same time I did.” So when Wang announced he wanted to take the leap and skate professionally, his dad had his back. 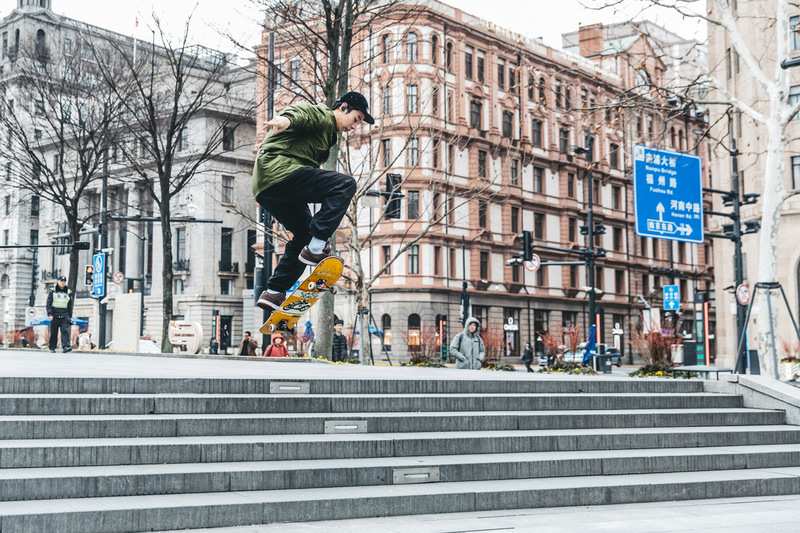 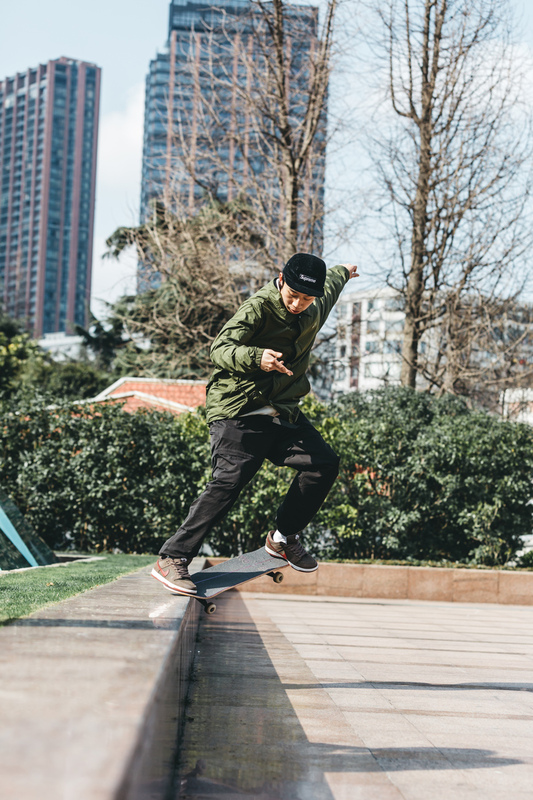 In China, skateboarding is still viewed with suspicion, and even finding a spot to skate is hard—you never know when you’ll be chased away by an overzealous security guard. 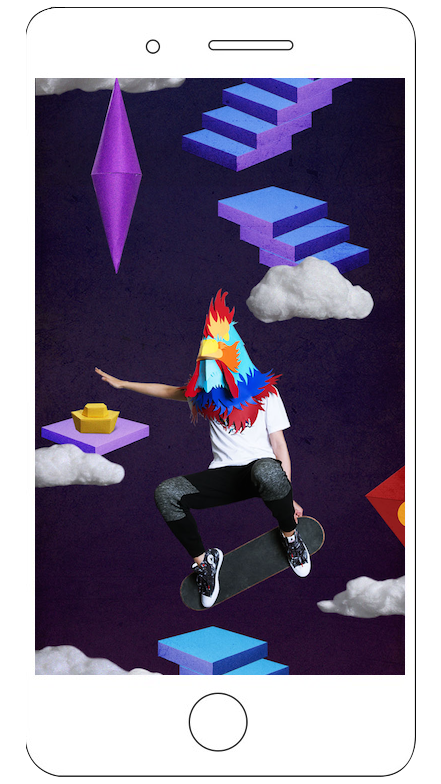 So telling people you’re a professional skater raises more than a few eyebrows. 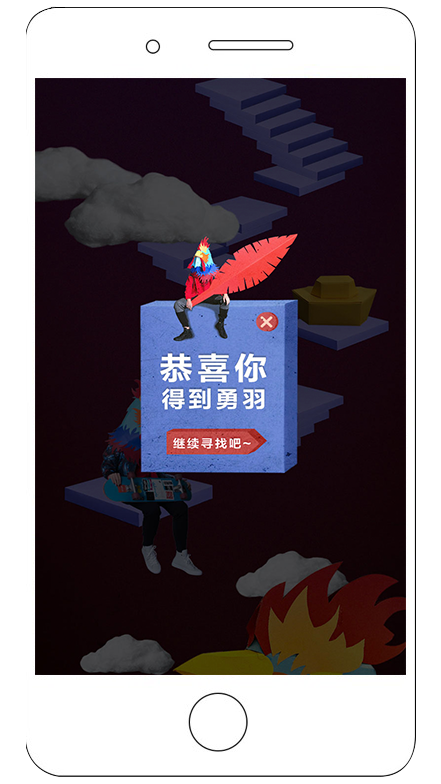 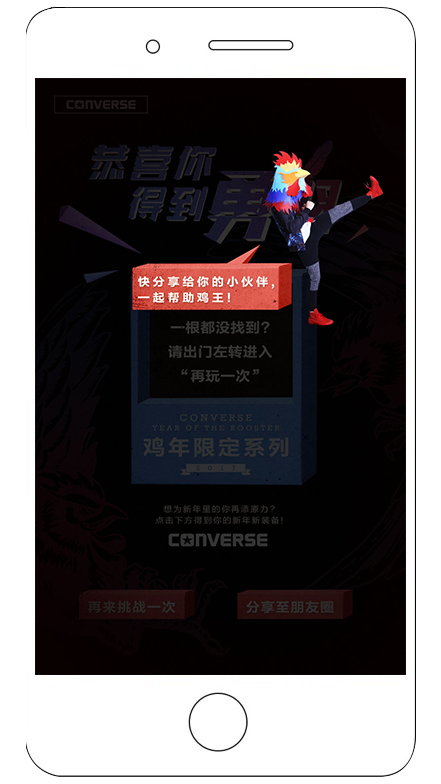 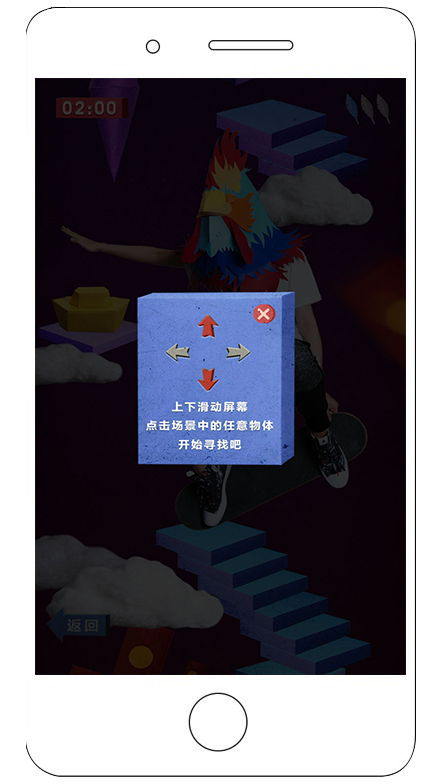 In celebration of the Year of the Rooster, we developed an innovative HTML 5 WeChat game for Converse that incorporated the seasonal campaign’s core storytelling values: Courage, Strength, and Honor. 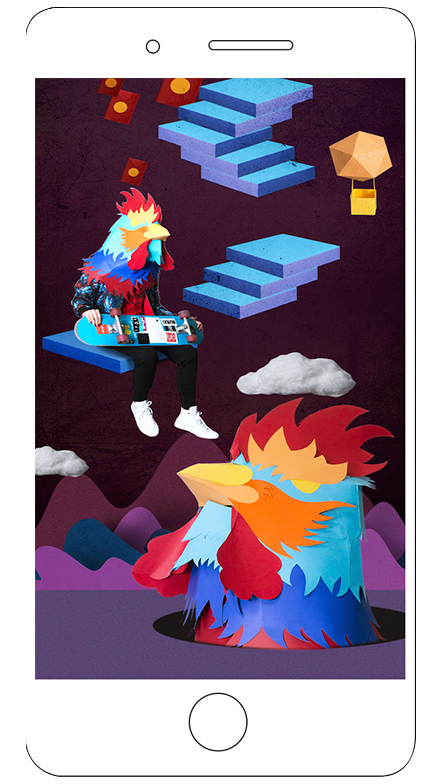 In the game, players actions help the Rooster King successfully navigate three different worlds to win back stolen feathers representing Courage, Strength, and Honor. 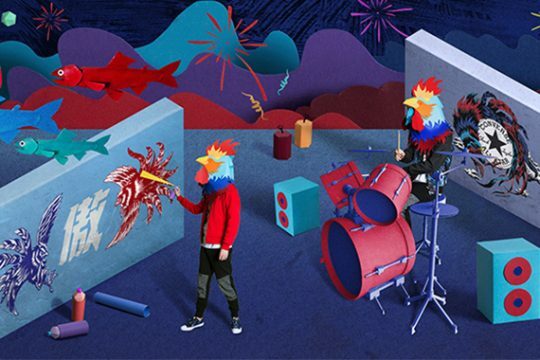 The game content employs live-shot characters, origami paper-mache, and stop-motion animation to create surreal visual worlds for players to traverse in under two minutes while competing with friends to win a secret “fortune.” Styling of characters was done with seasonal Chinese New Year apparel line. 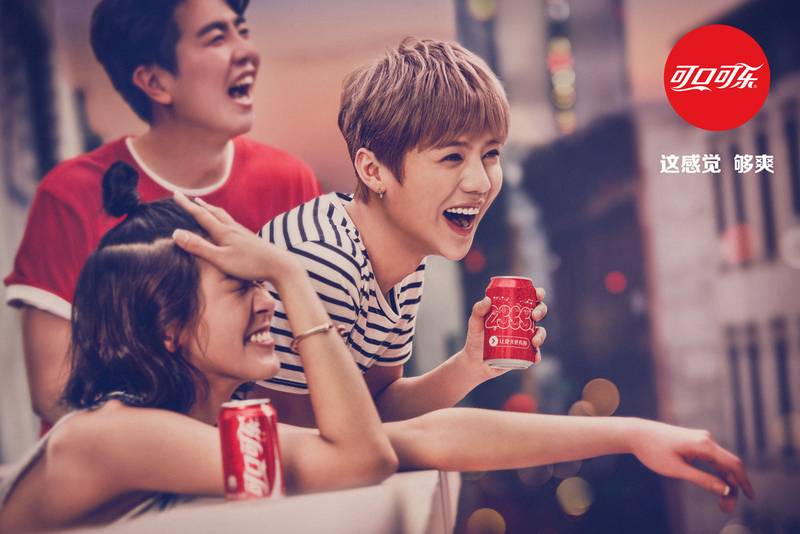 The overall game design showcases our ability to imagine and deliver an immersive world in which a target consumer engages in a memorable, seasonally-relevant brand experience. 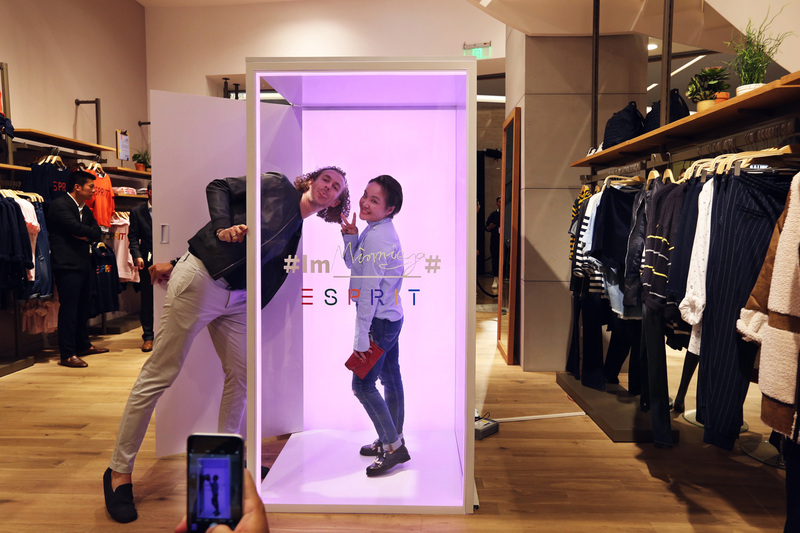 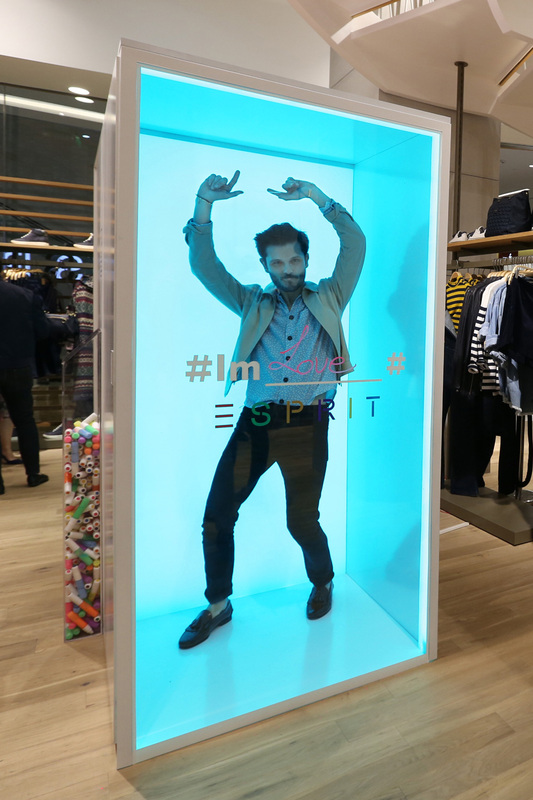 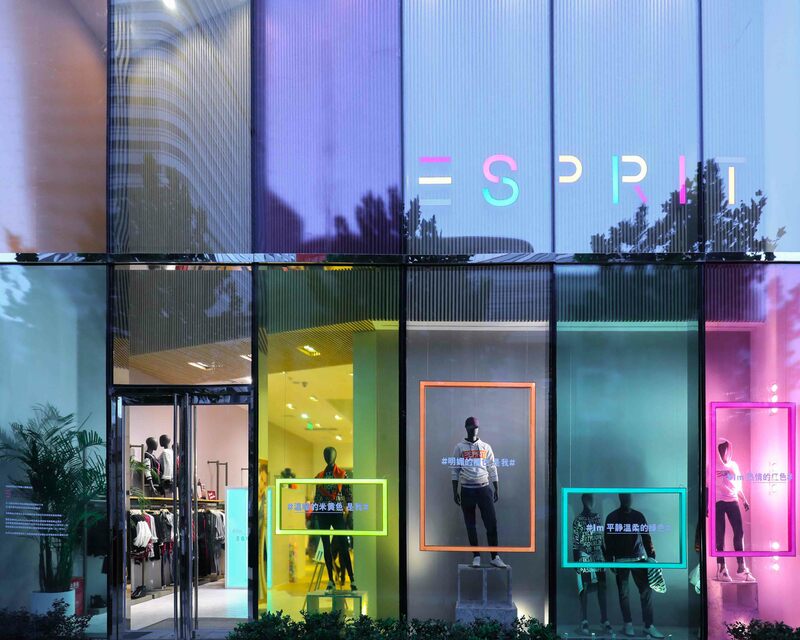 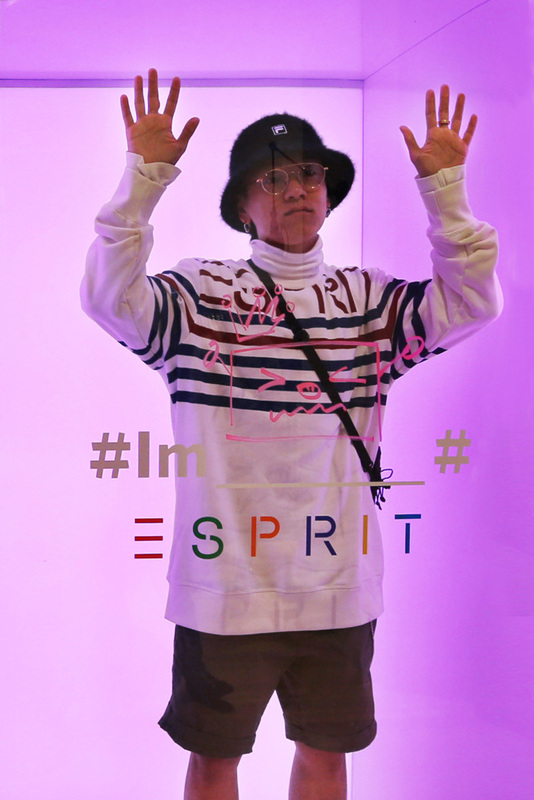 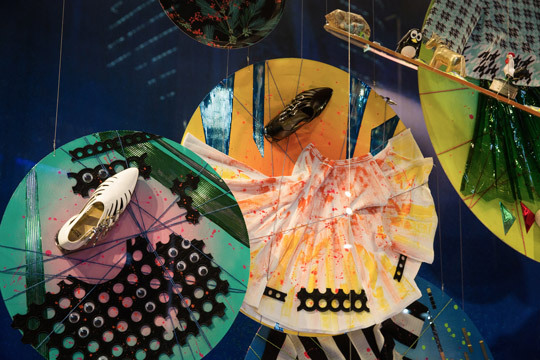 We created a window display and photo booth installation for ESPRIT’s Shanghai Flagship store launch party and opening period. 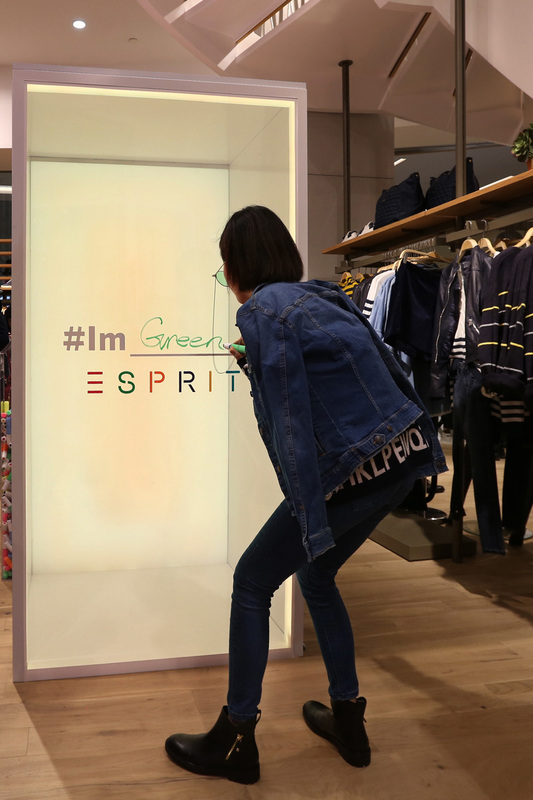 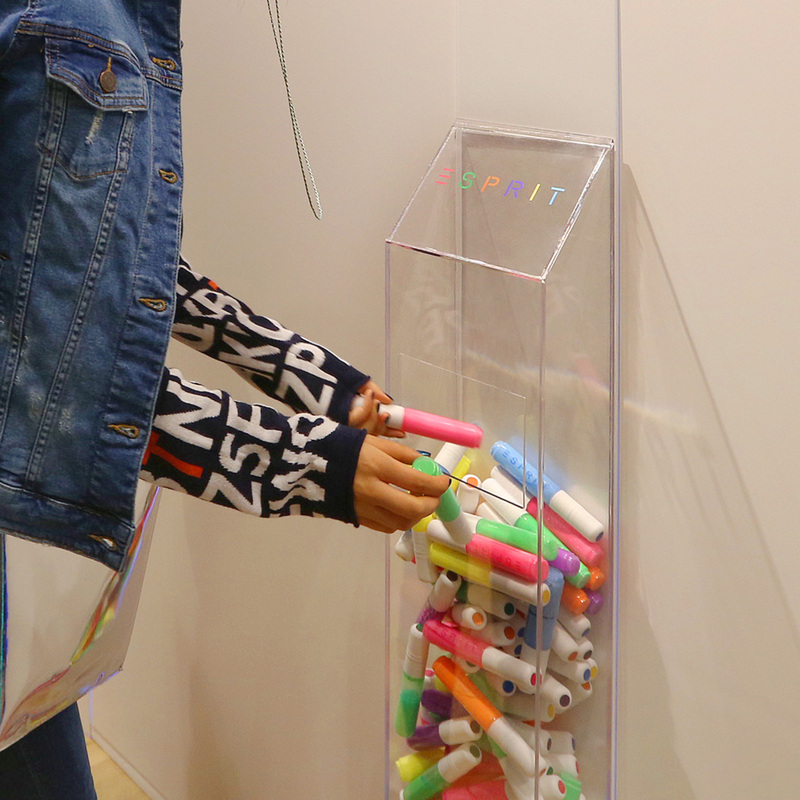 The campaign allowed consumers to express themselves by filling in personal statements directly on the glass of the photo booths with fluorescent markers. 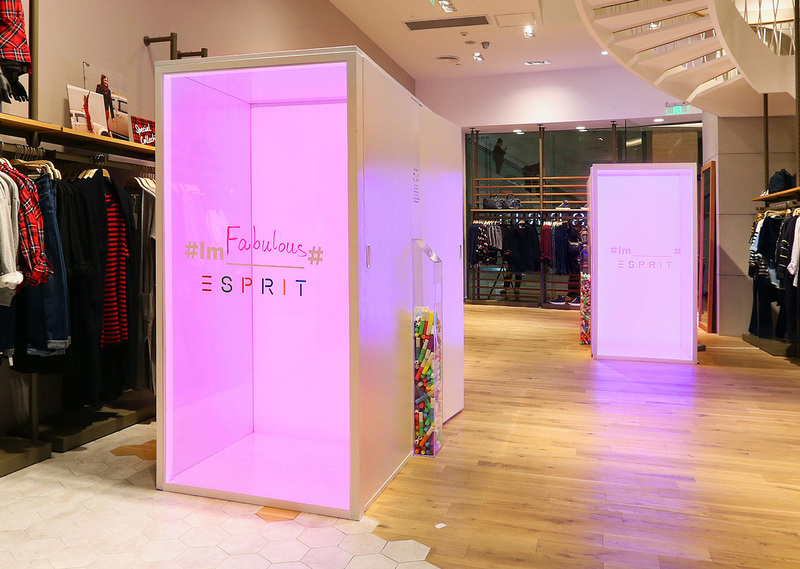 The booths themselves were colorful, James Turrrel-inspired, neon capsules designed to provide a fun vibe for photo taking. 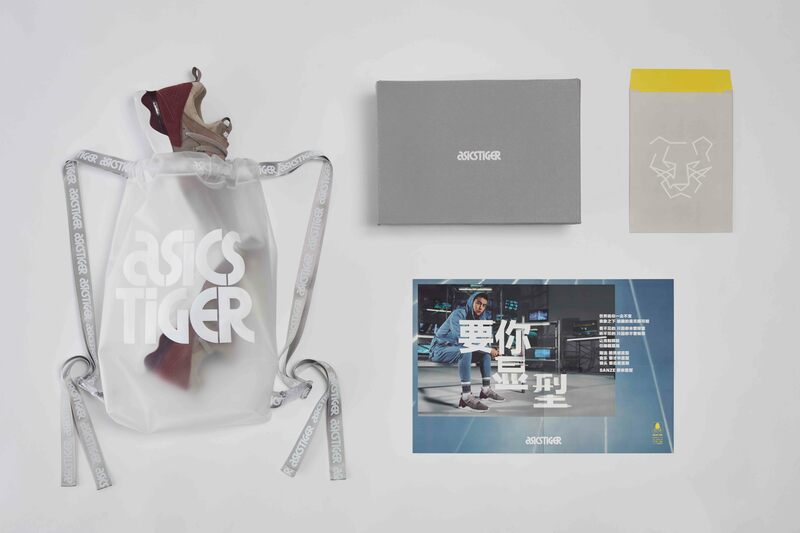 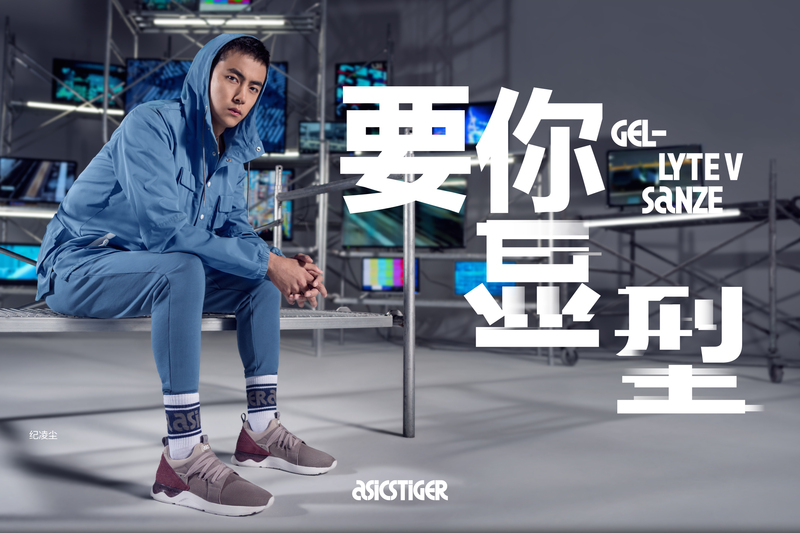 We created a campaign for ASICSTIGER bringing alive the concept of “Make The Invisible, Visible” (要你显型). 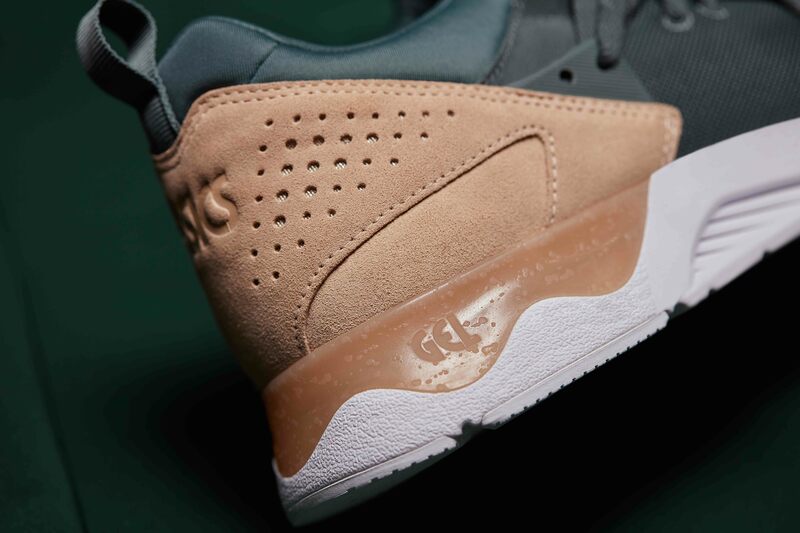 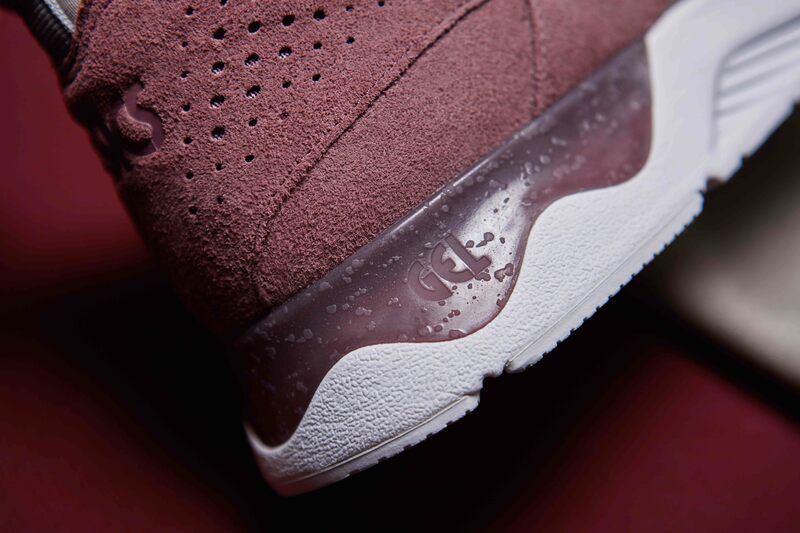 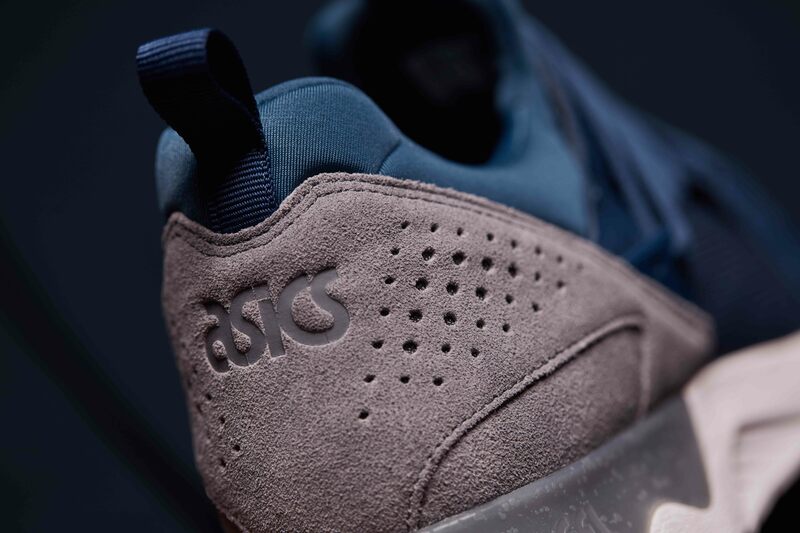 The concept focuses on the brand’s seasonal hero product GEL-Lyte V Sanze’s new “visible GEL technology” (featured on the outside of the shoe in a tangible way for the first time in 30 years of the technology’s history). 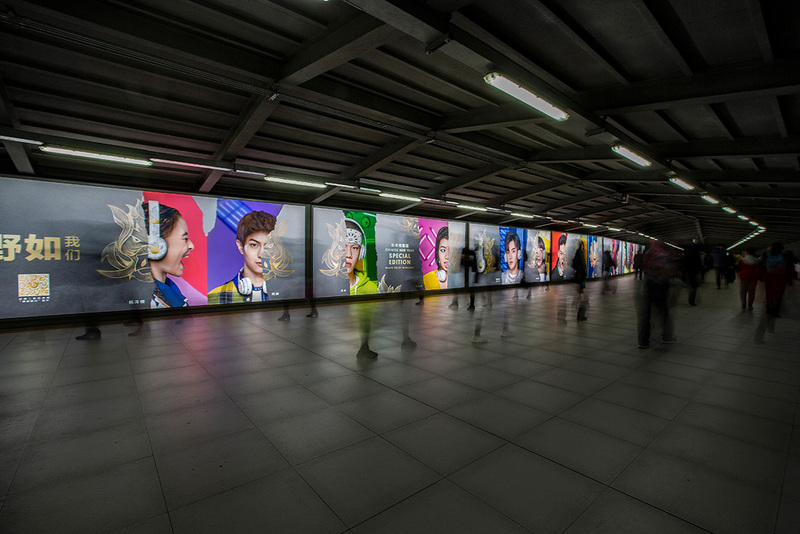 The campaign storytelling conveys a sense of discovery and exploration required in all that we do in order to uncover what is usually not initially apparent; to go beyond just scratching the surface to “Make The Invisible, Visible” and​ reveal to yourself unlimited possibilities. 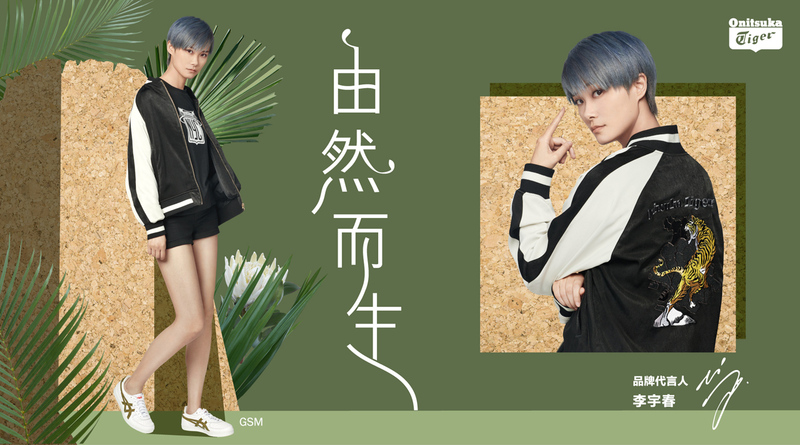 For the campaign kick-off, we created a brand film and key visuals featuring celebrity actor and style-maven Ji Lingchen (纪凌尘), as well as a KOL seeding pack shared with key brand collaborators and ambassadors throughout the region. 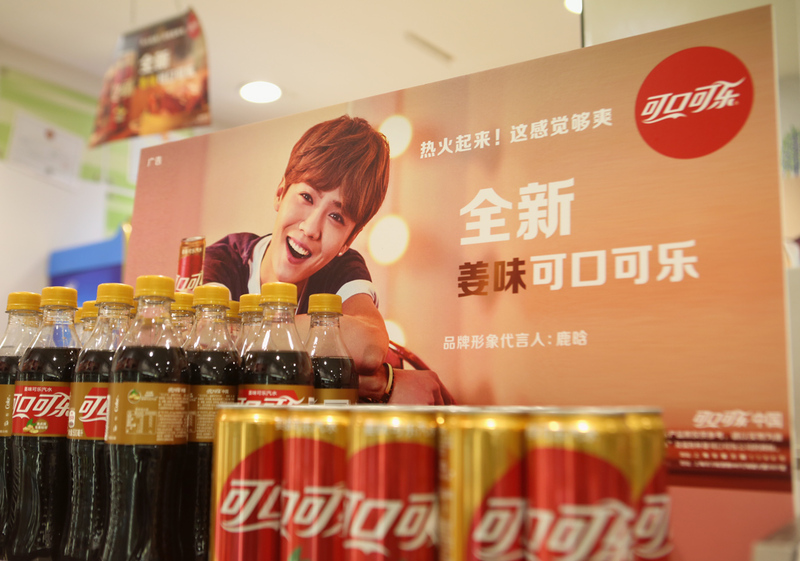 The campaign was carried online, OOH, and in-stores throughout Greater China.